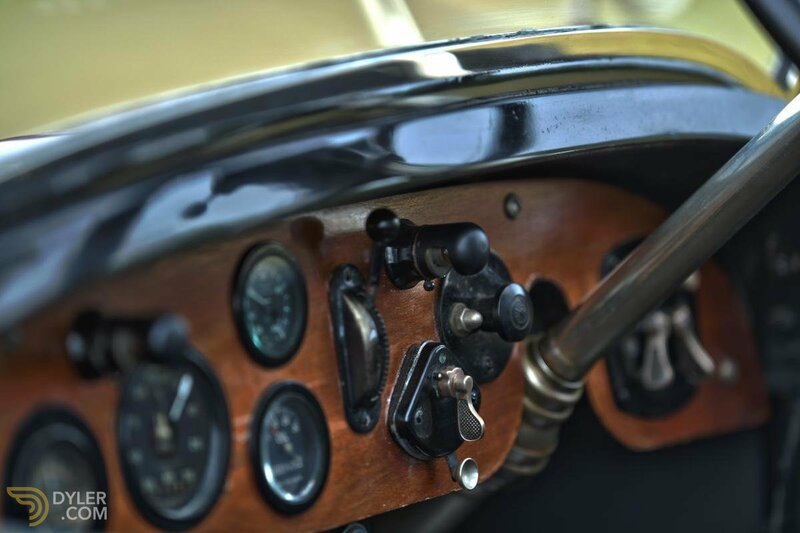 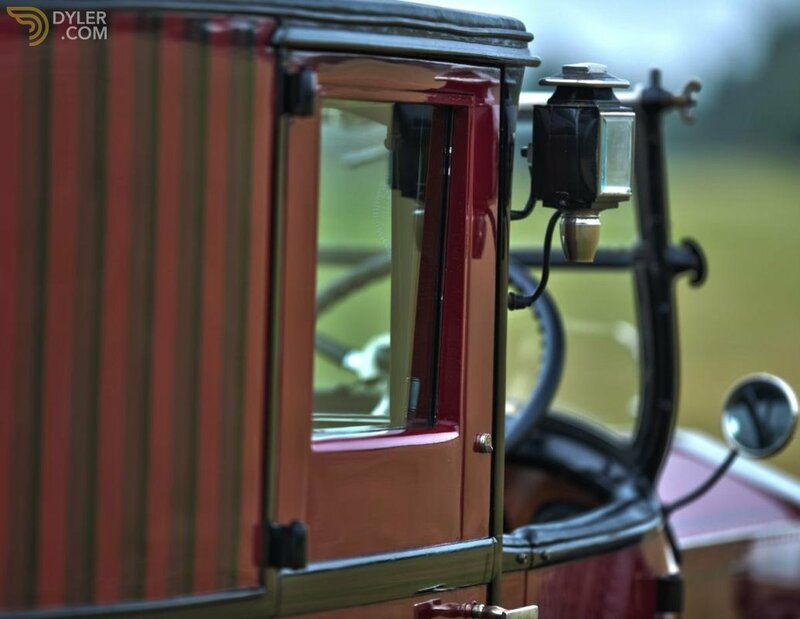 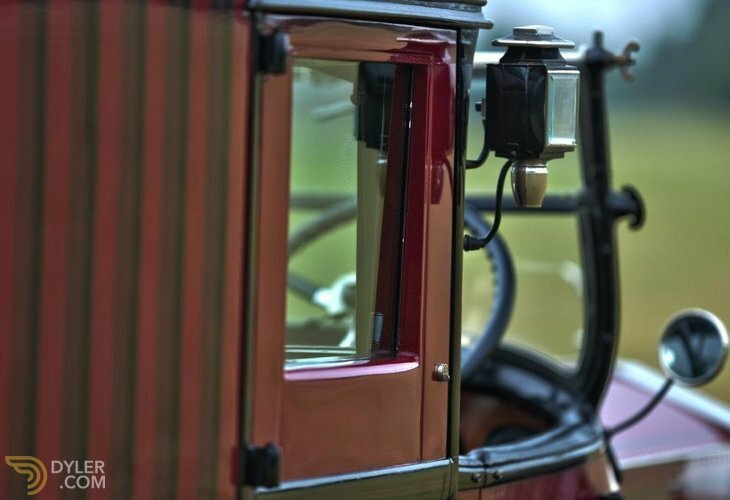 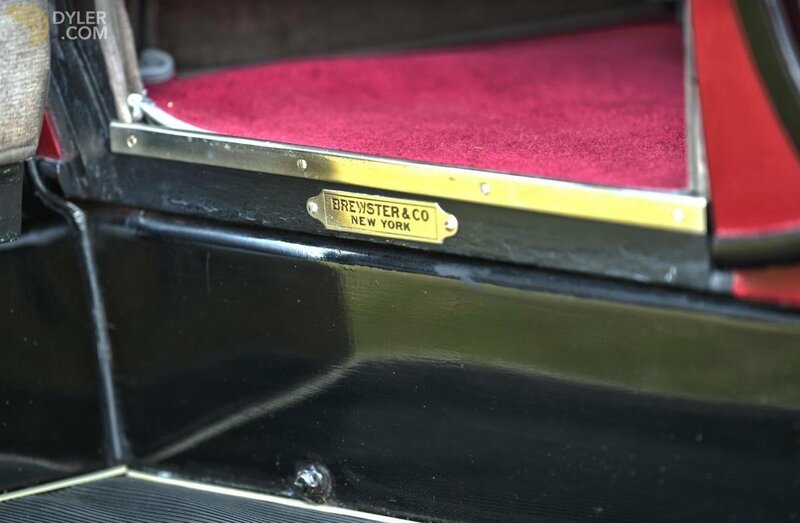 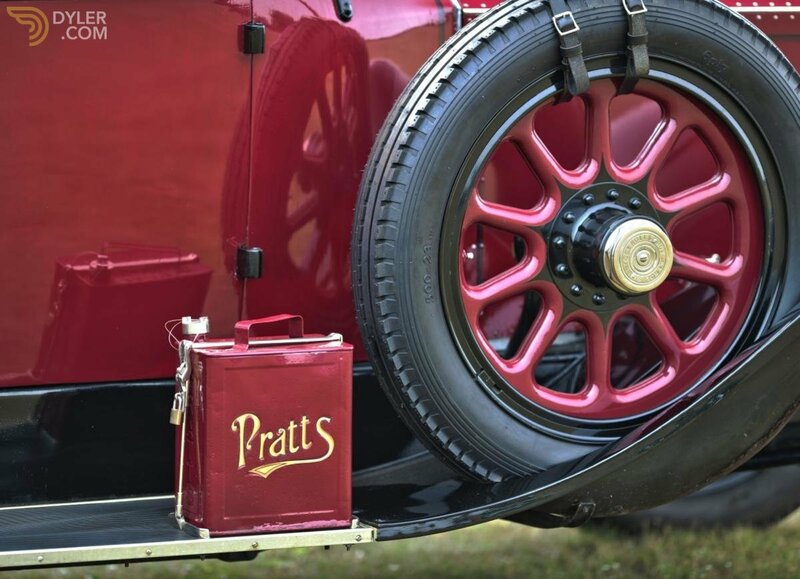 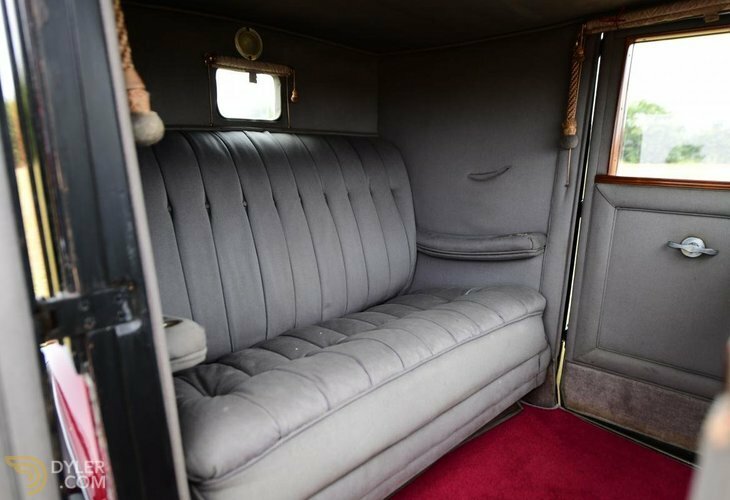 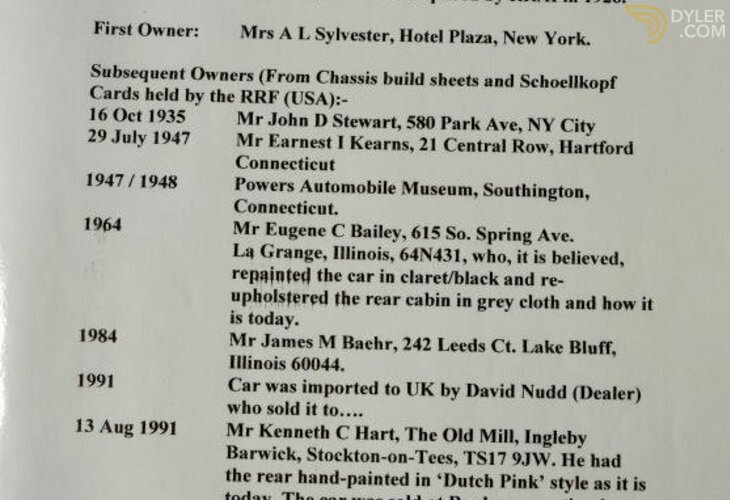 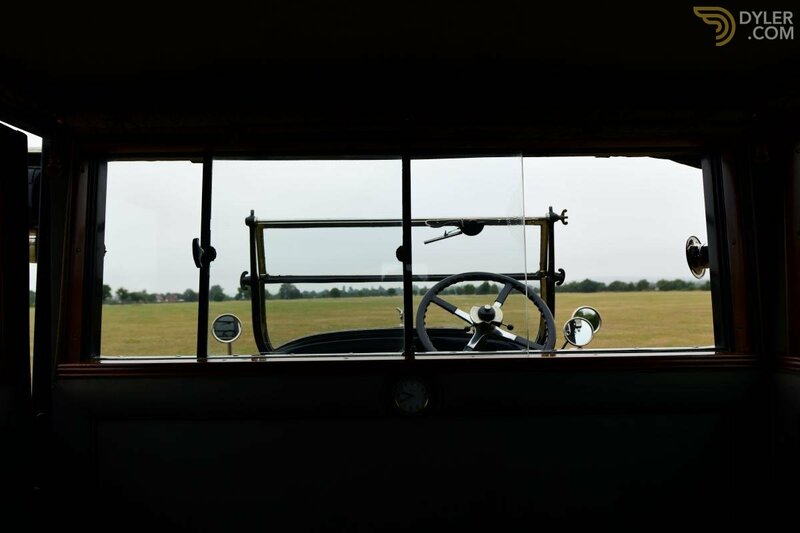 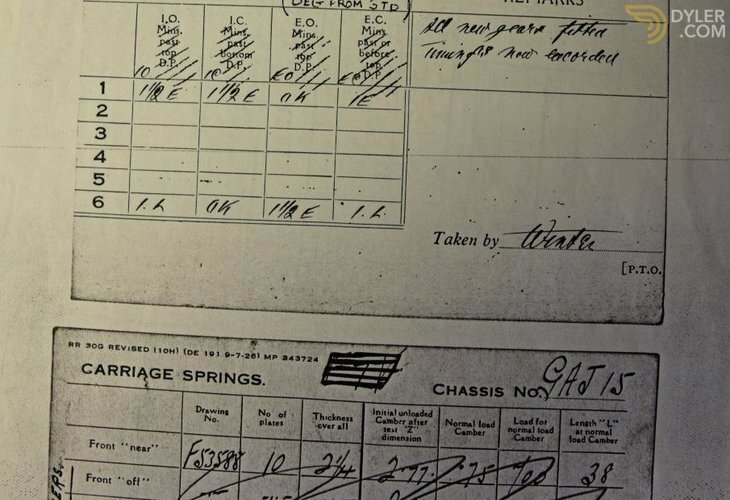 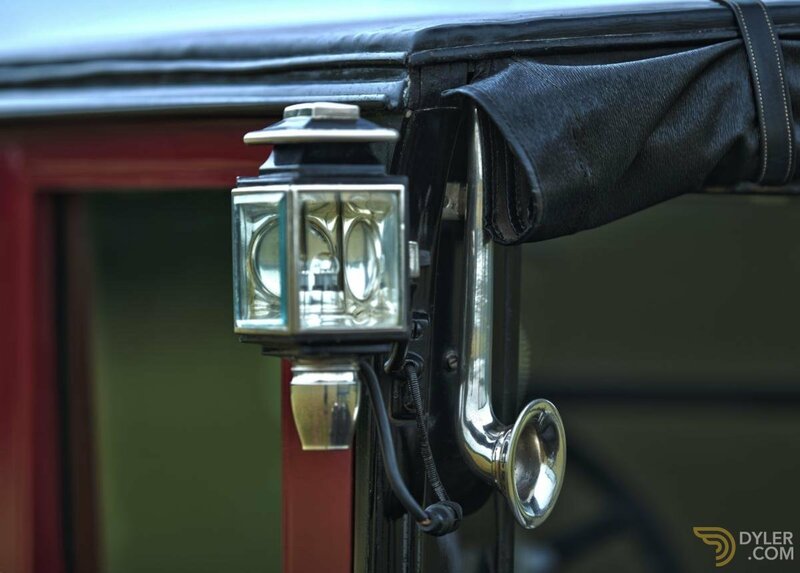 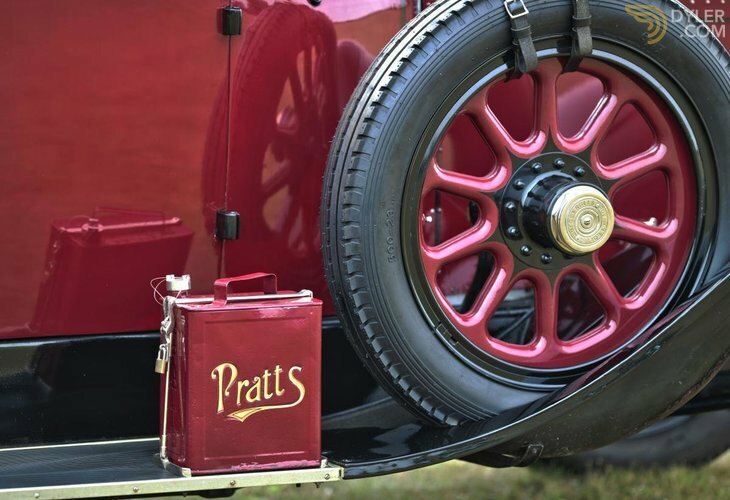 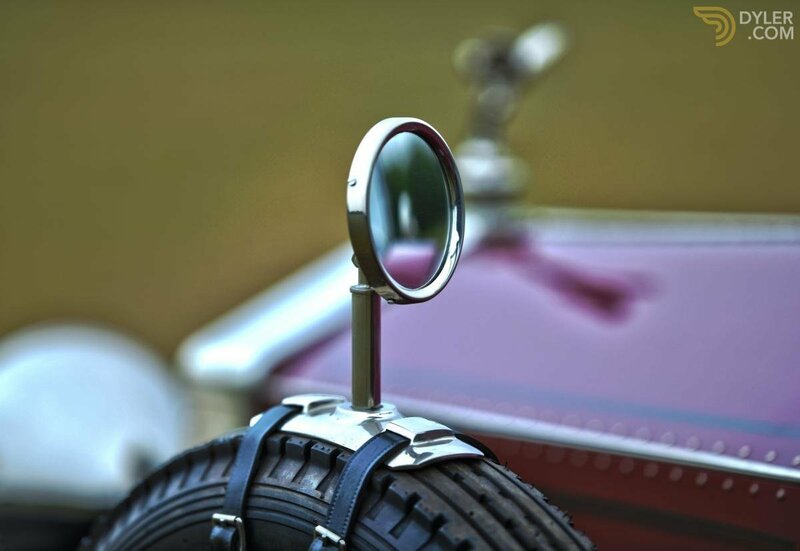 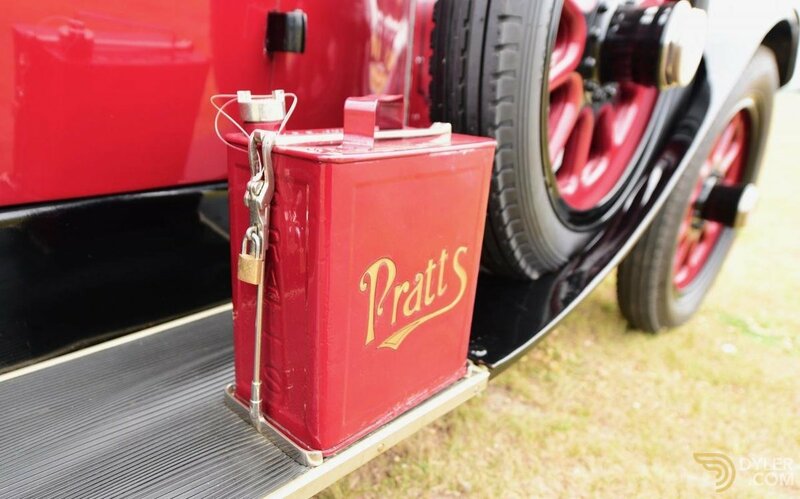 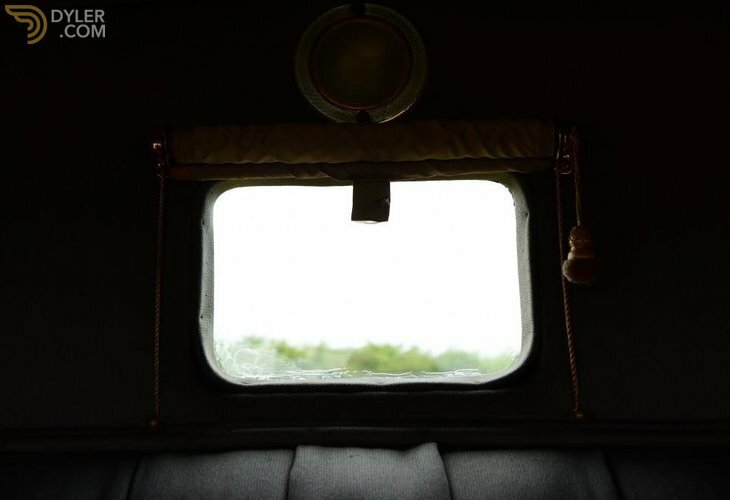 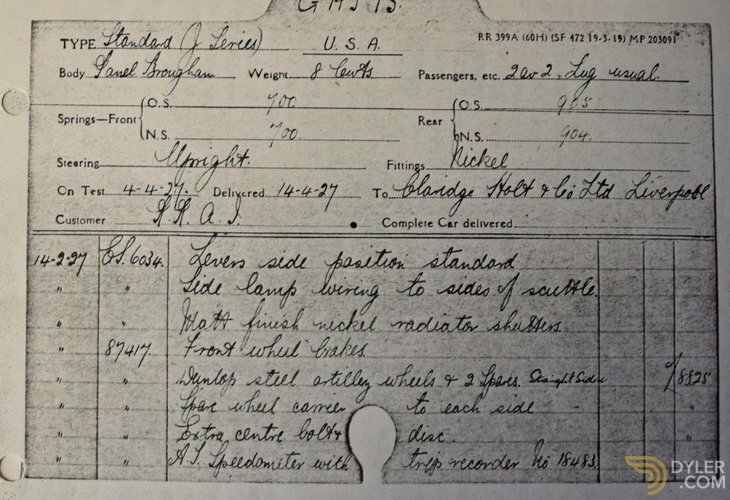 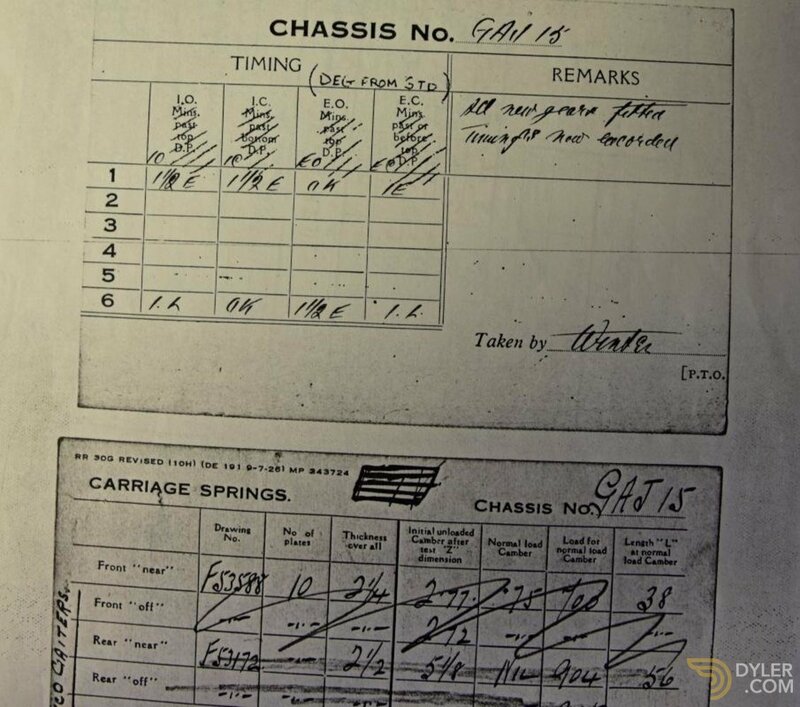 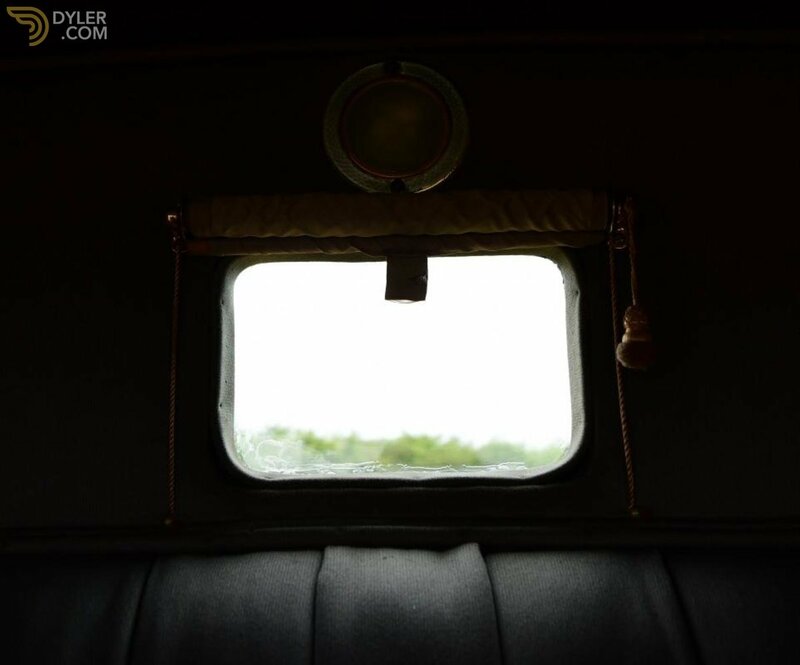 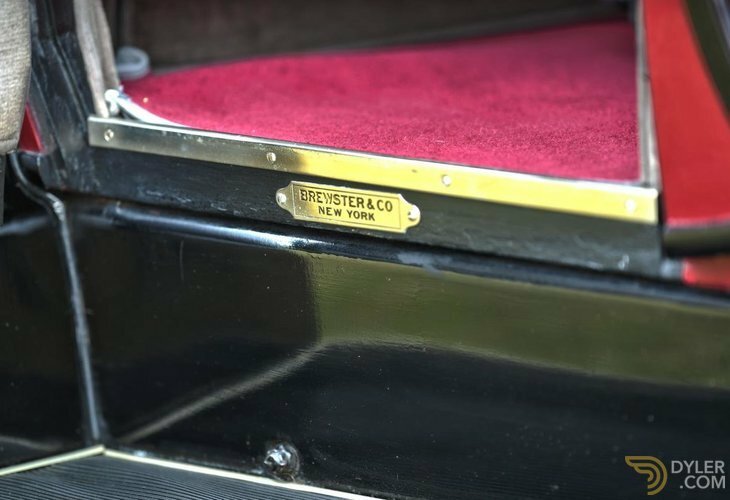 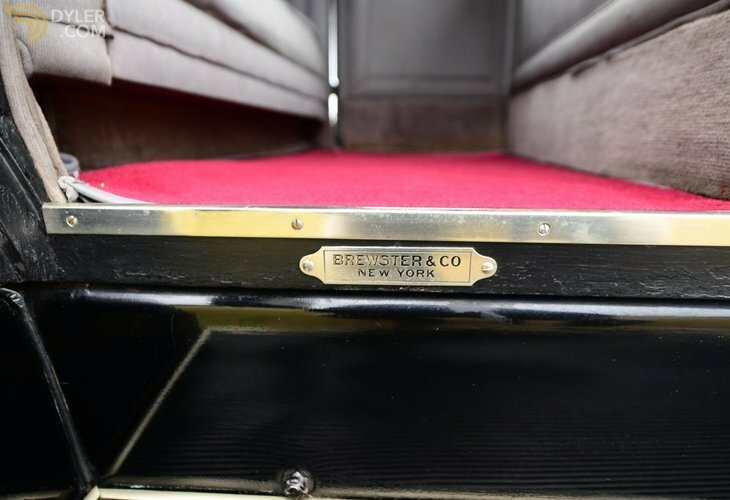 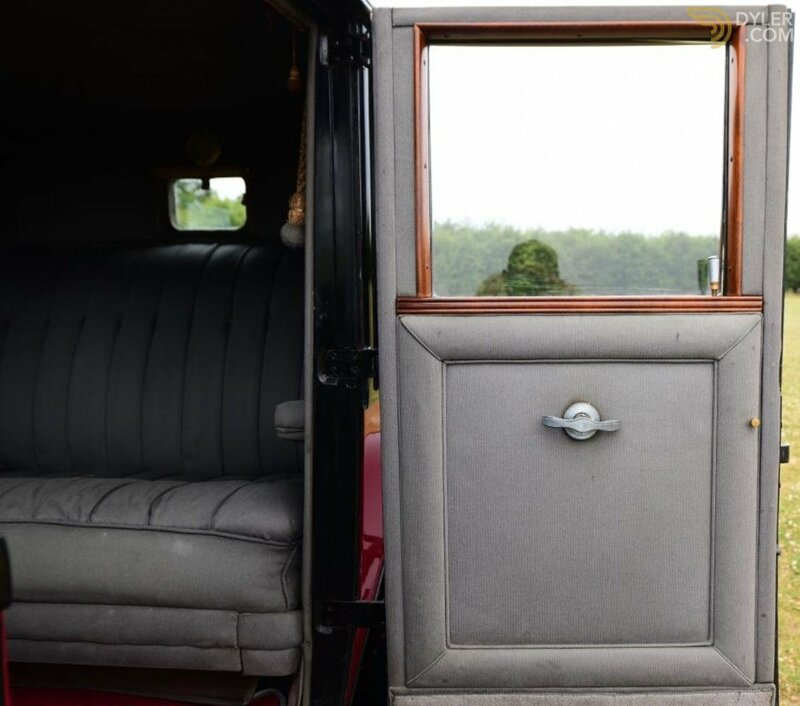 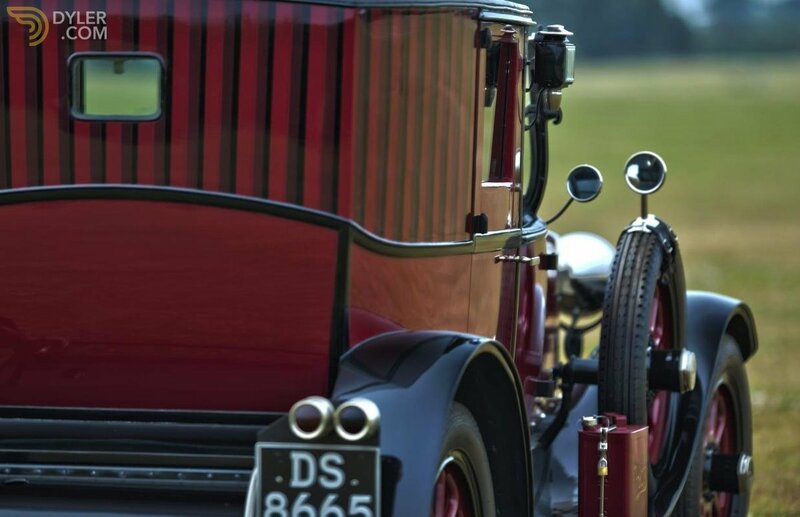 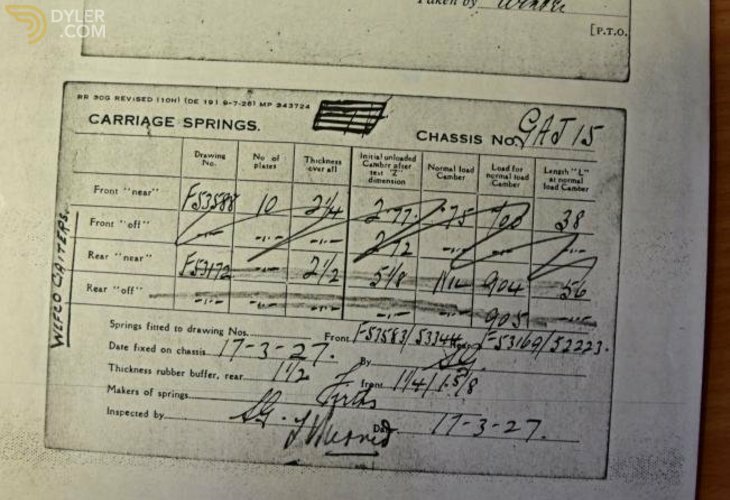 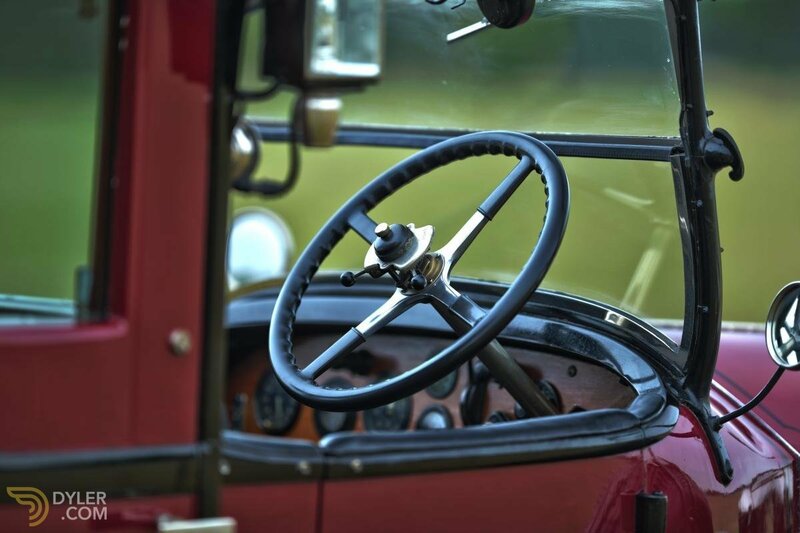 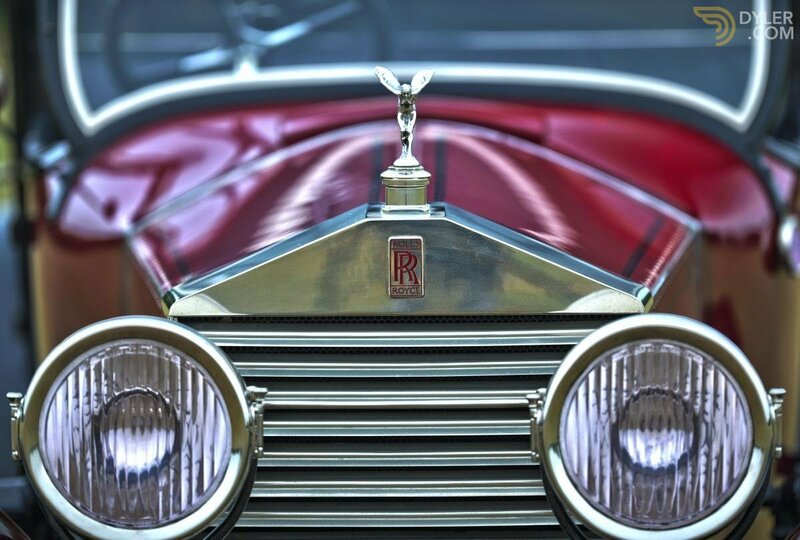 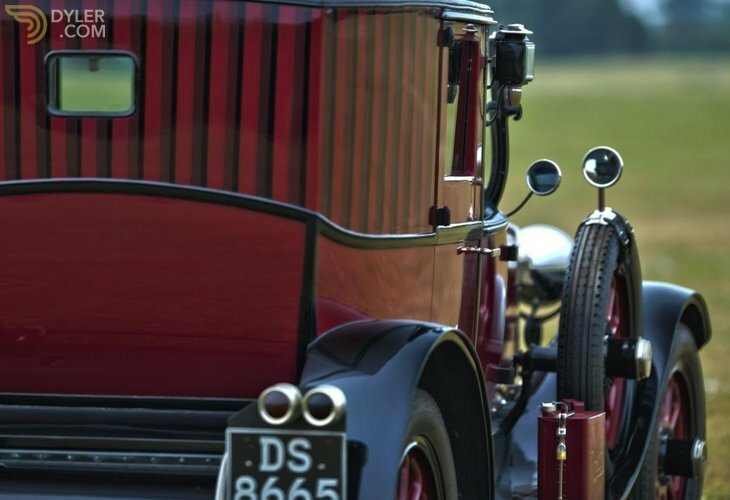 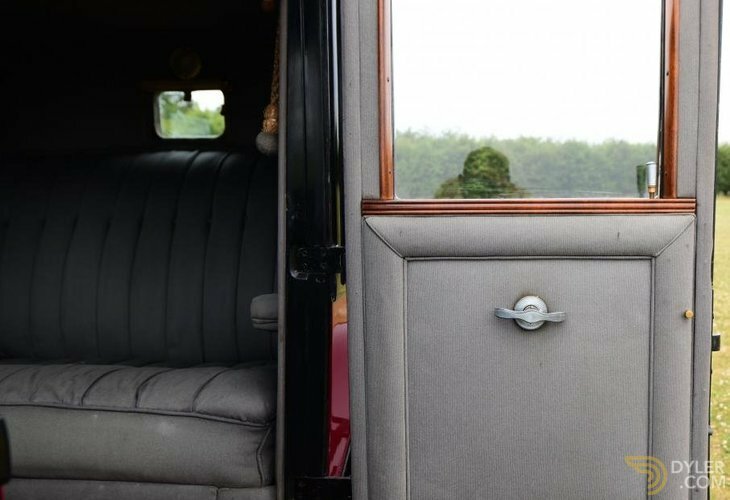 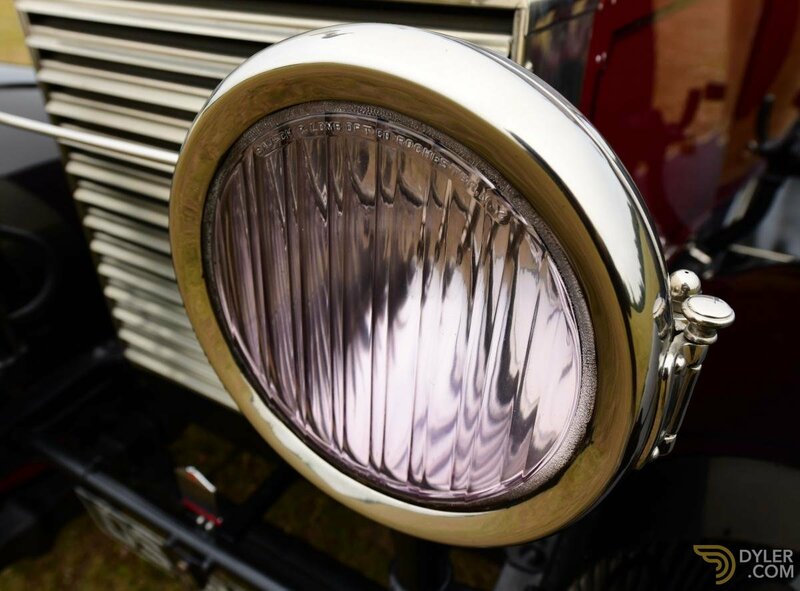 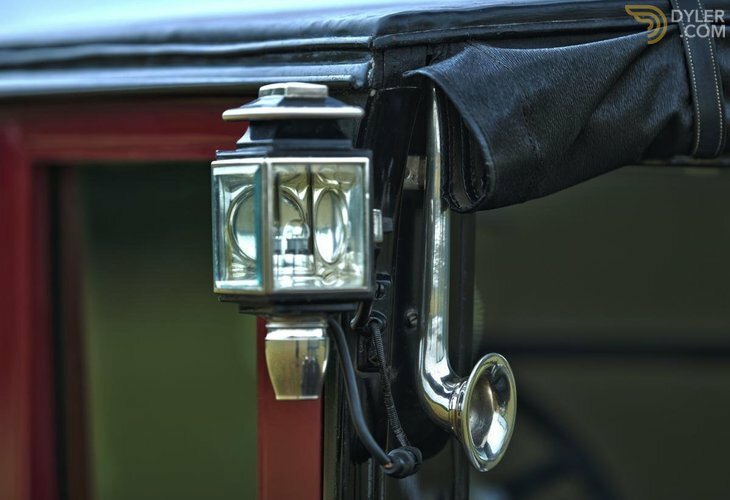 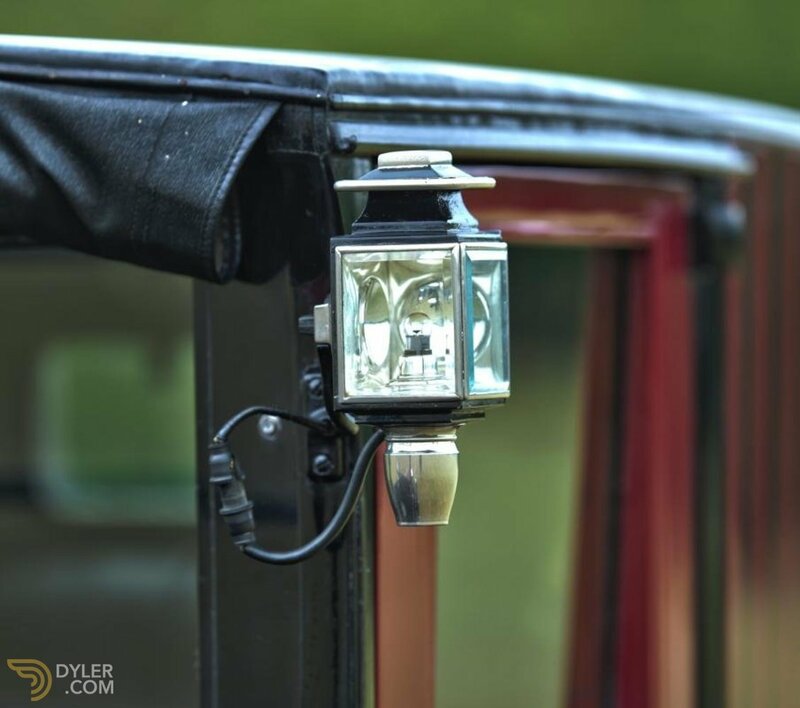 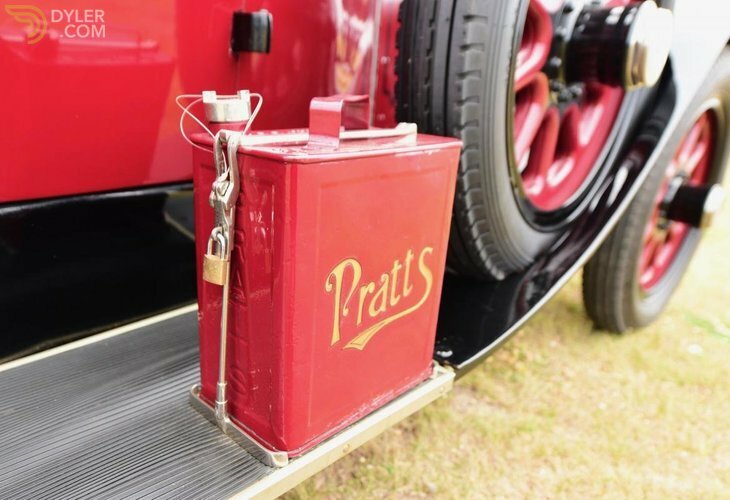 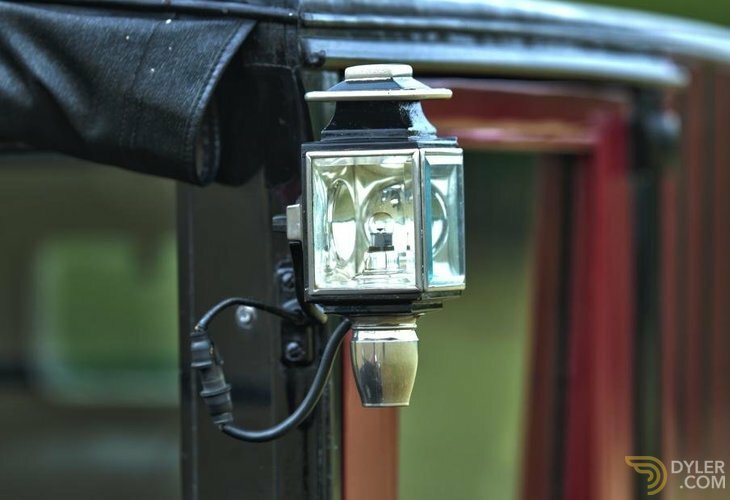 An historically important car, first registered to the Plaza Hotel in New York. 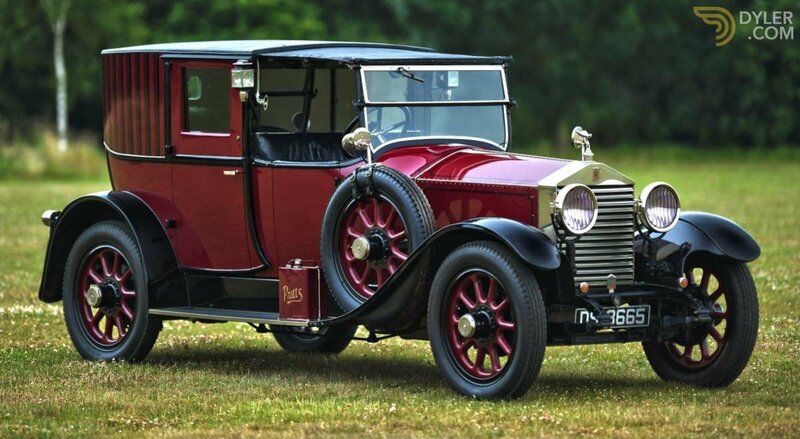 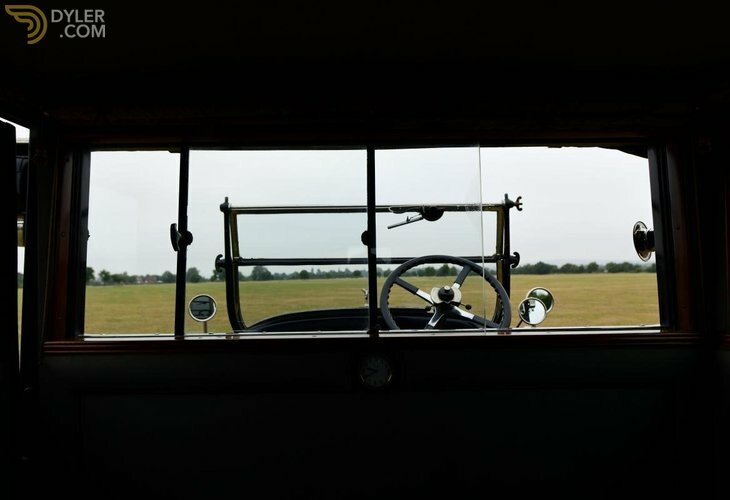 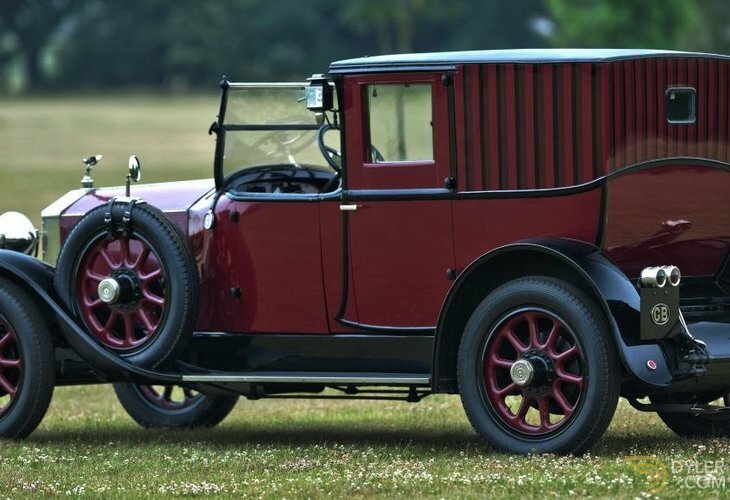 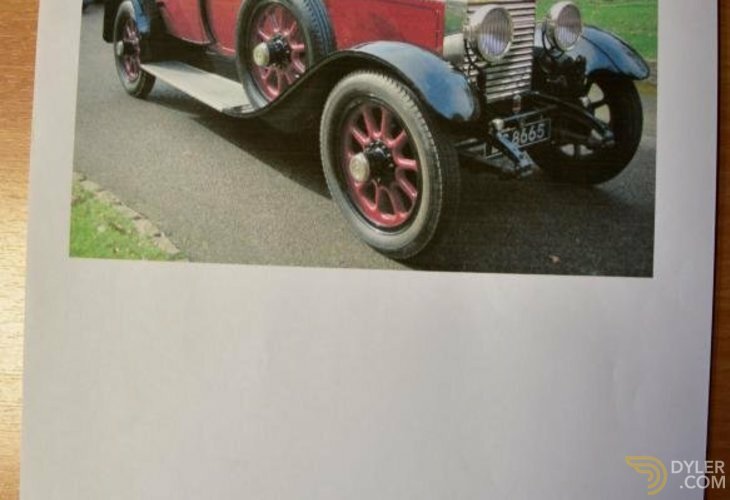 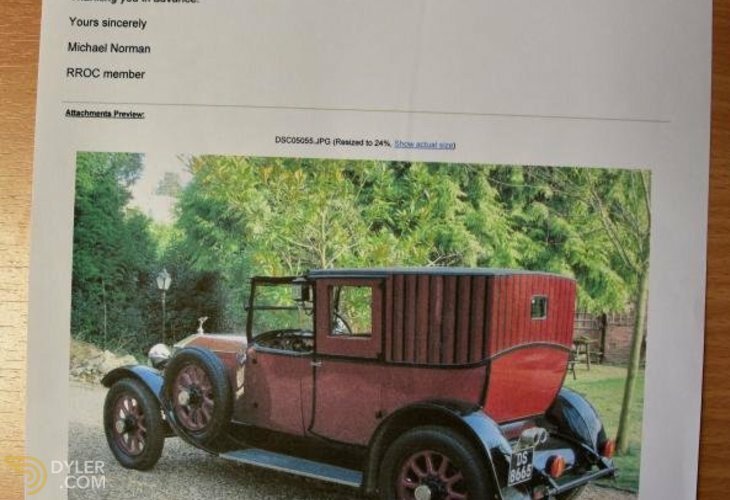 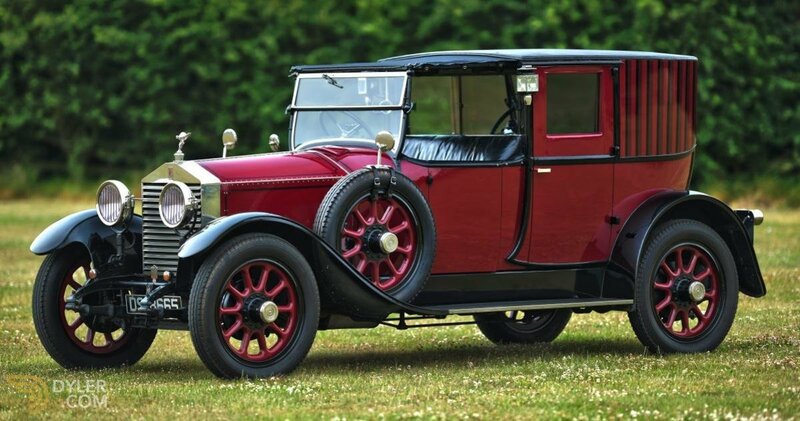 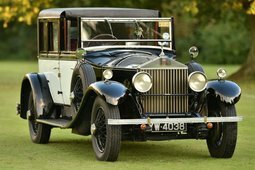 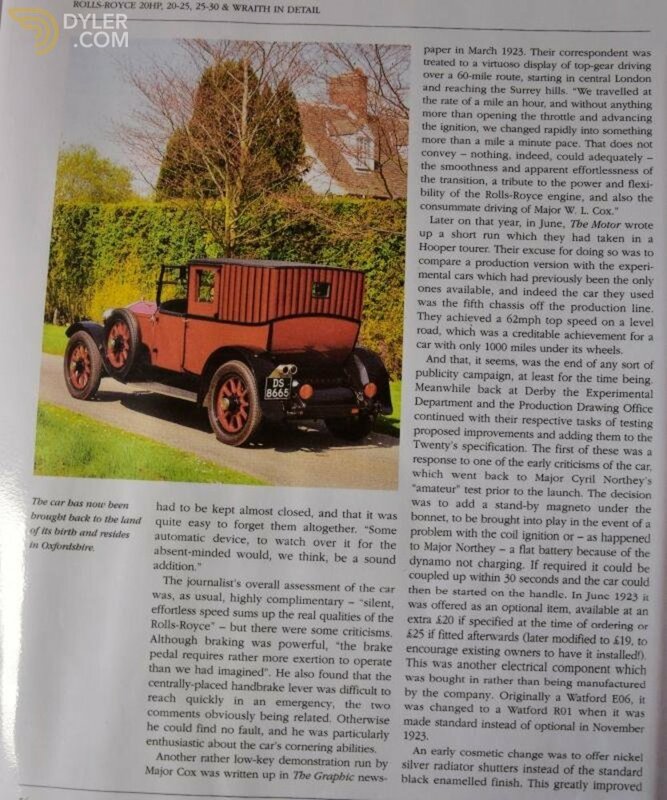 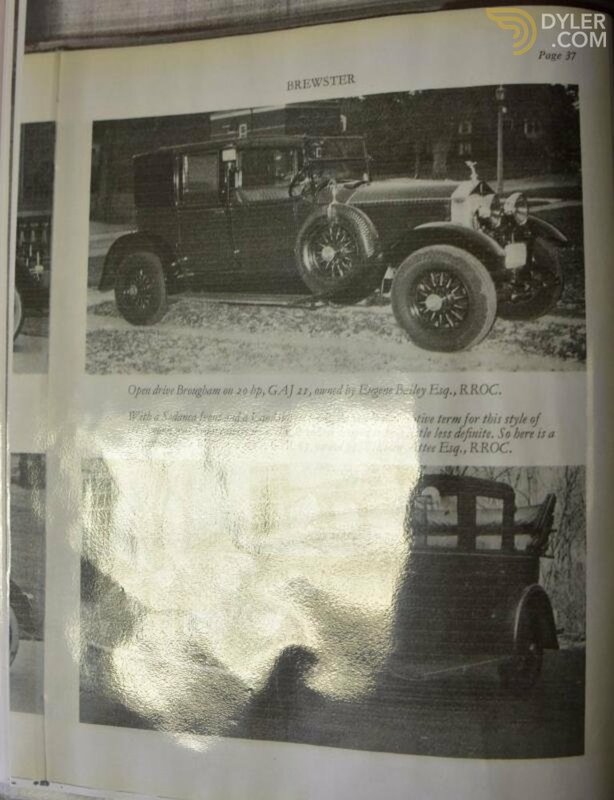 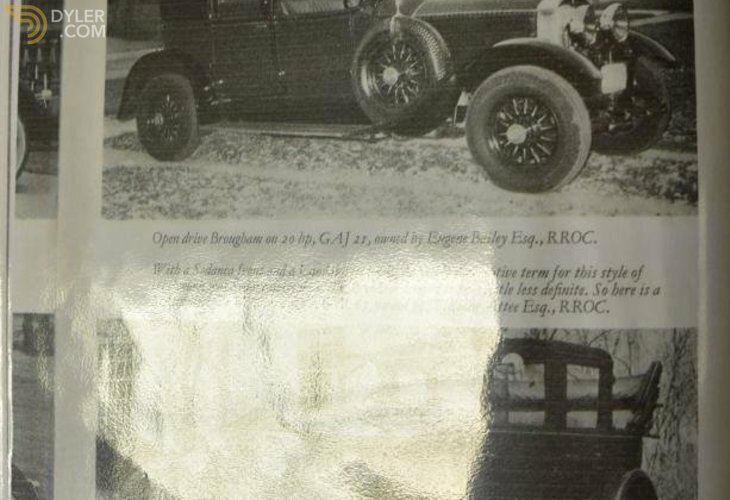 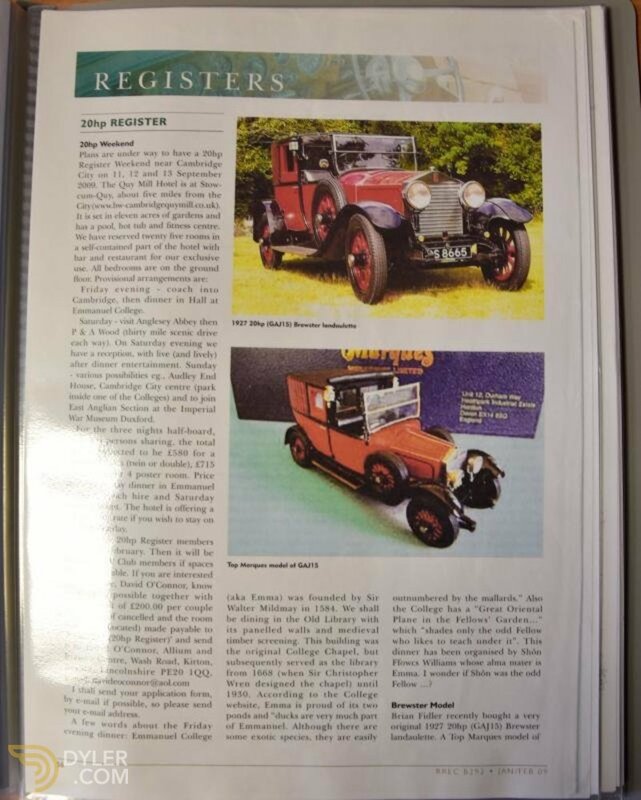 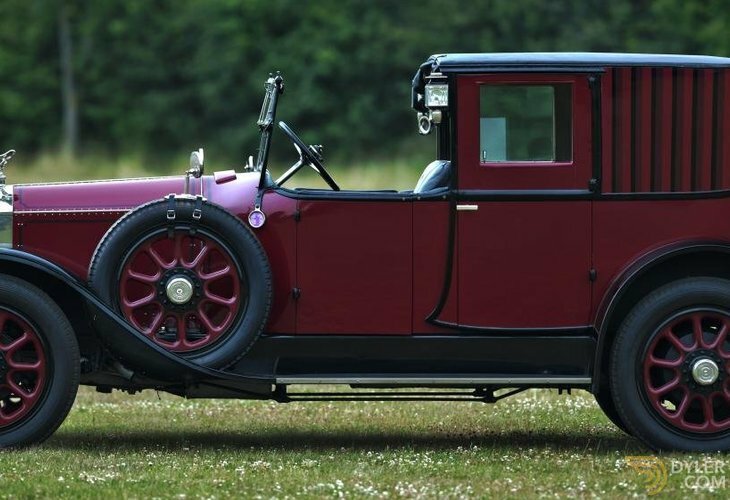 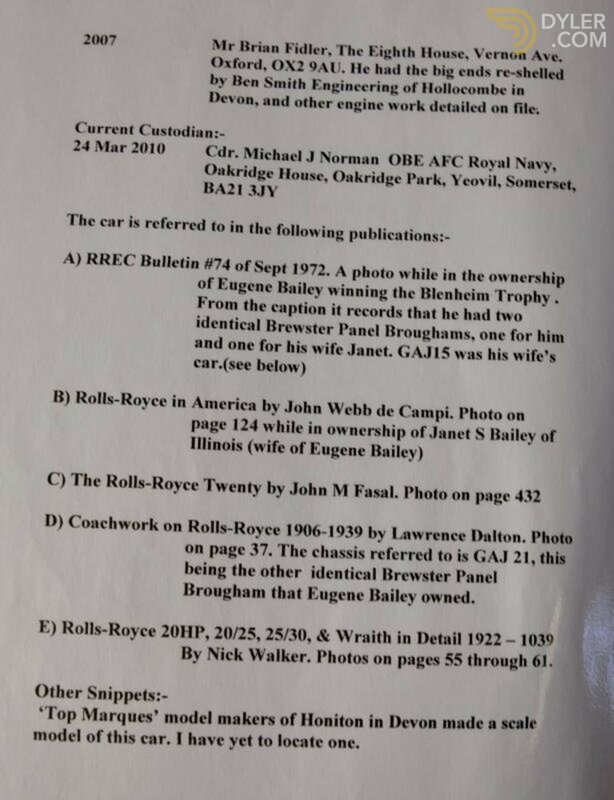 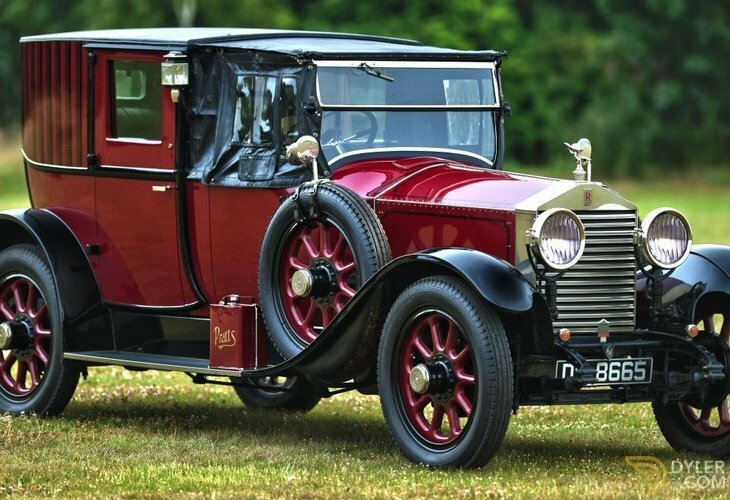 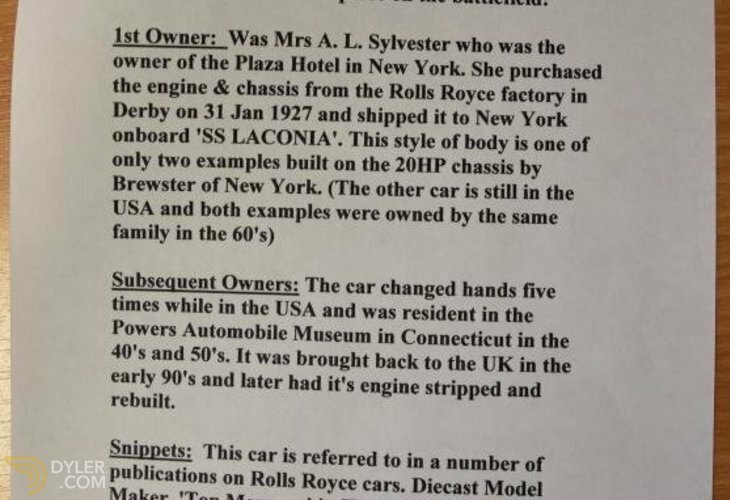 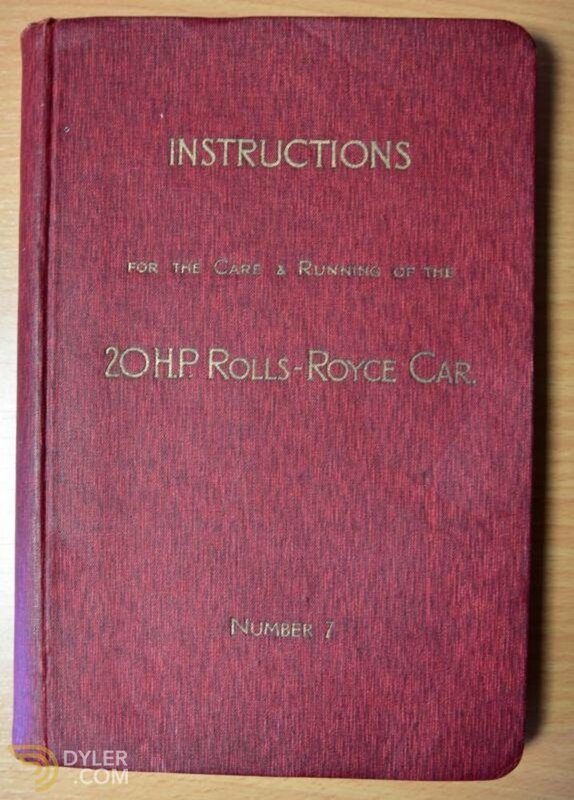 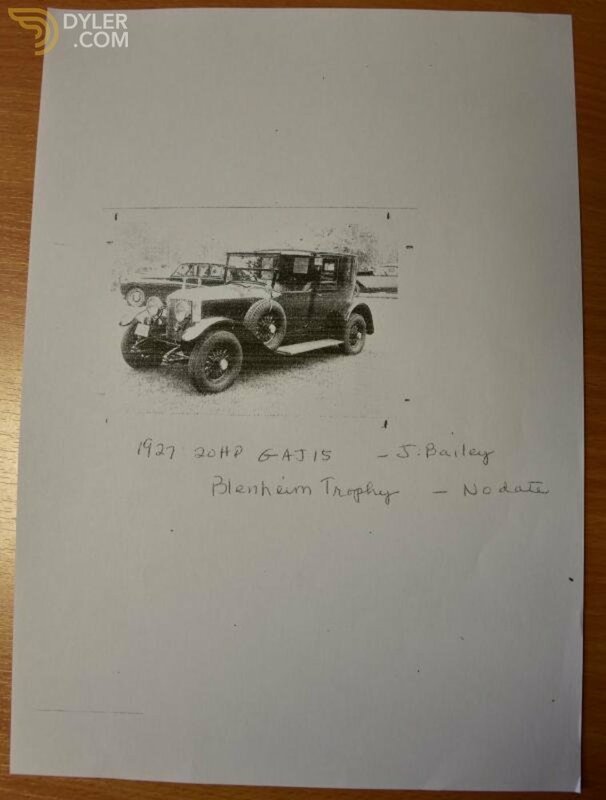 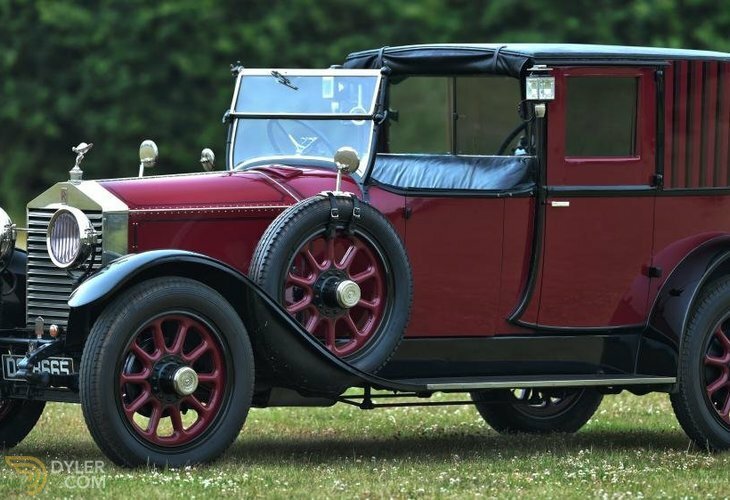 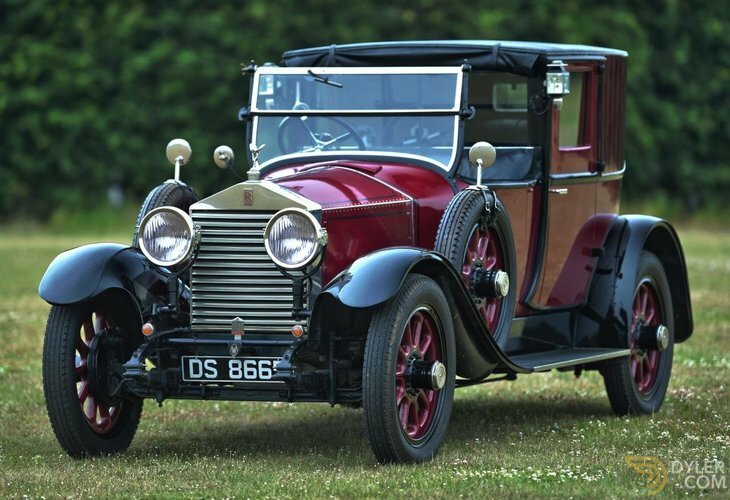 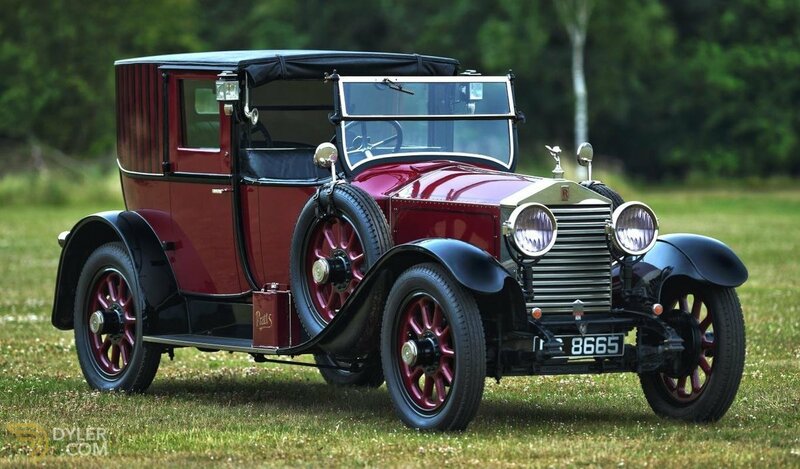 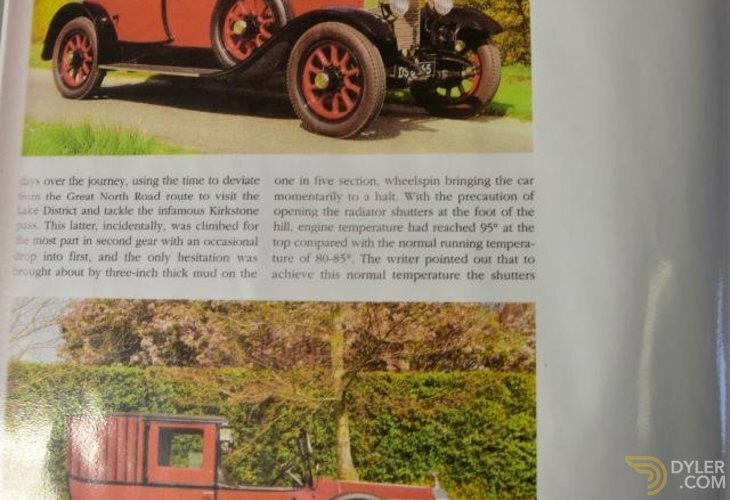 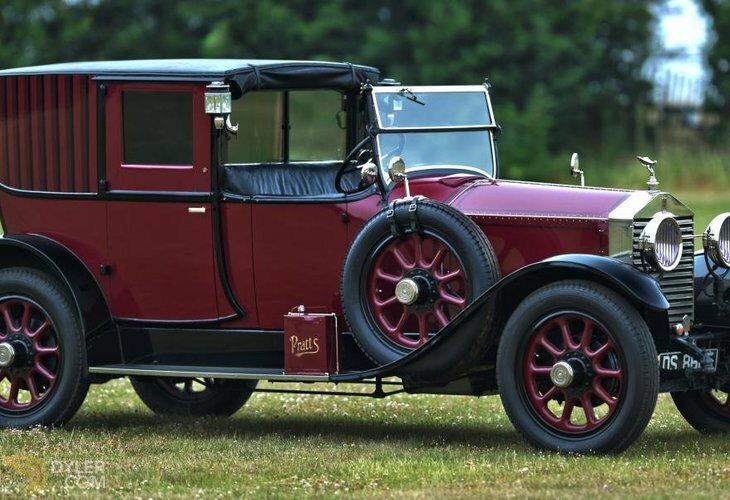 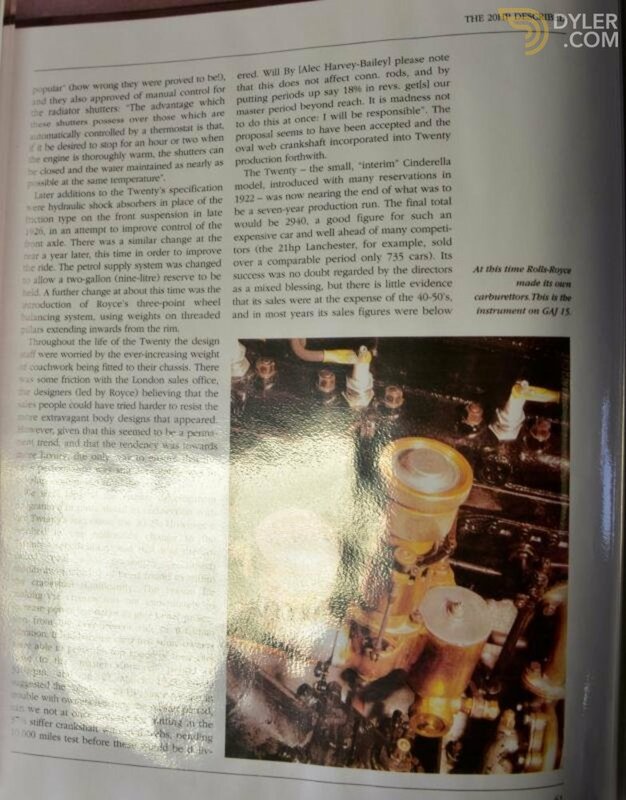 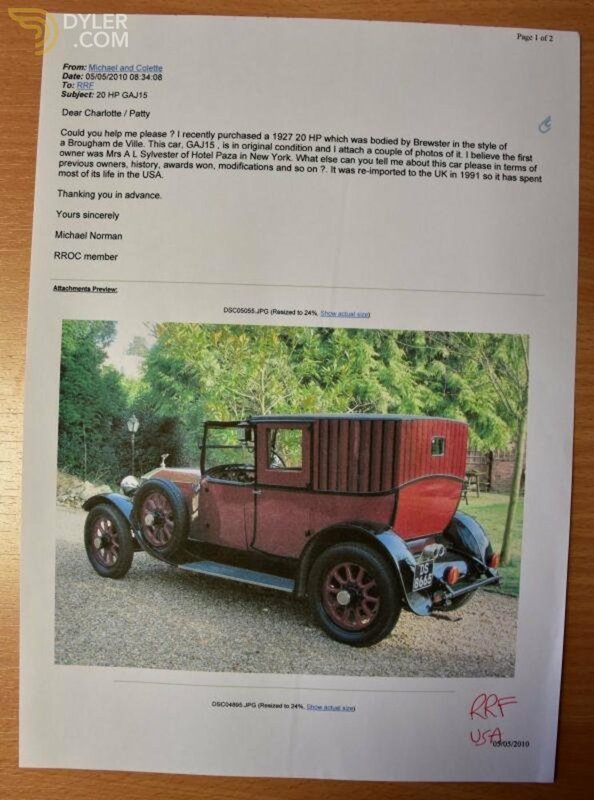 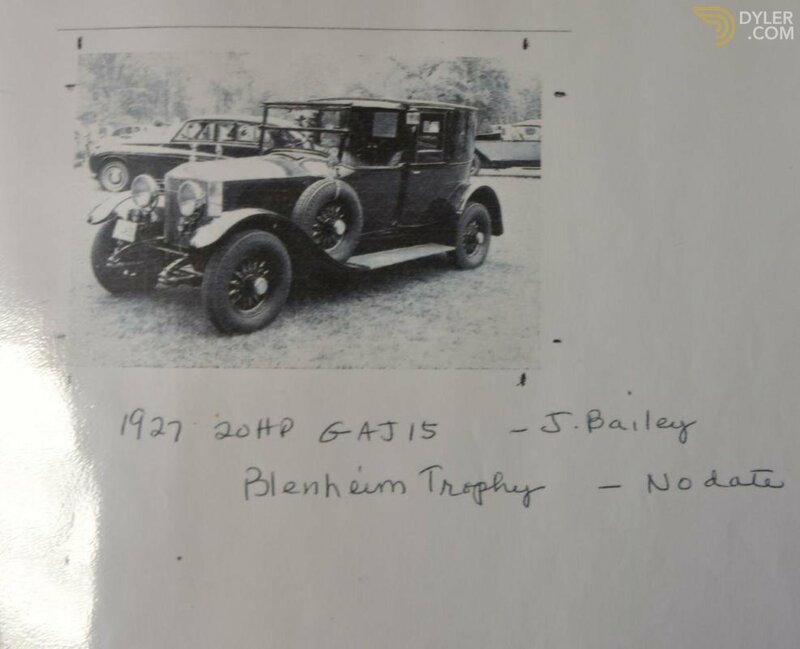 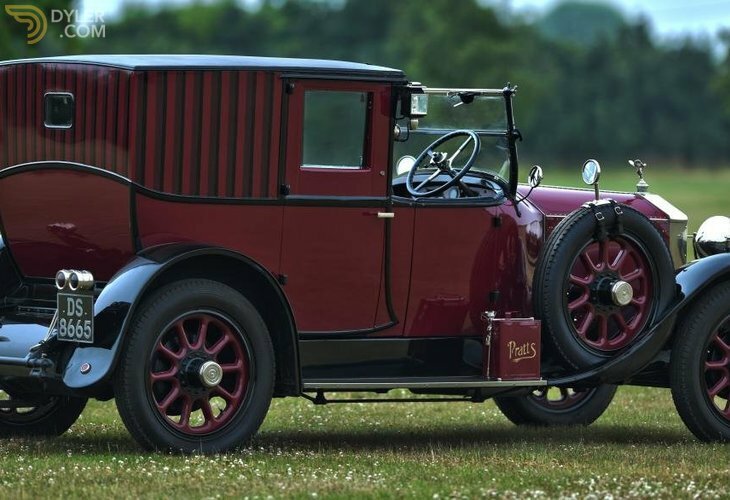 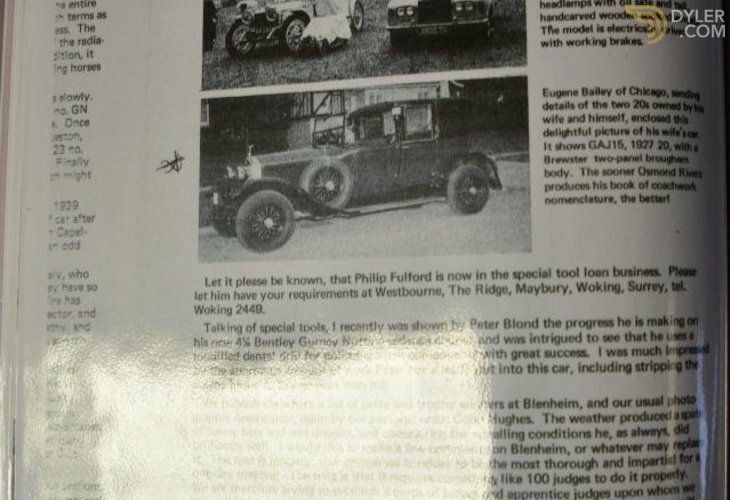 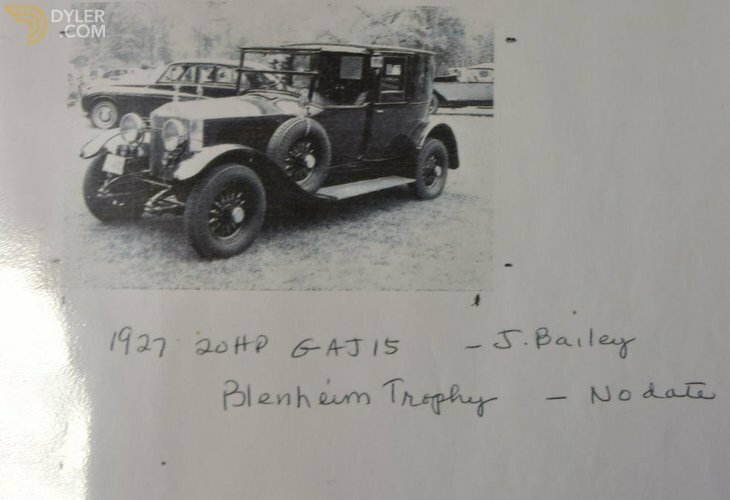 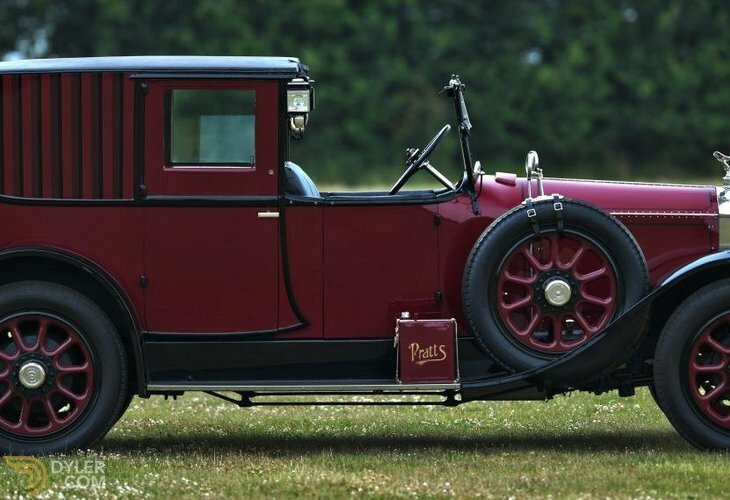 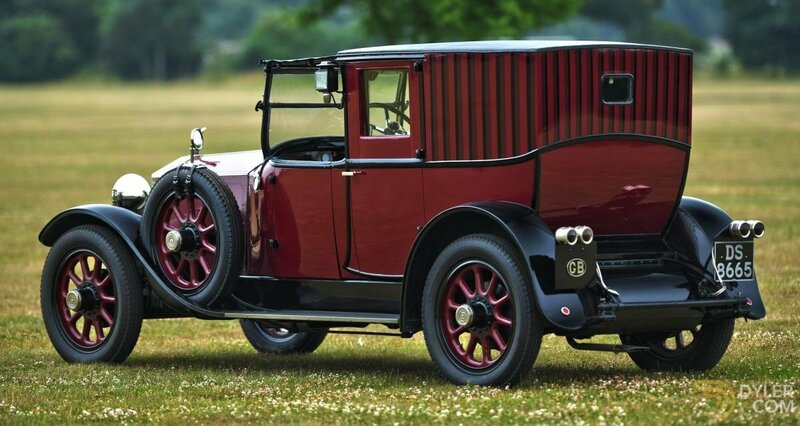 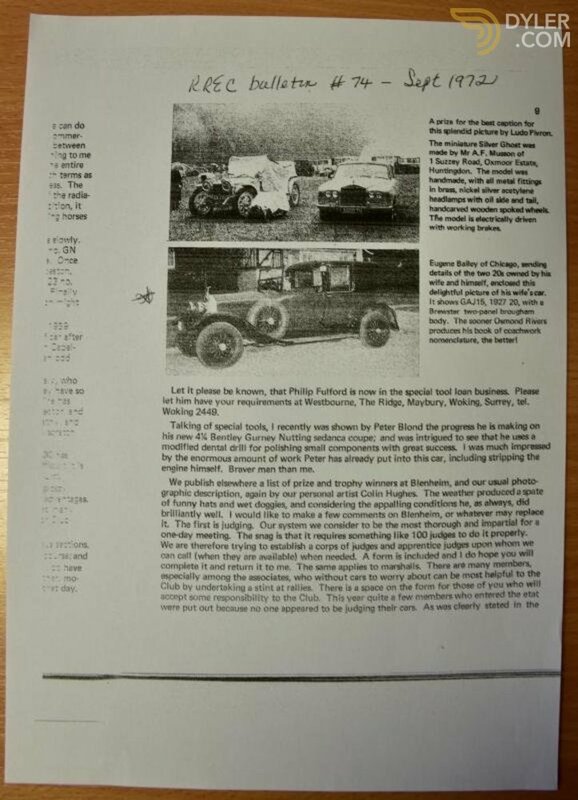 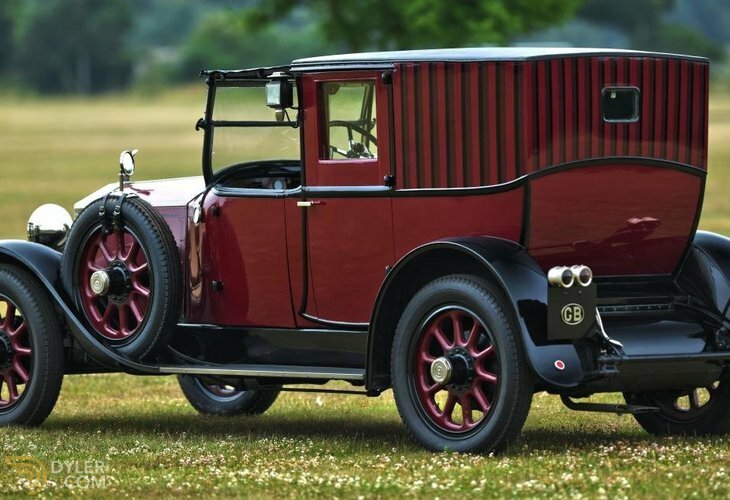 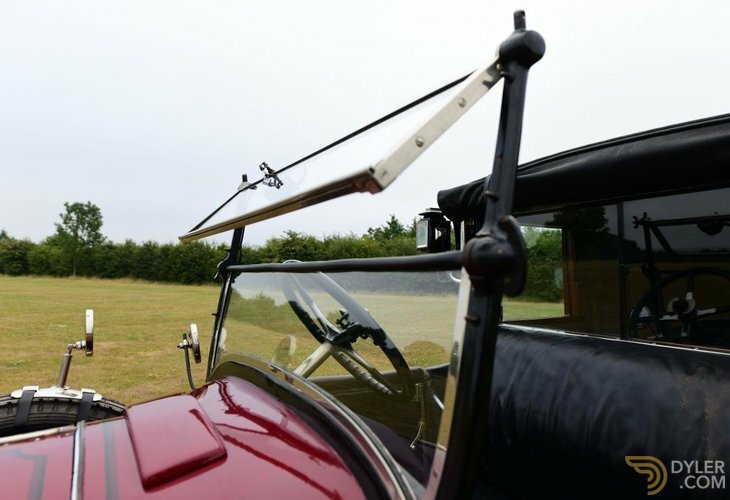 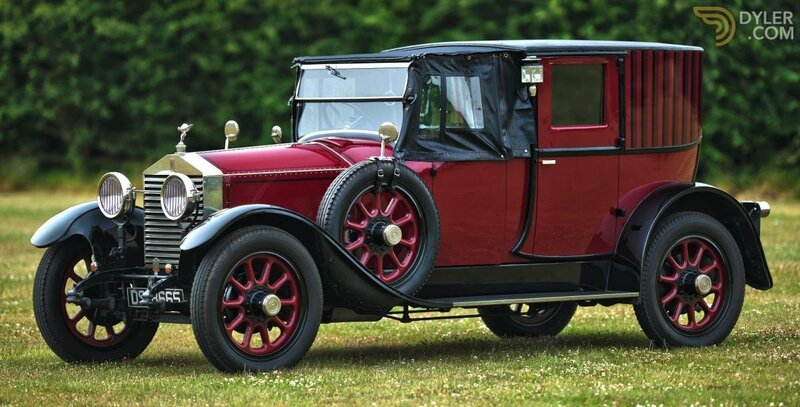 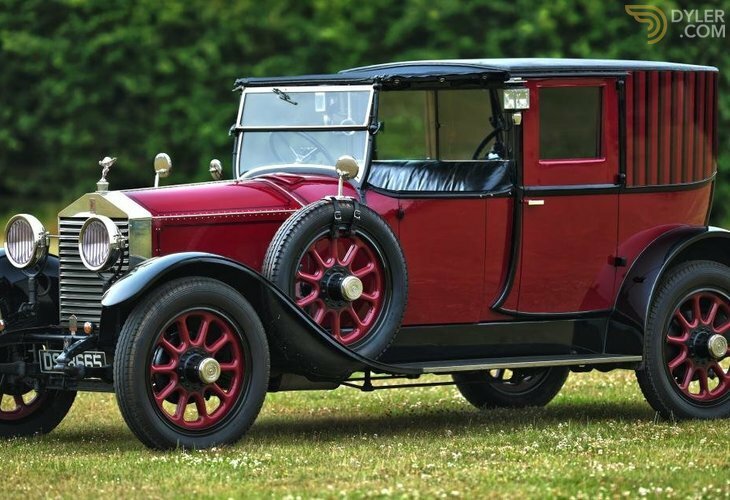 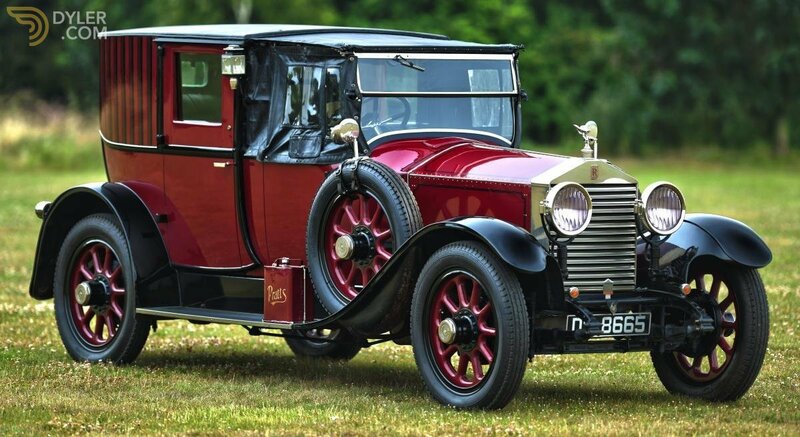 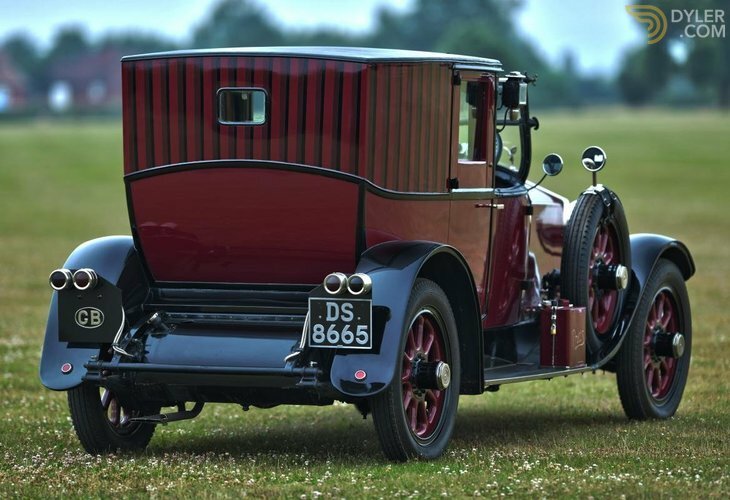 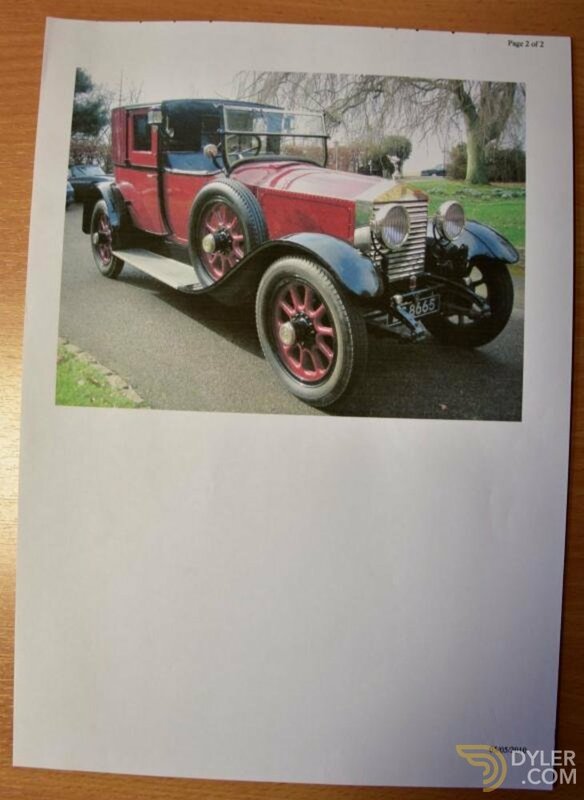 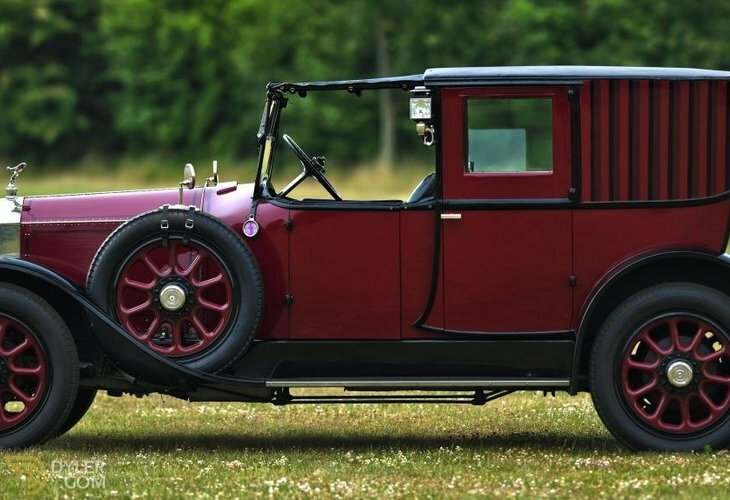 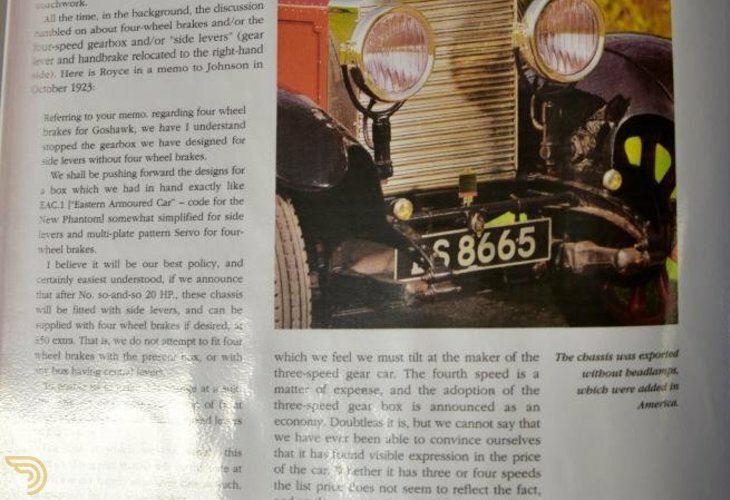 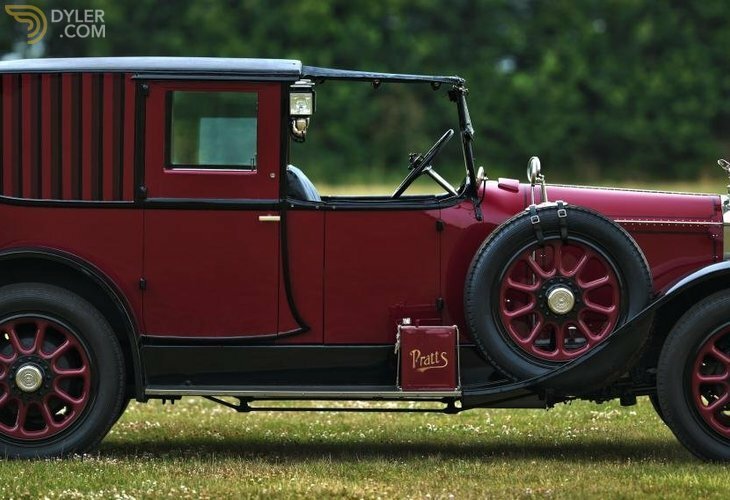 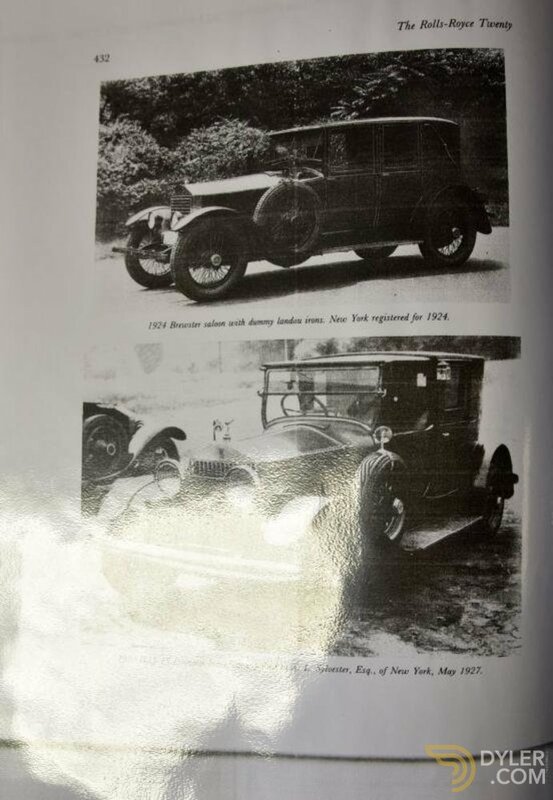 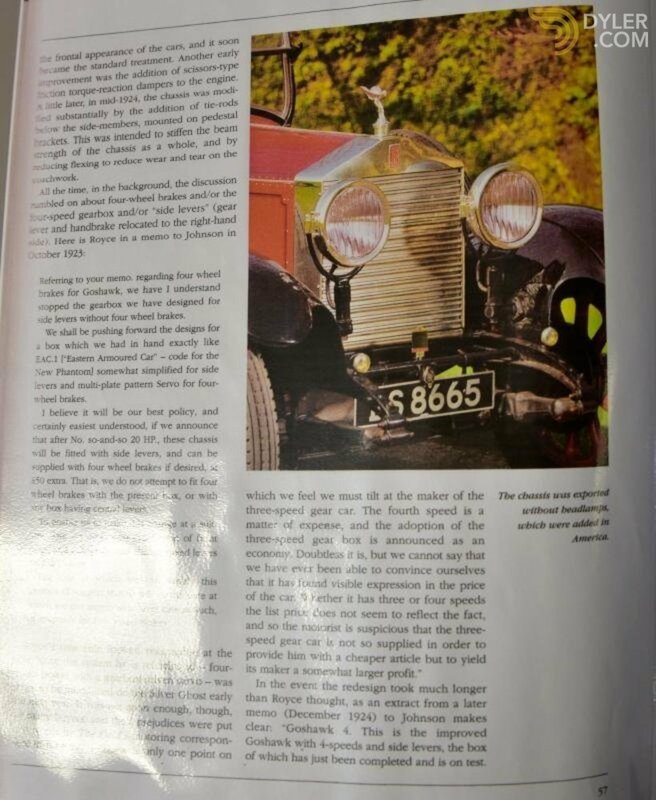 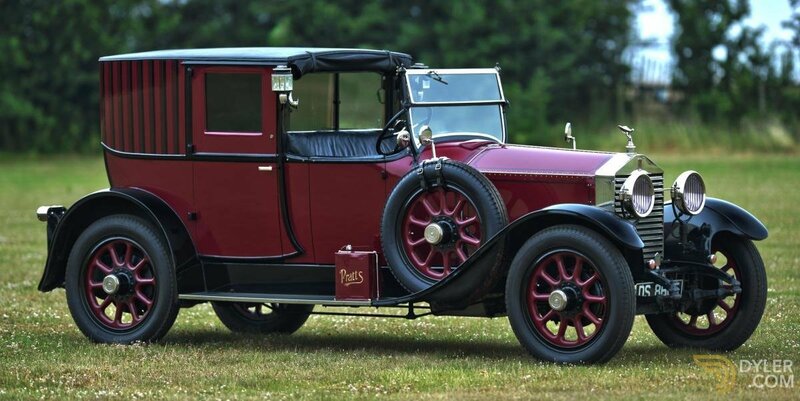 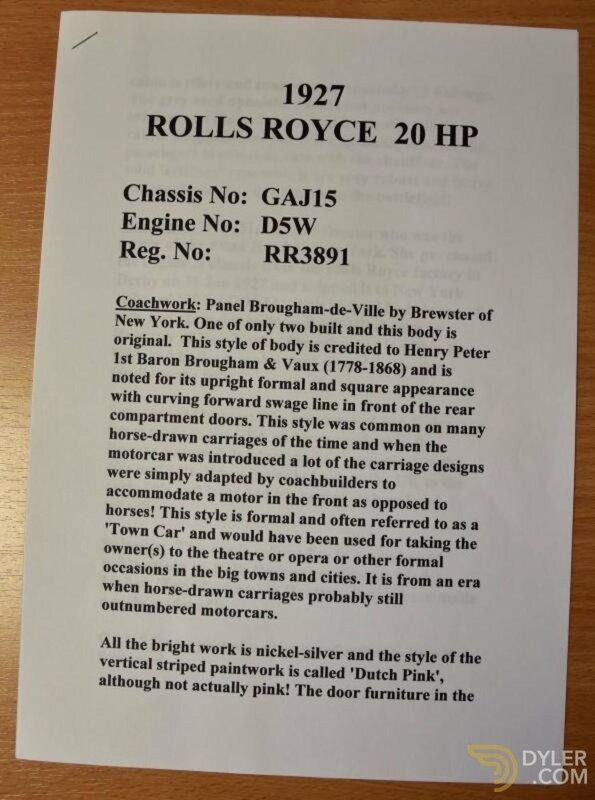 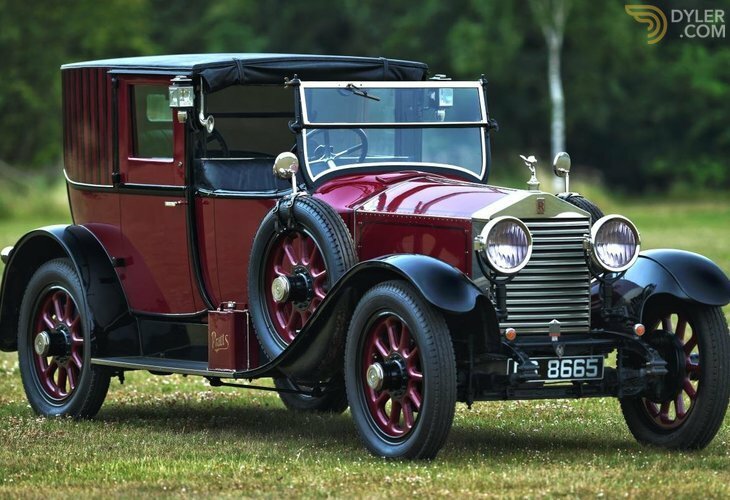 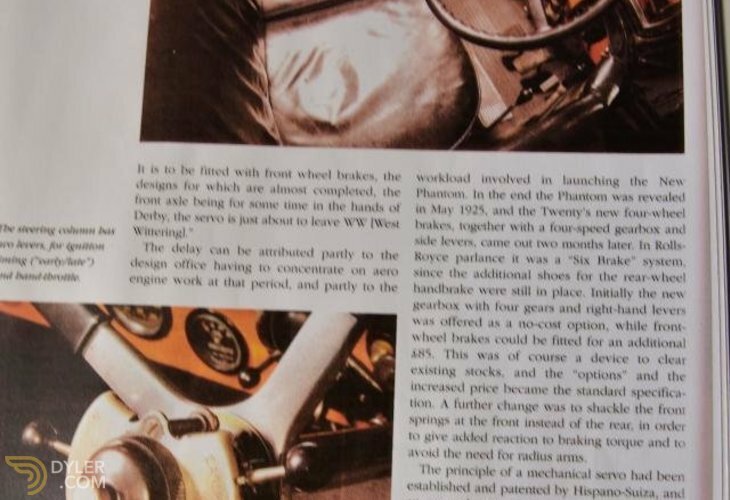 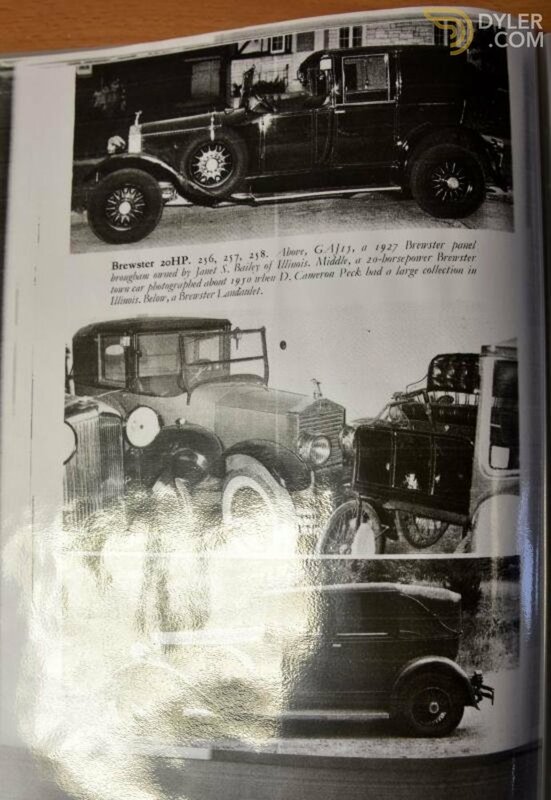 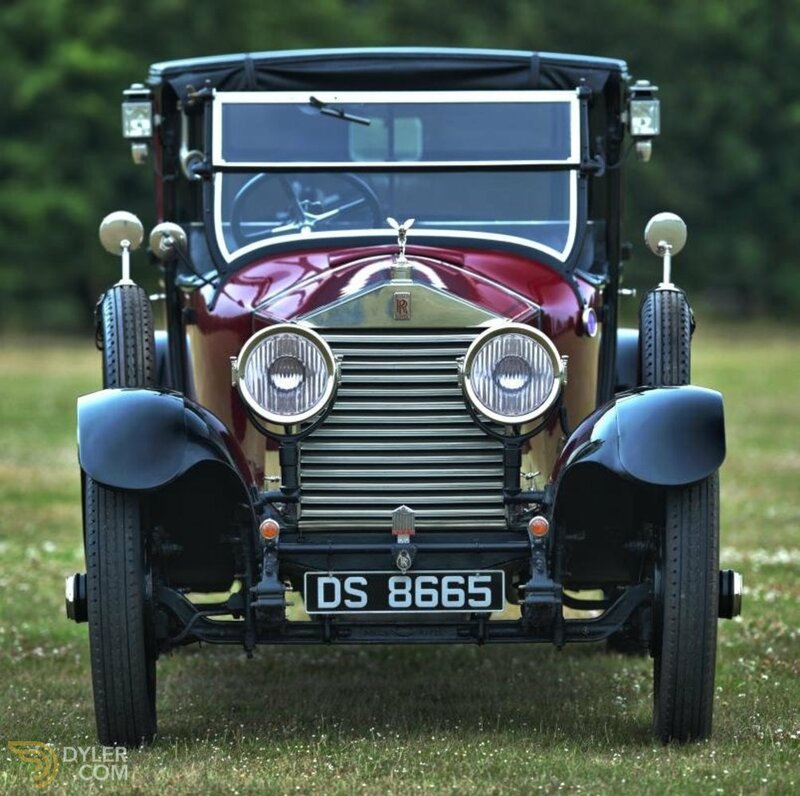 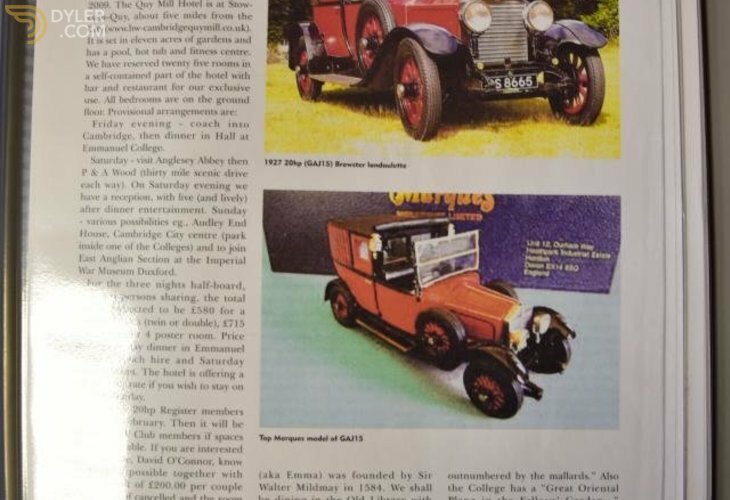 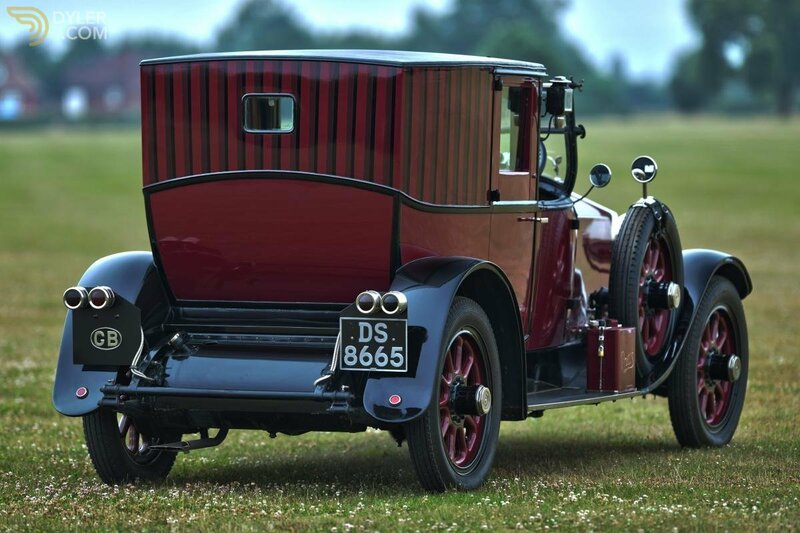 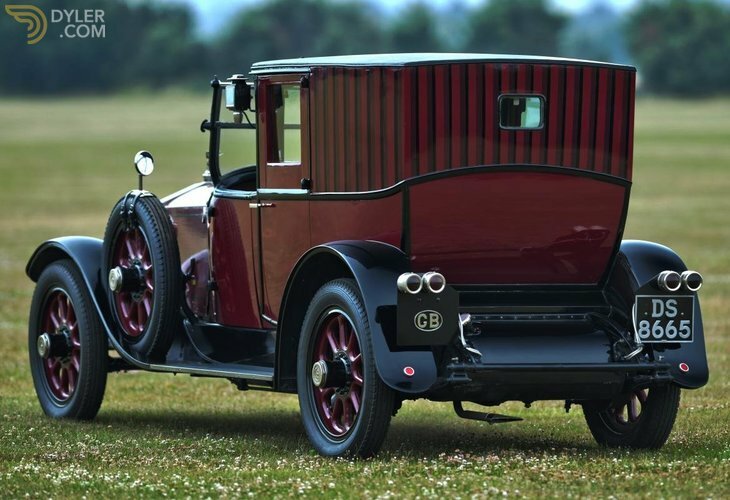 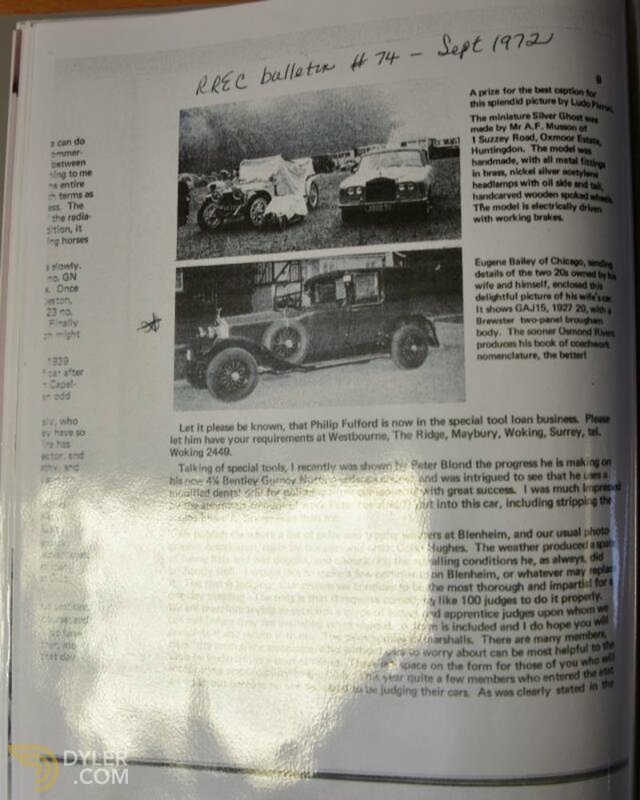 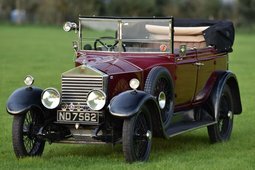 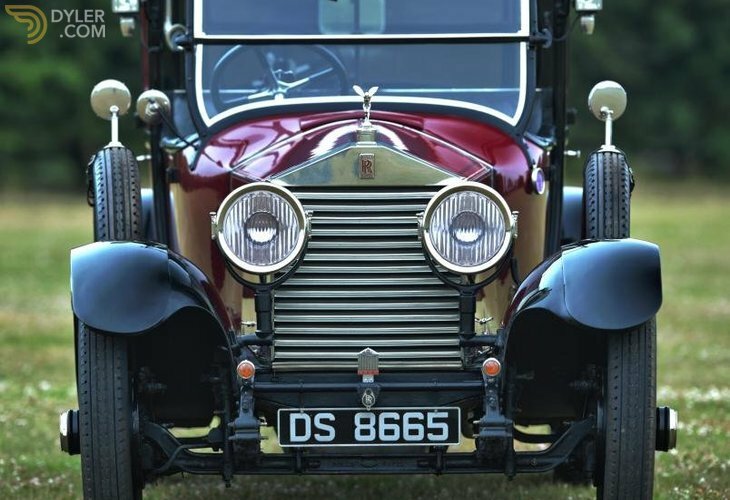 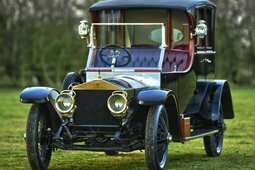 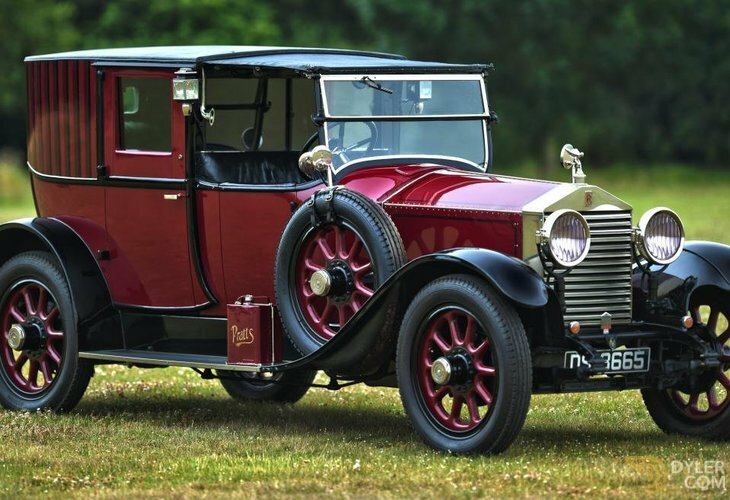 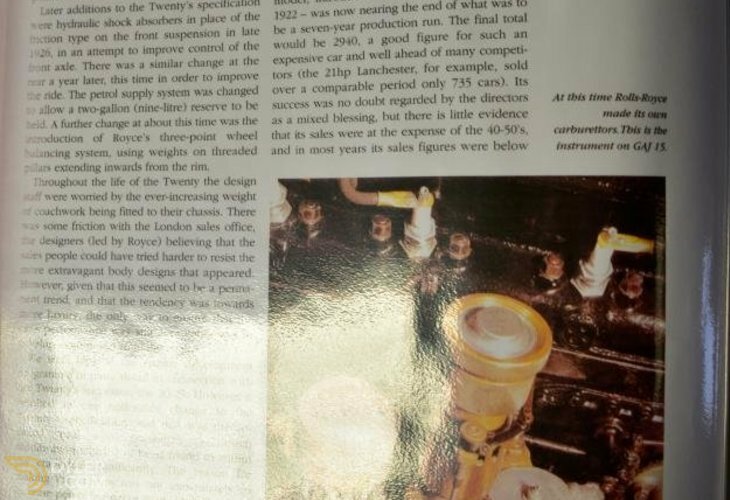 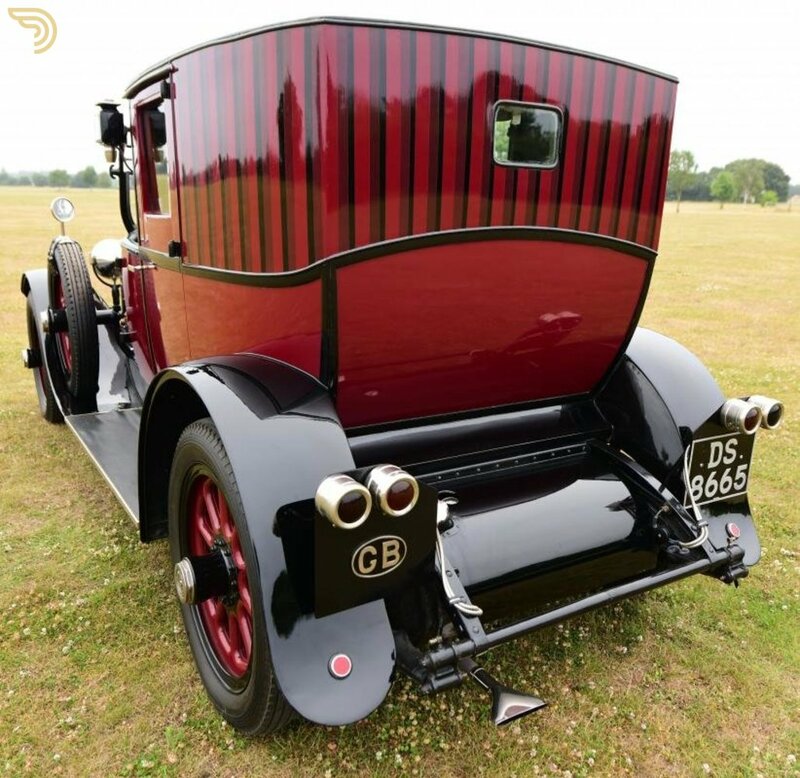 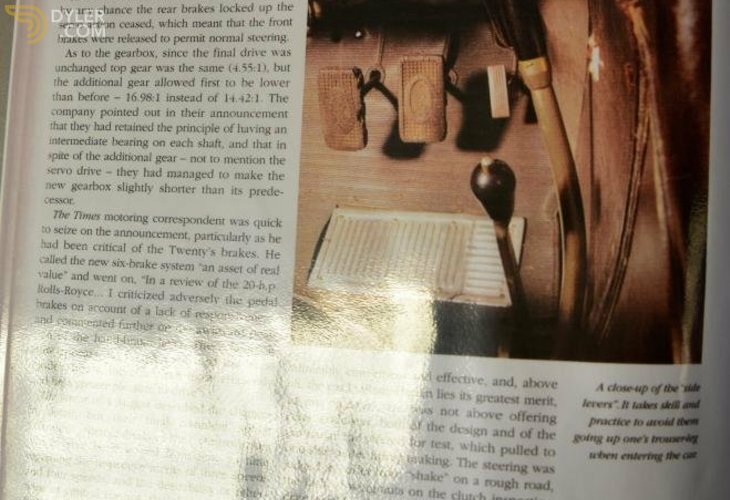 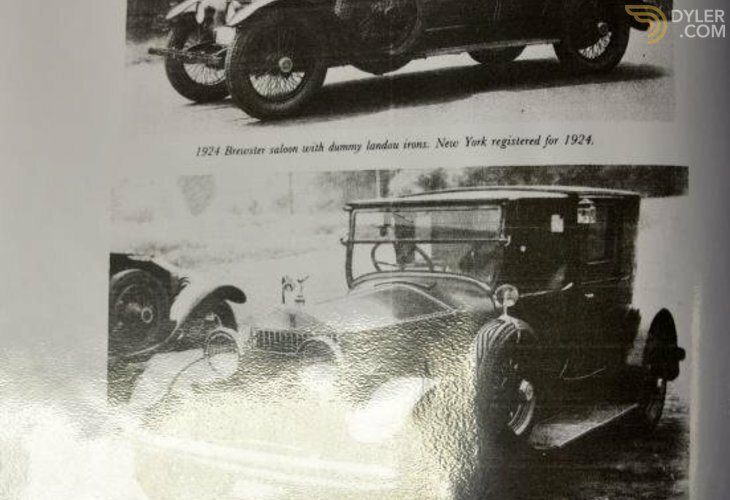 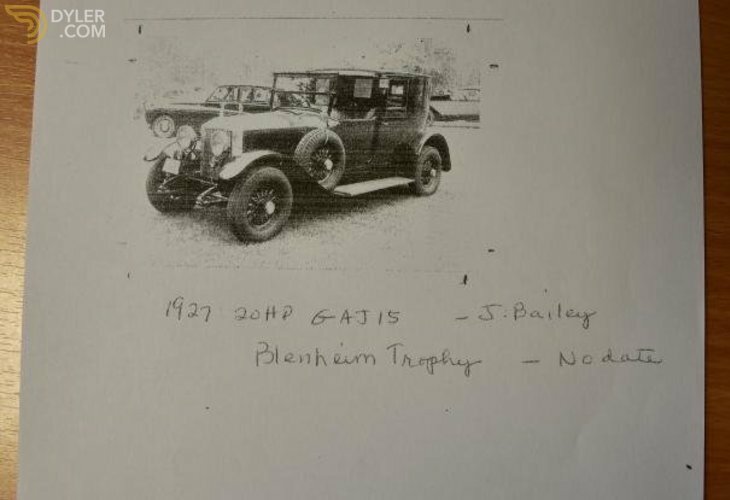 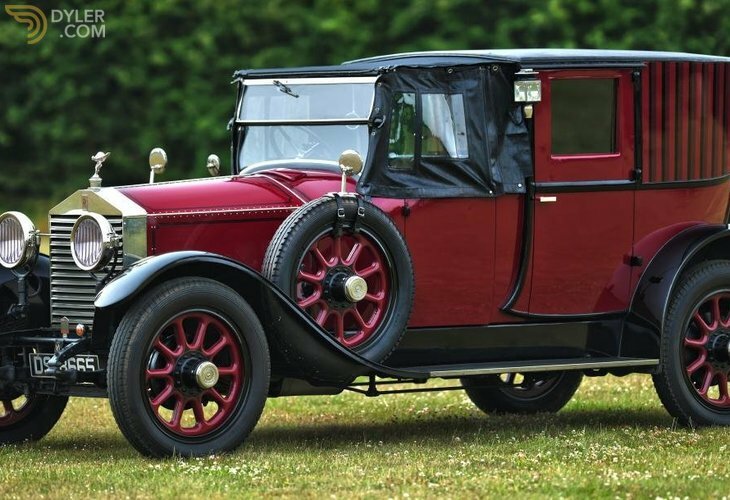 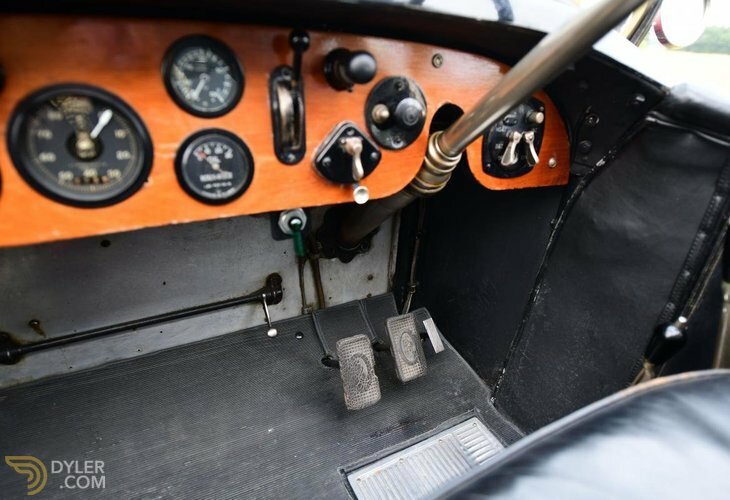 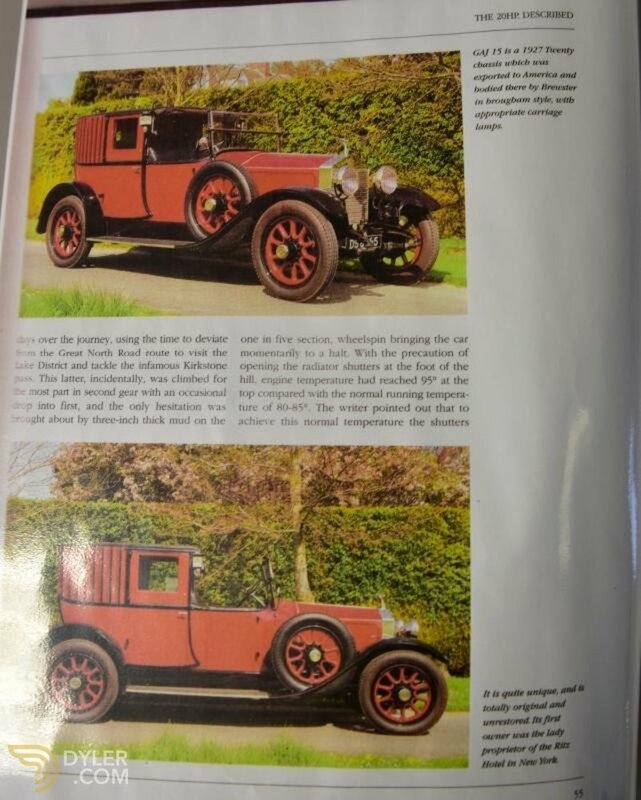 This car is featured in many prominent publications including John Fasal's authoritative work "The Rolls-Royce 20" & more recently Nick Walkers Book "20HP. 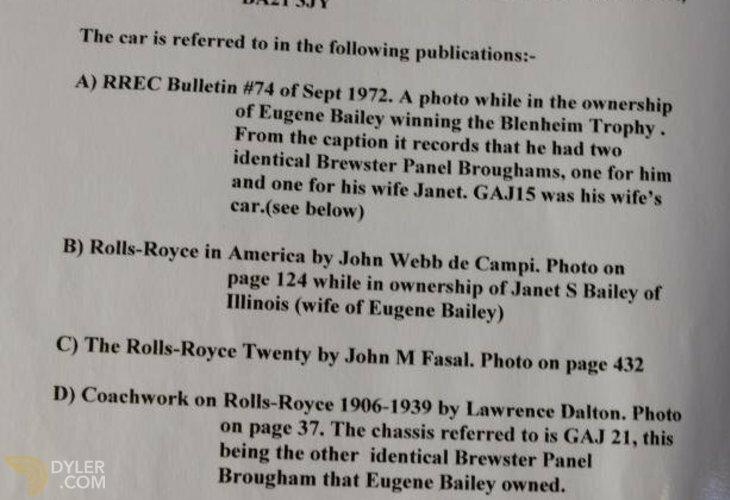 20/25, 25/30 & Wraith" where no less than 8 pages are devoted to it. 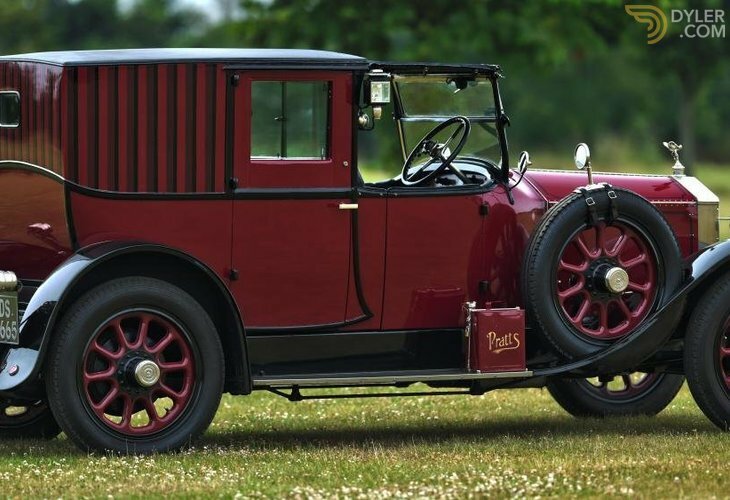 This car is one of those untouched jewels that very occasionally come to market. 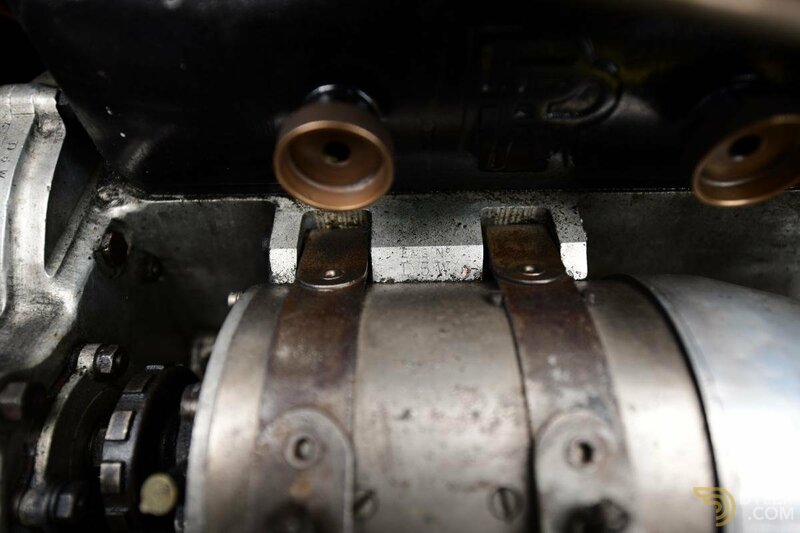 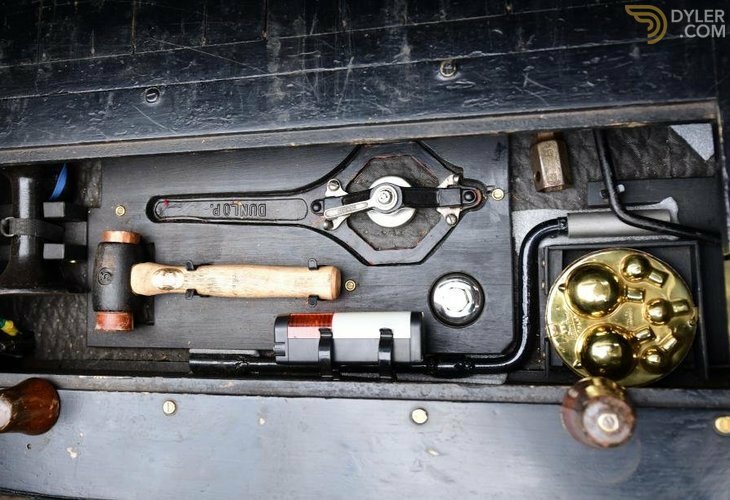 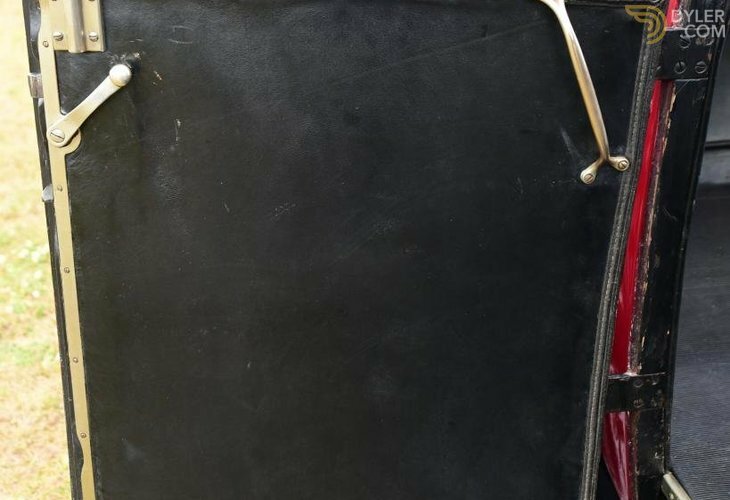 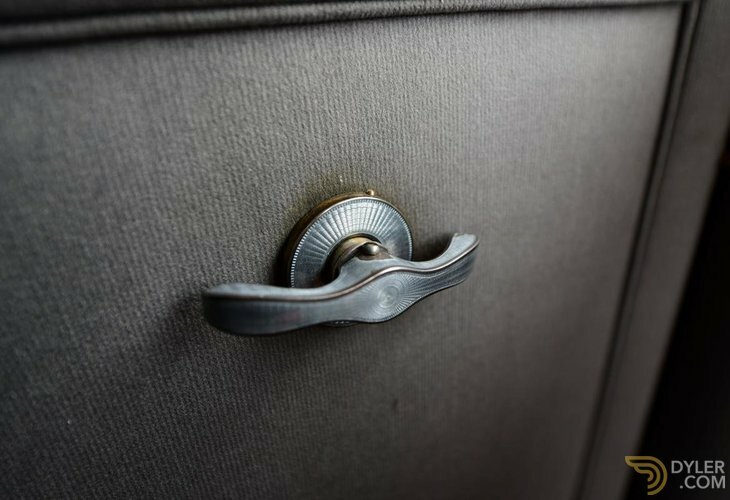 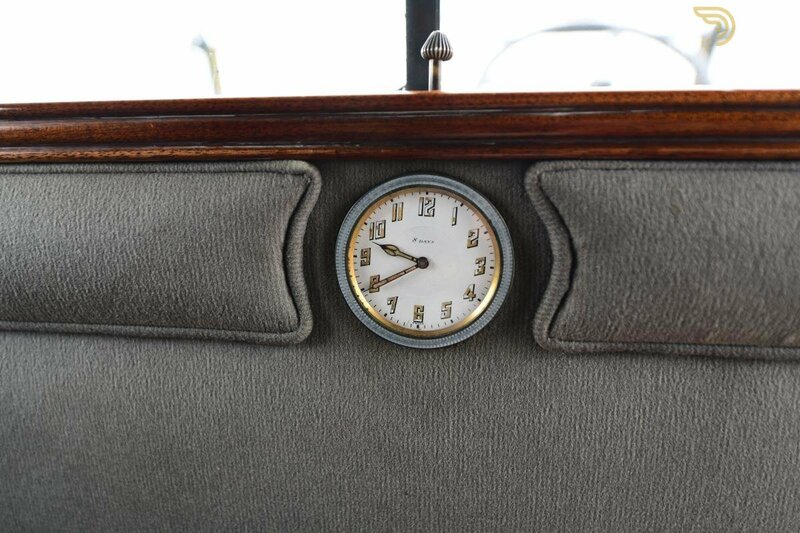 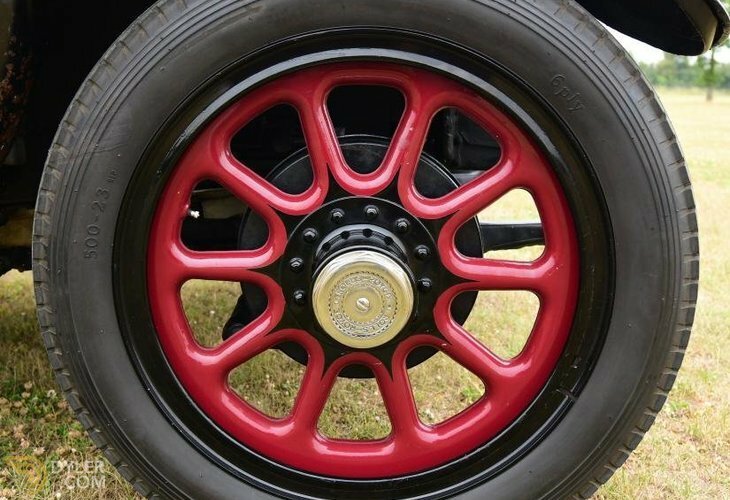 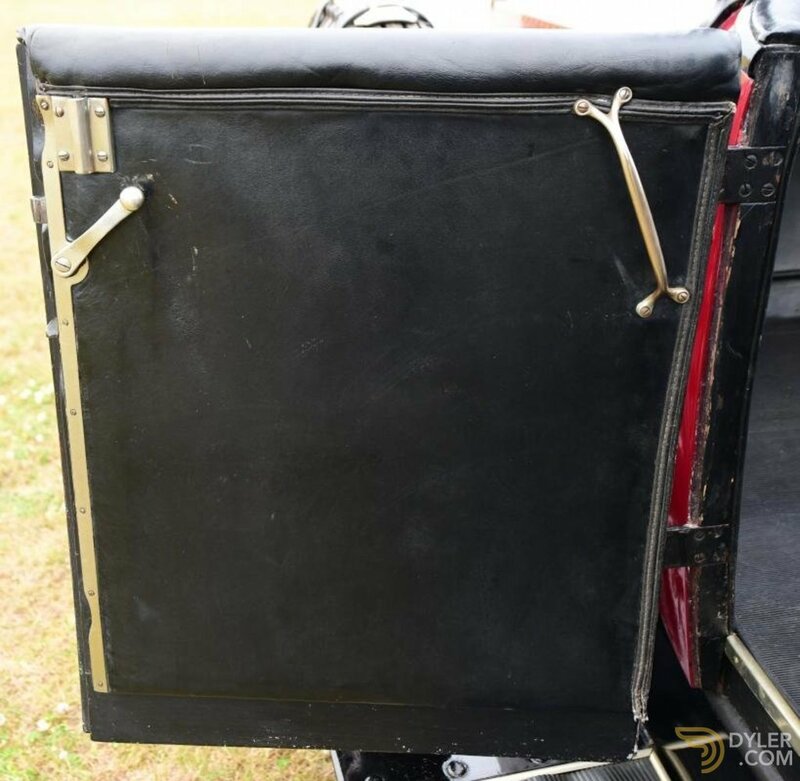 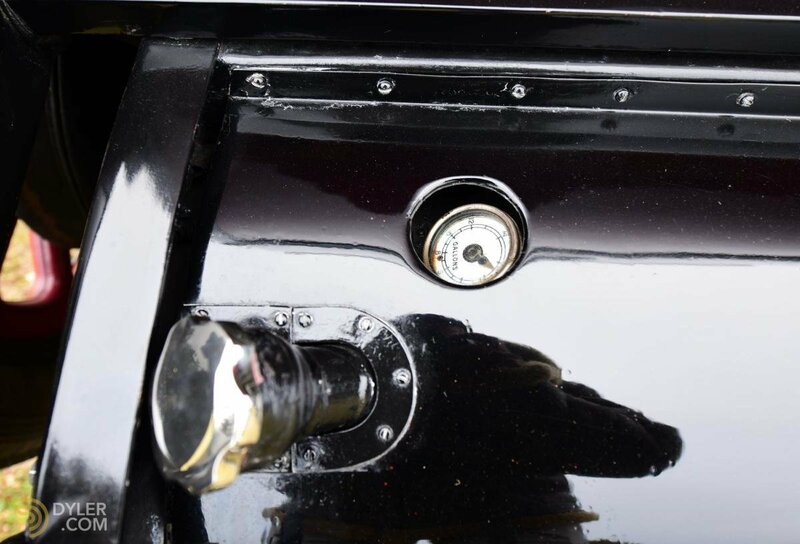 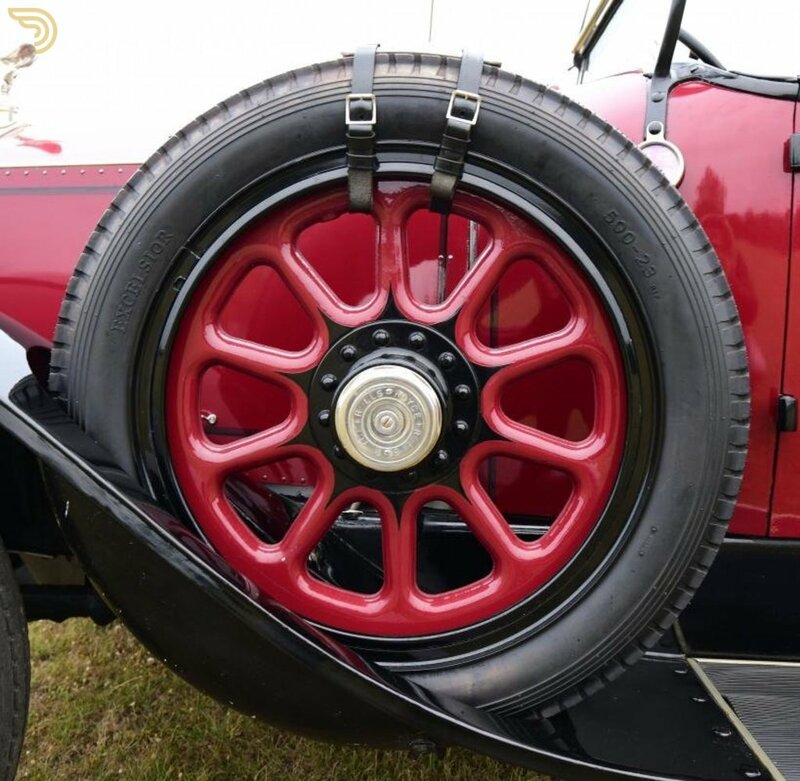 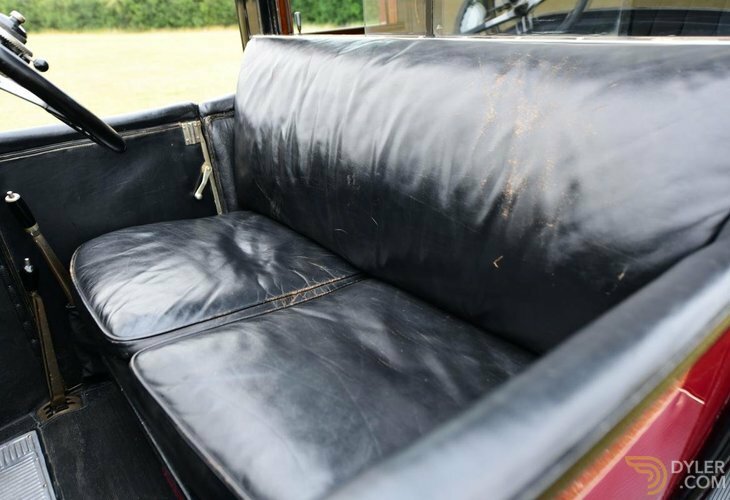 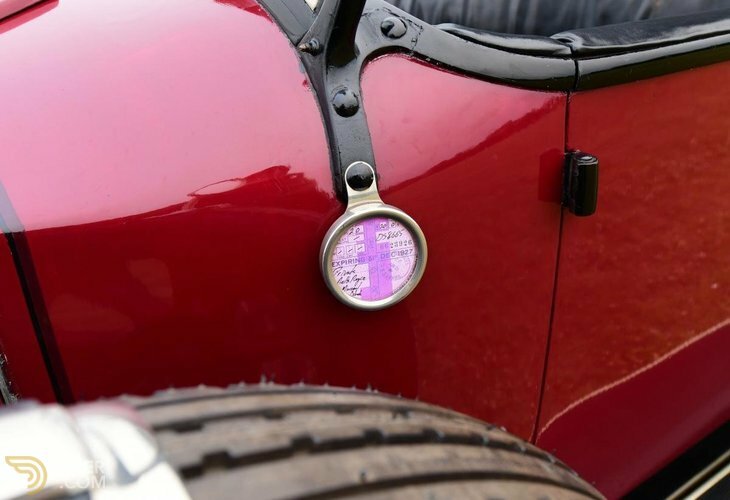 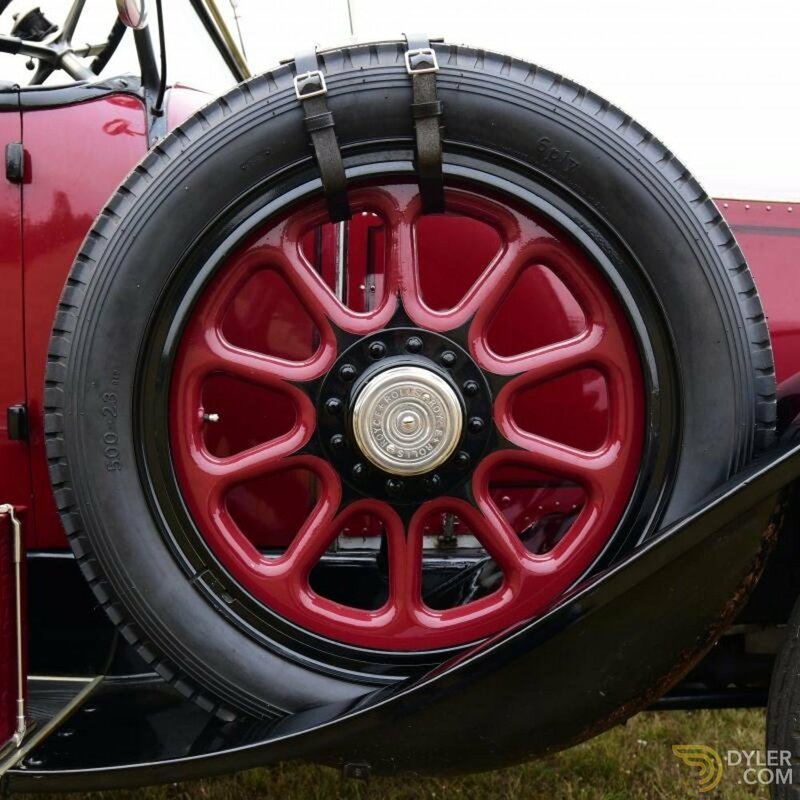 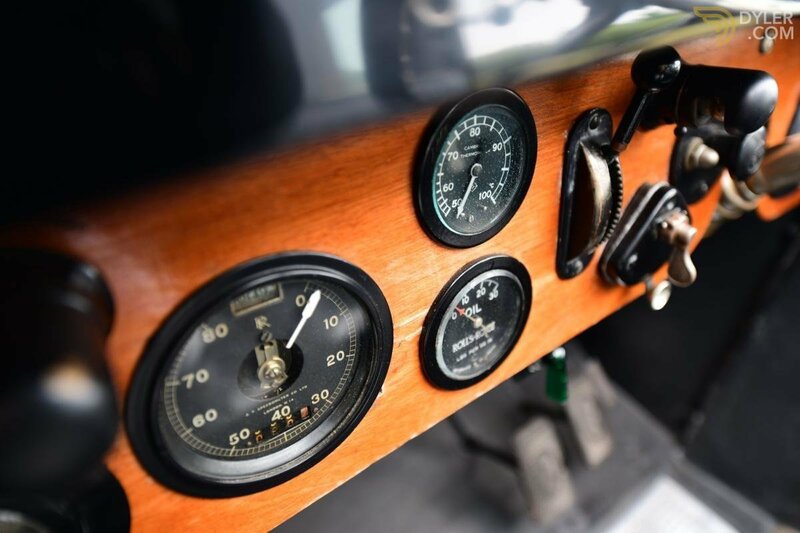 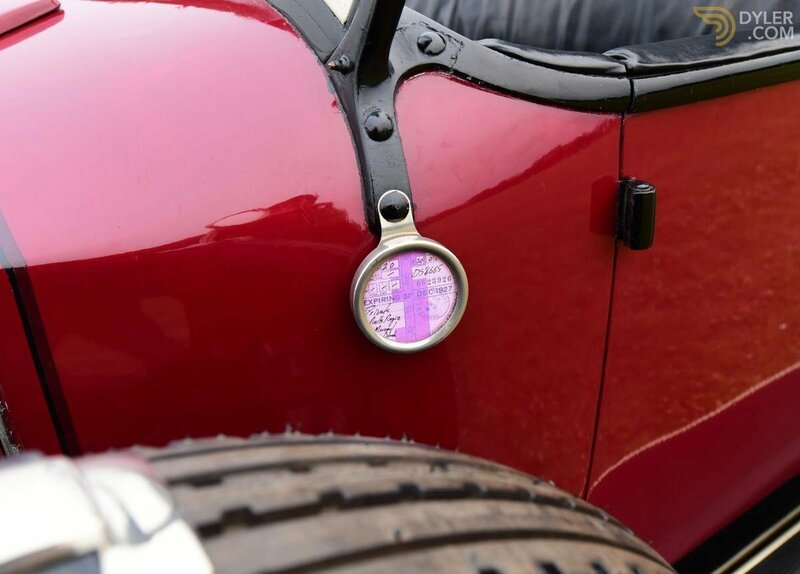 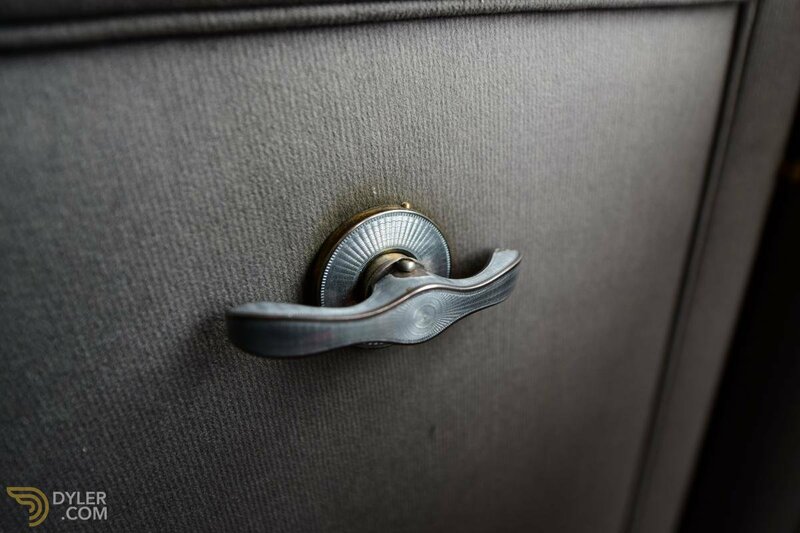 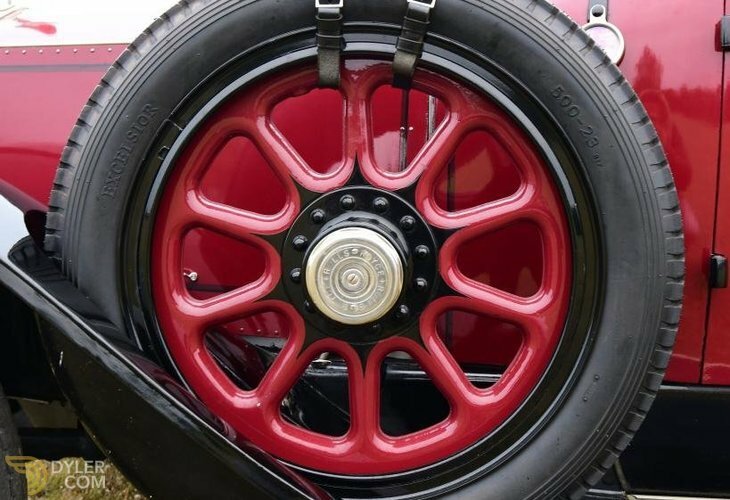 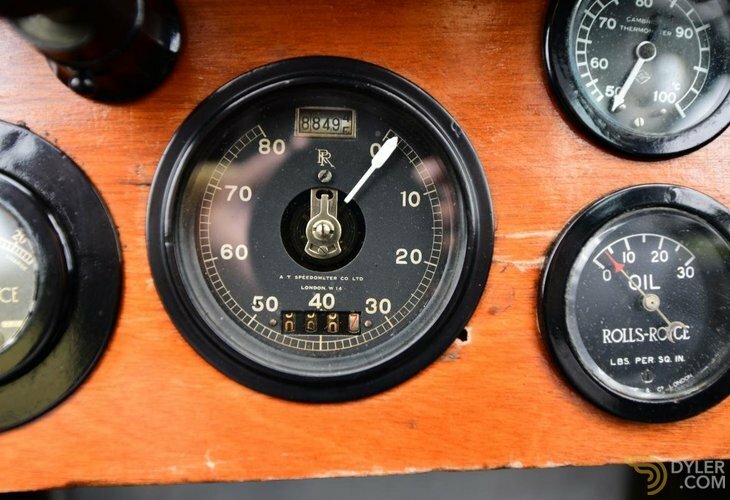 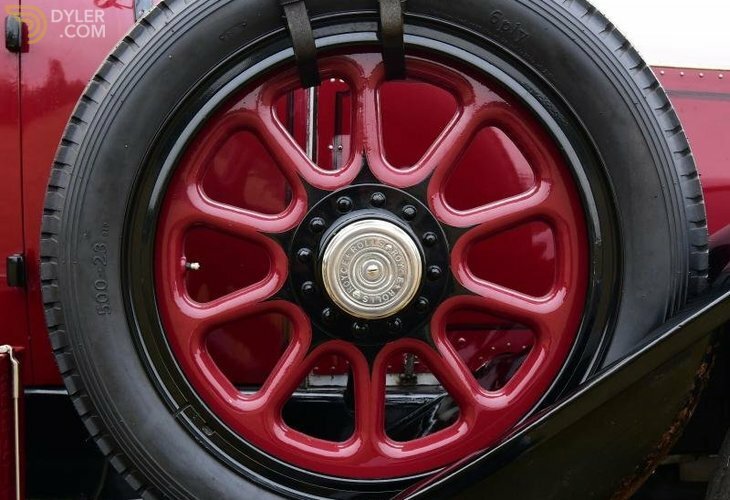 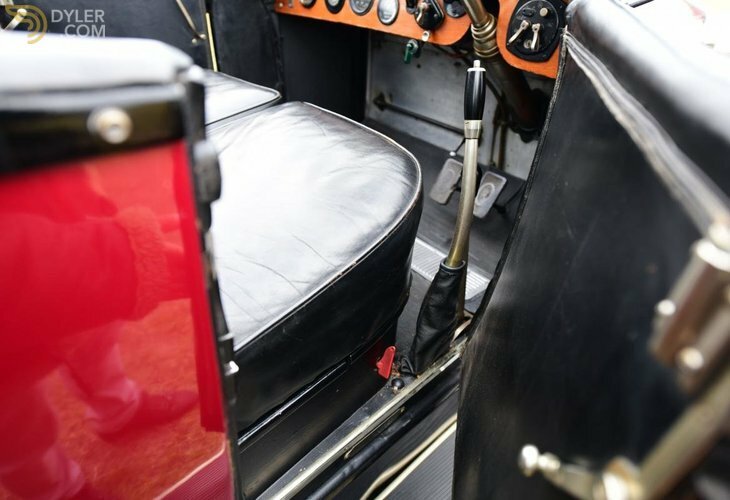 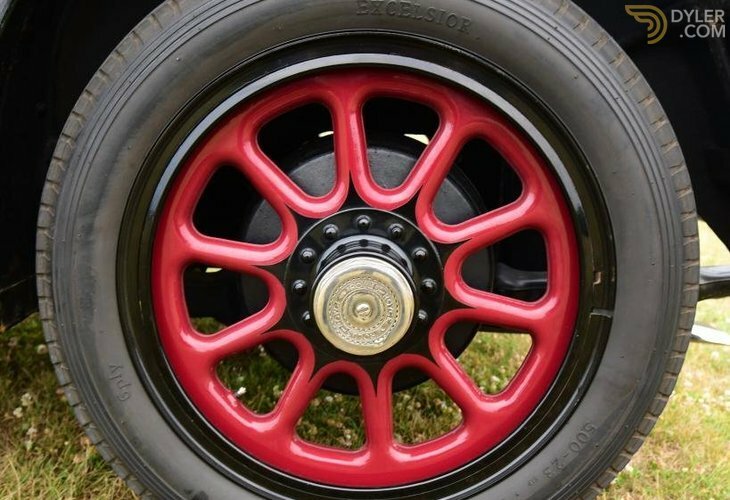 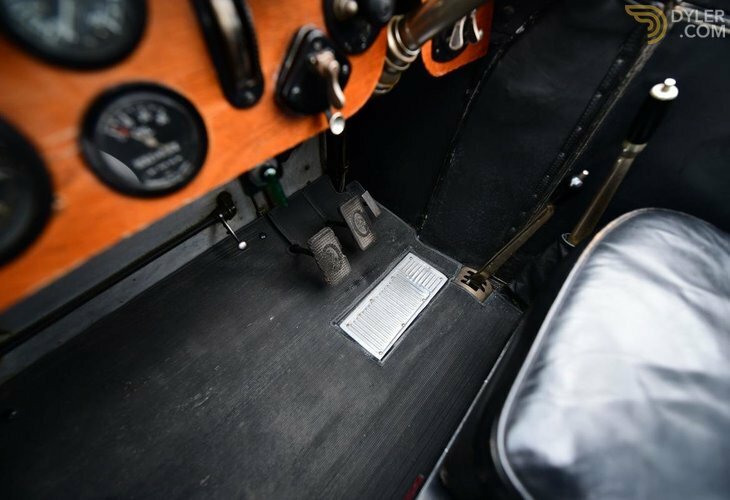 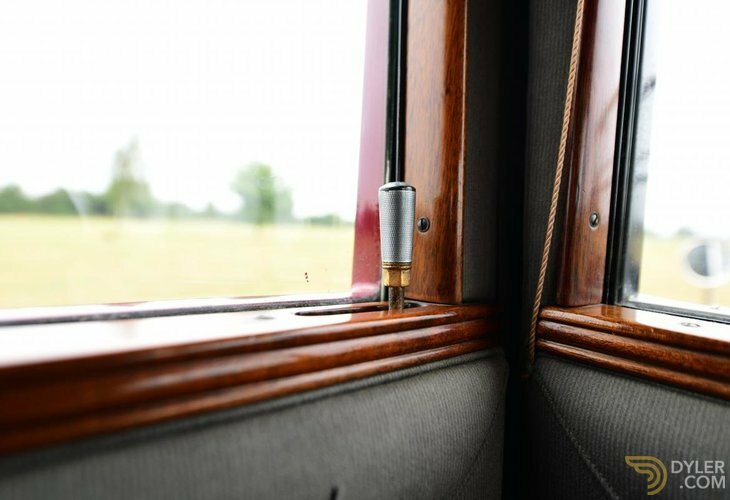 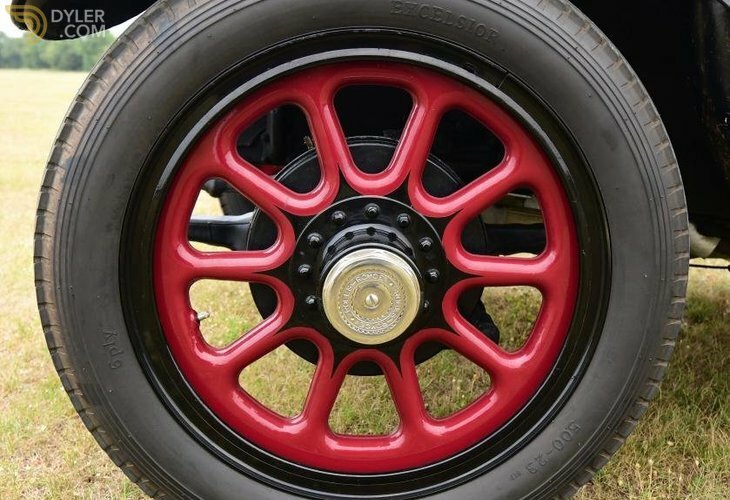 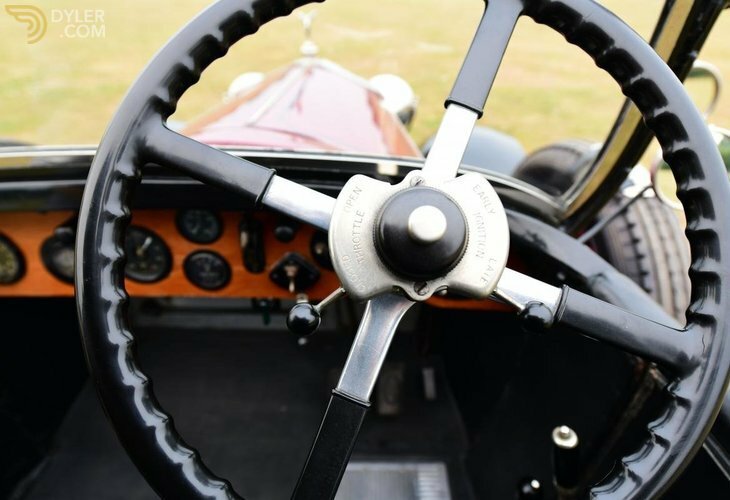 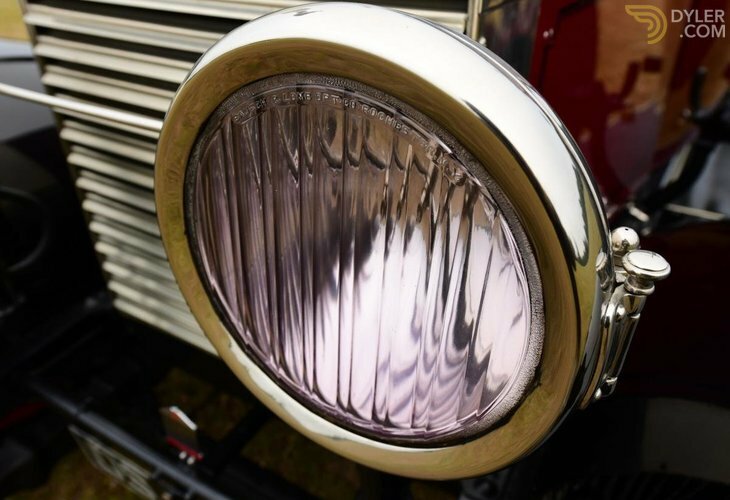 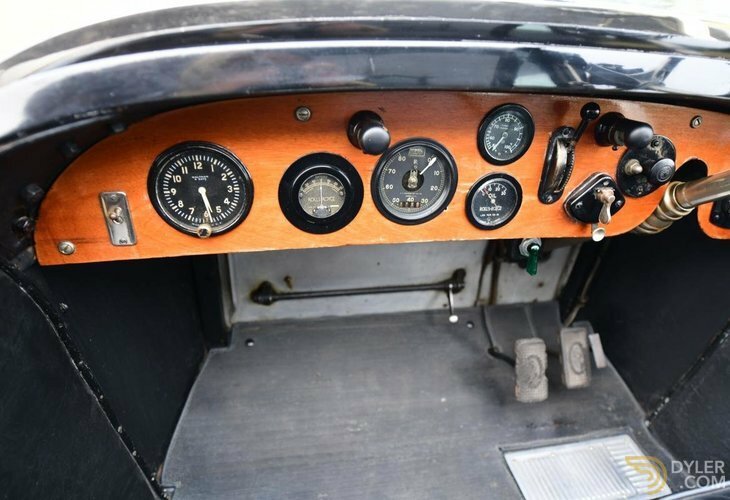 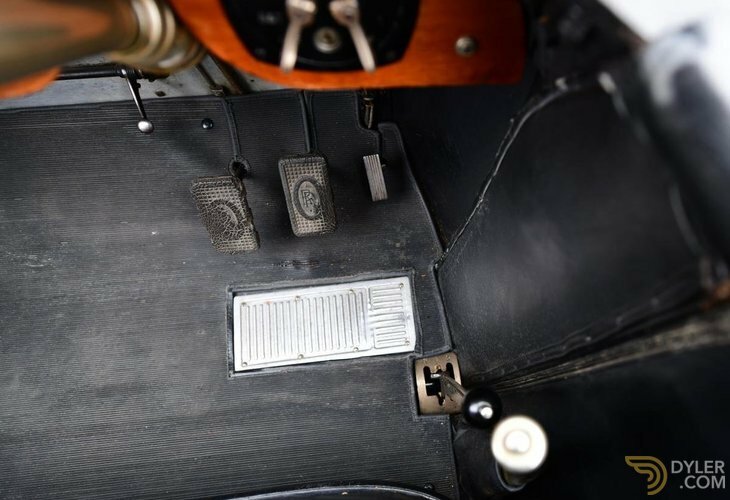 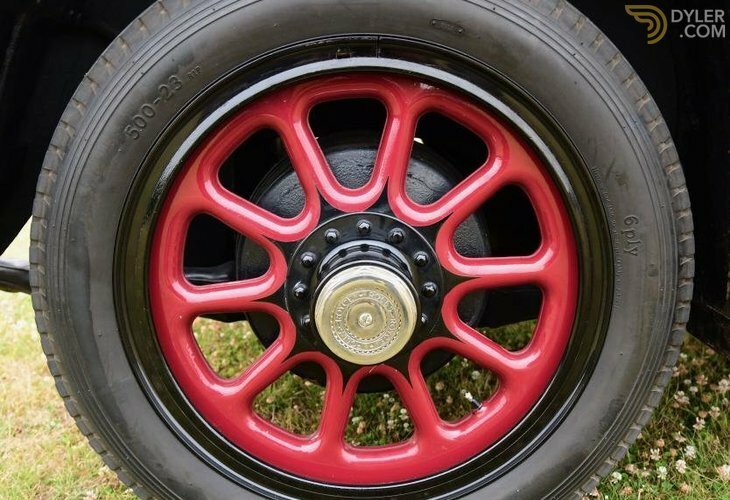 Part of its preservation is due to the fact that for many many years it was residing closeted in a Texas collection where it rarely turned a wheel & had nothing whatsover done to it in the way of modernisation or so called "improvements." 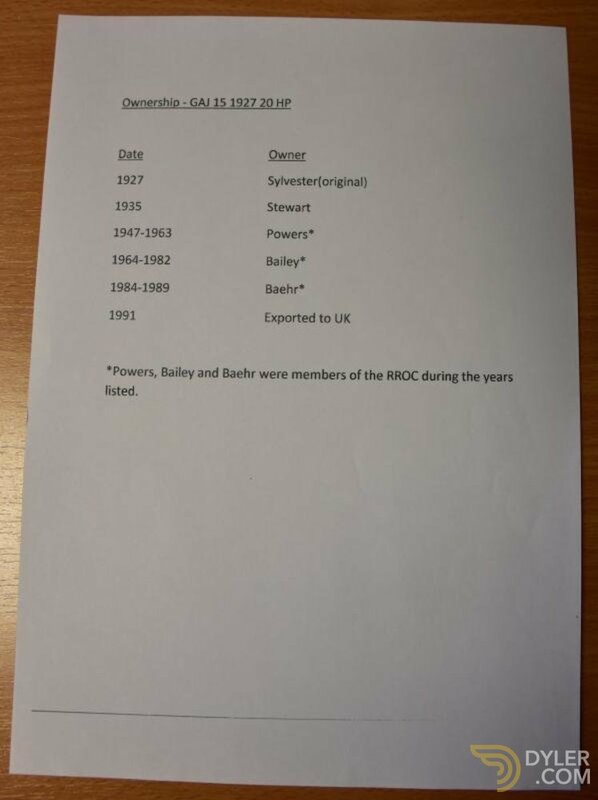 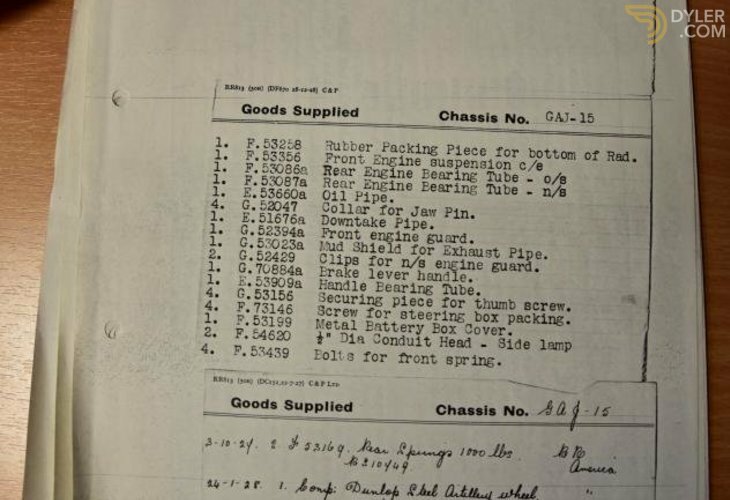 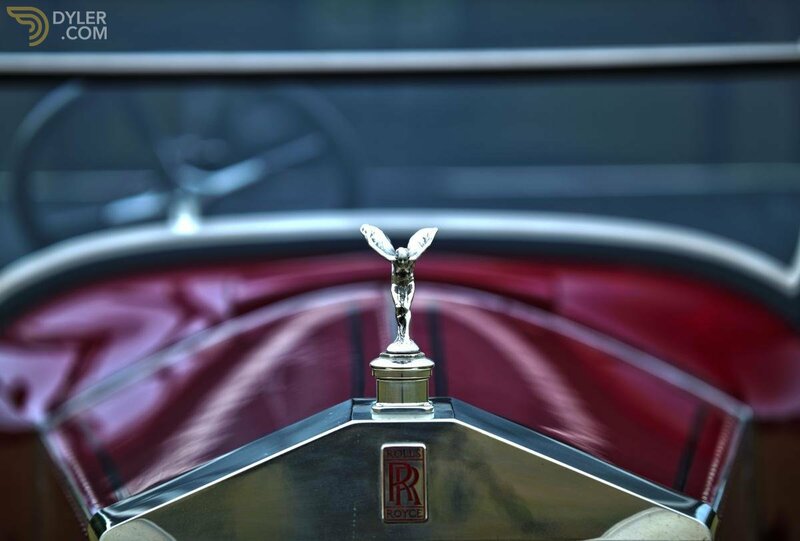 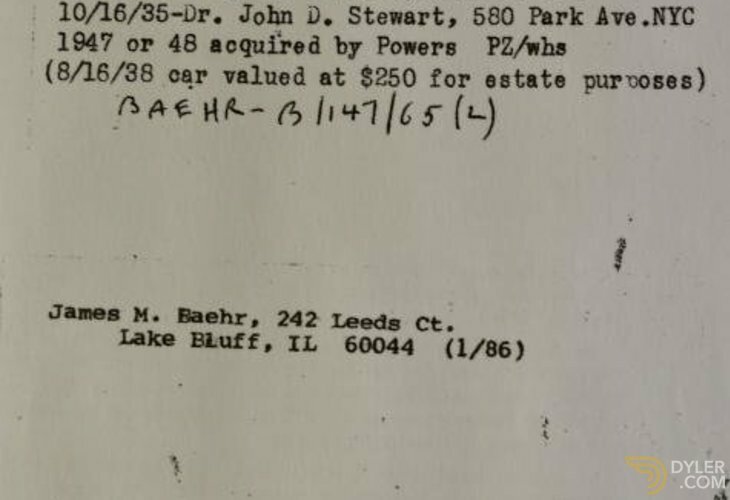 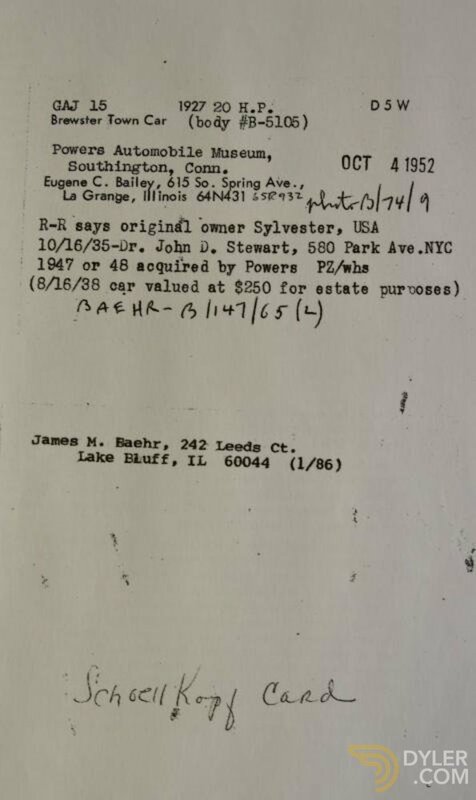 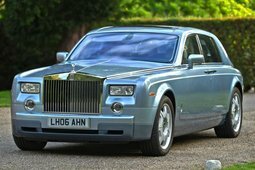 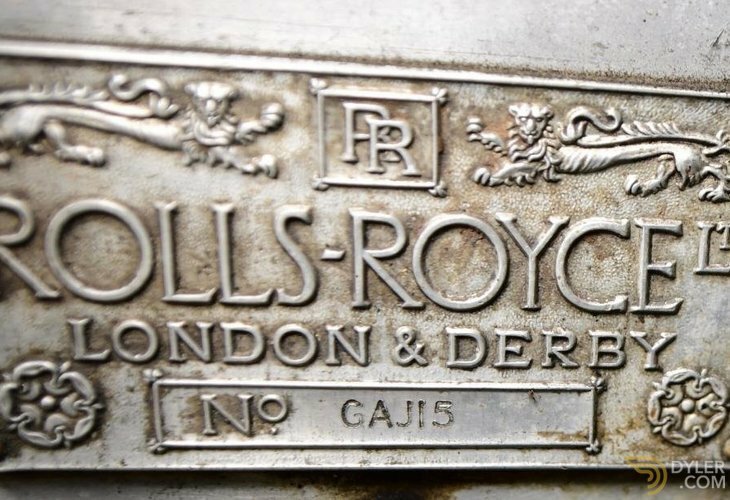 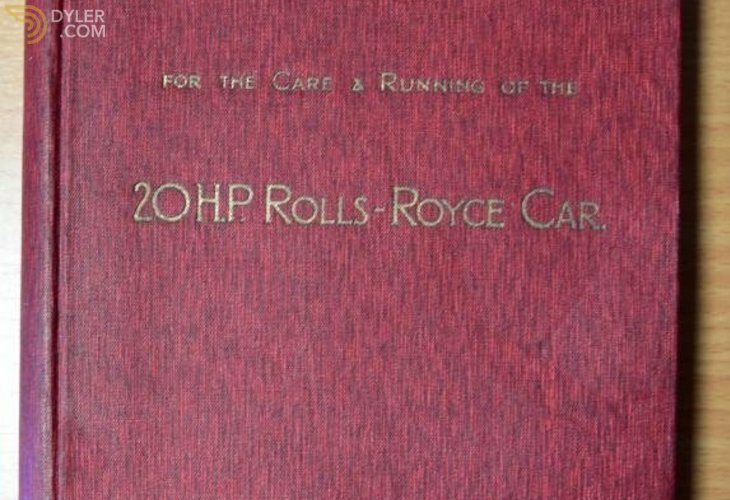 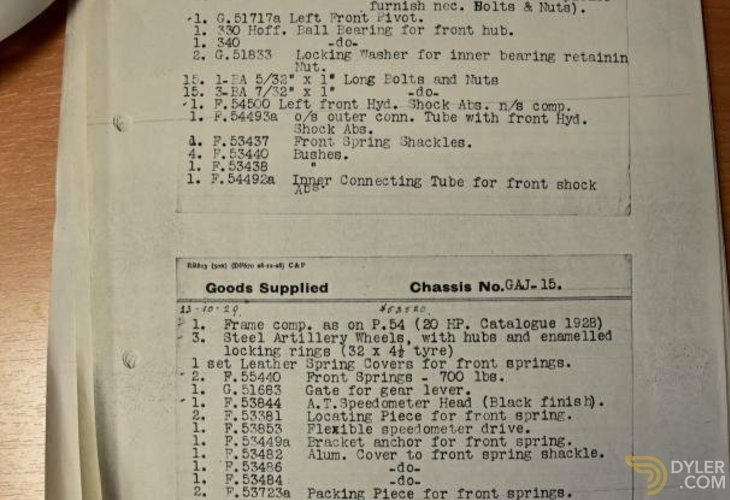 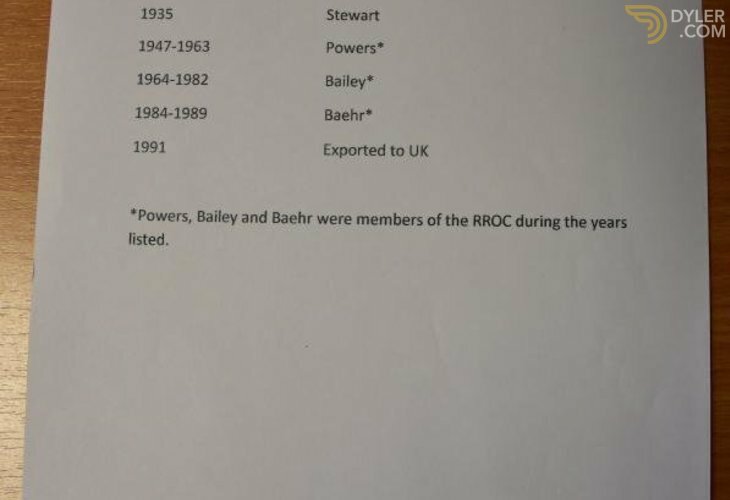 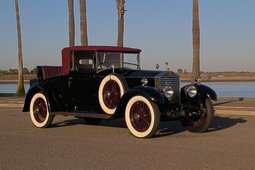 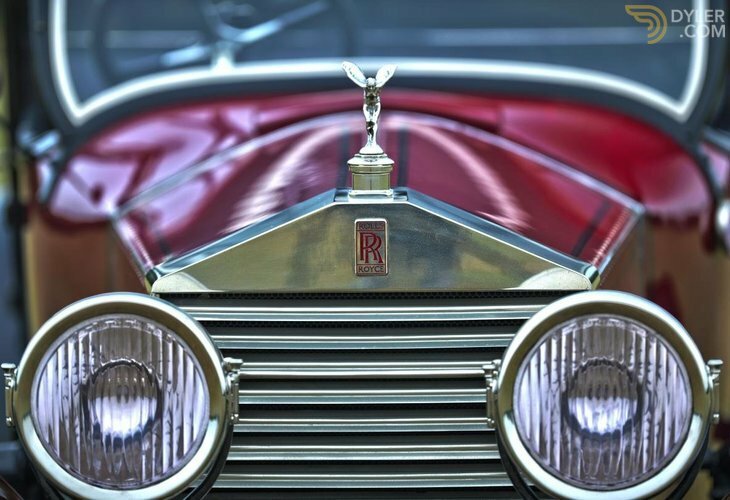 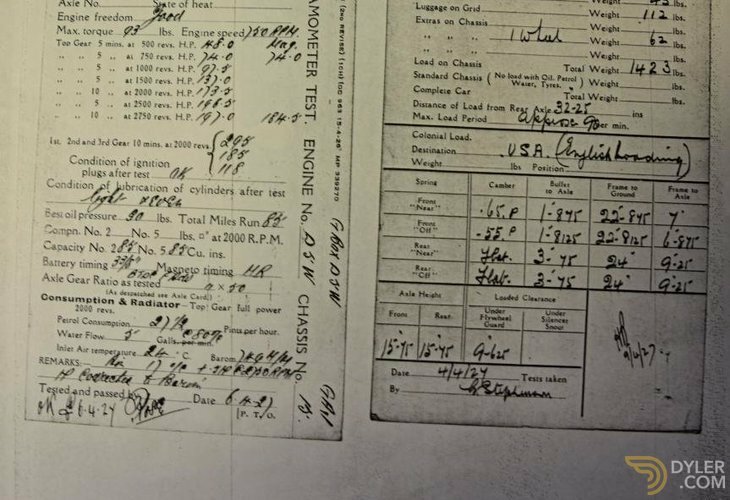 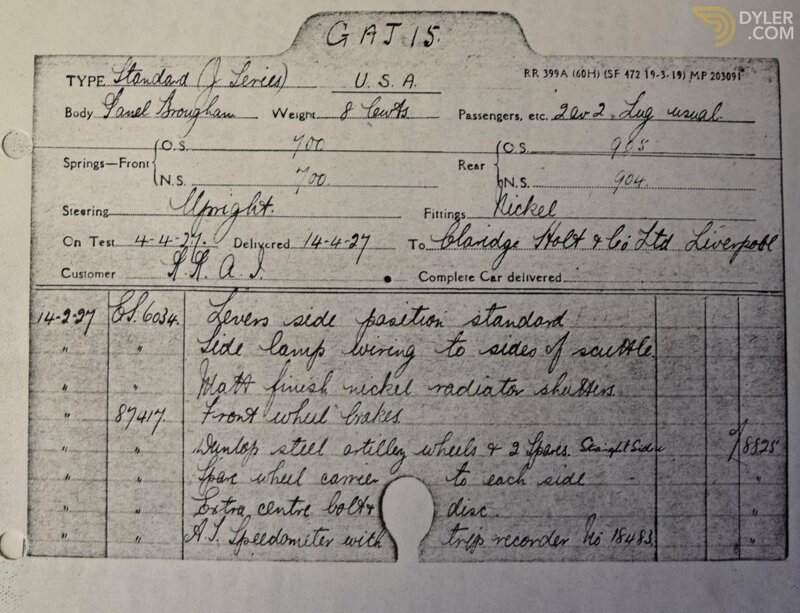 Very few 20hp Rolls-Royces were exported to America. 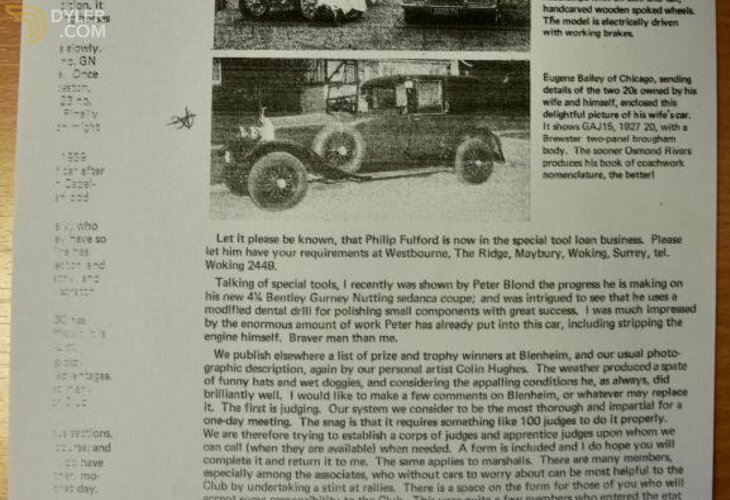 About 45 we believe. 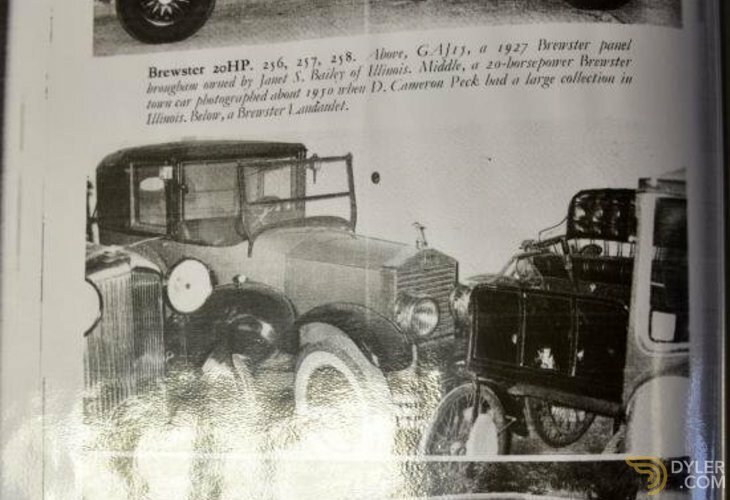 Brewster bodied a handful of these, of which this car is an example. 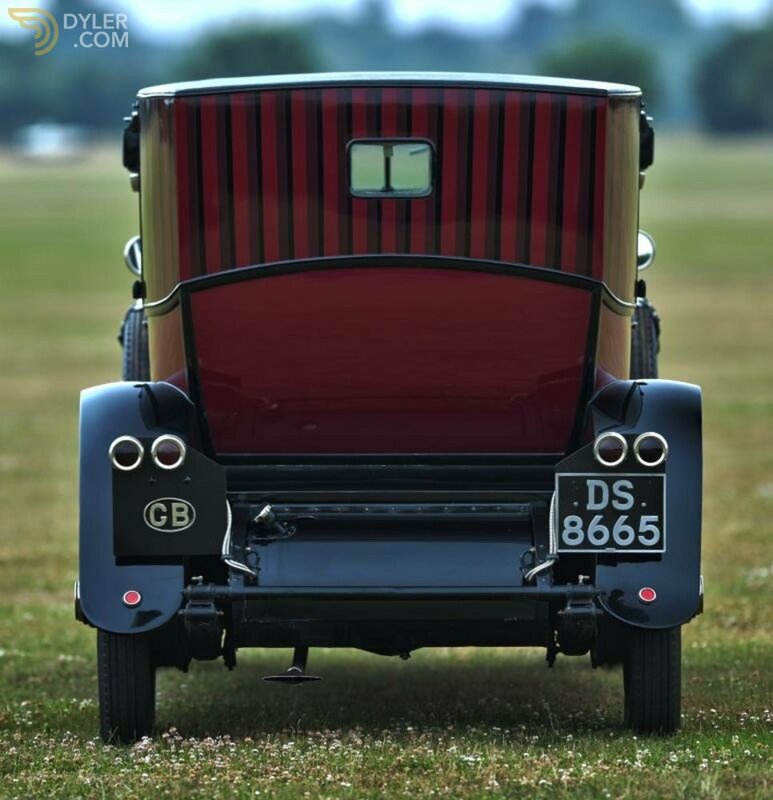 The body is in the style of an open drive opera coupe complete with opera lamps to the pillars. 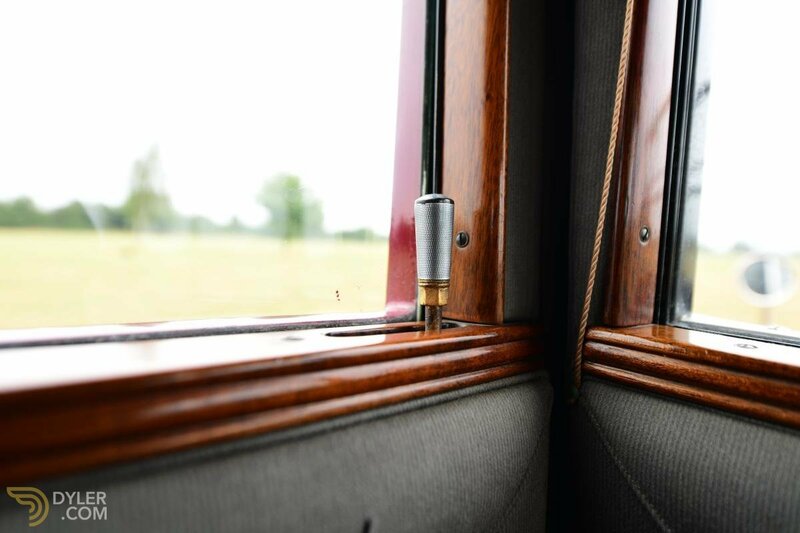 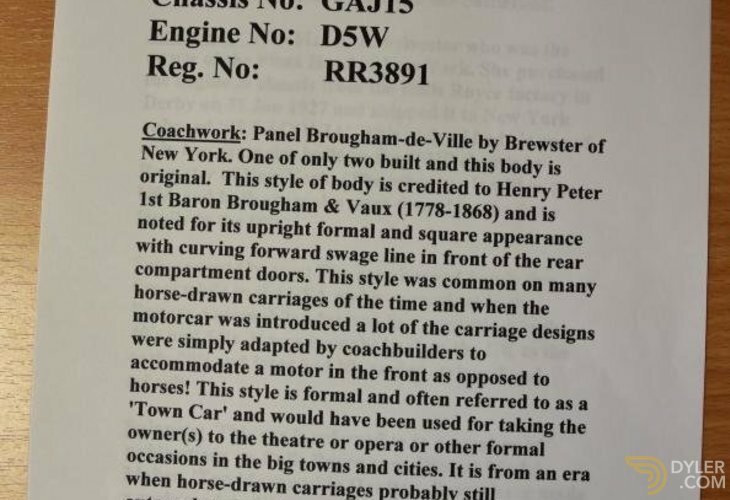 It is quaint & very very carriage like, particularly when viewed from the rear. 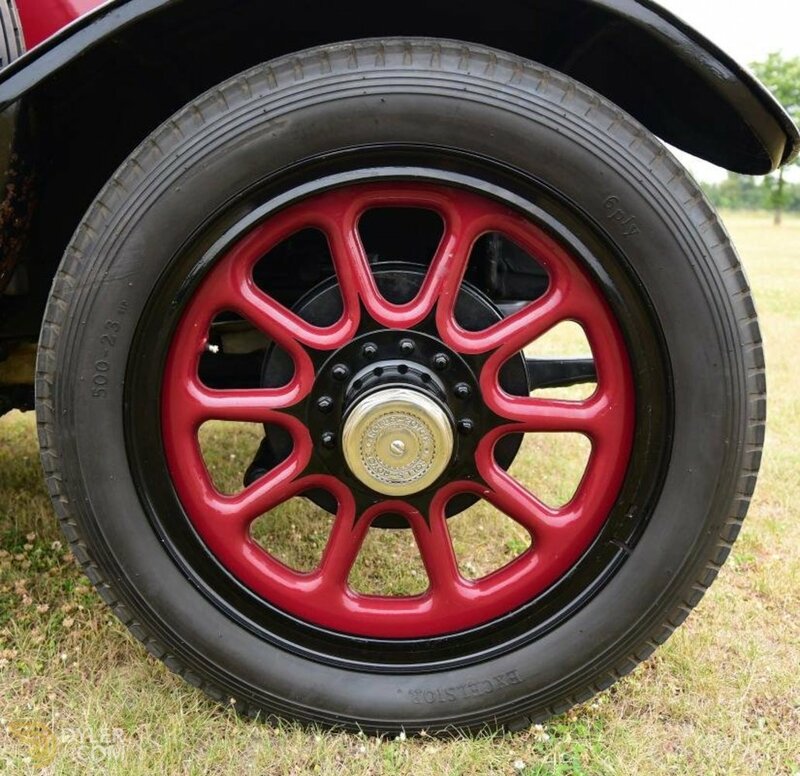 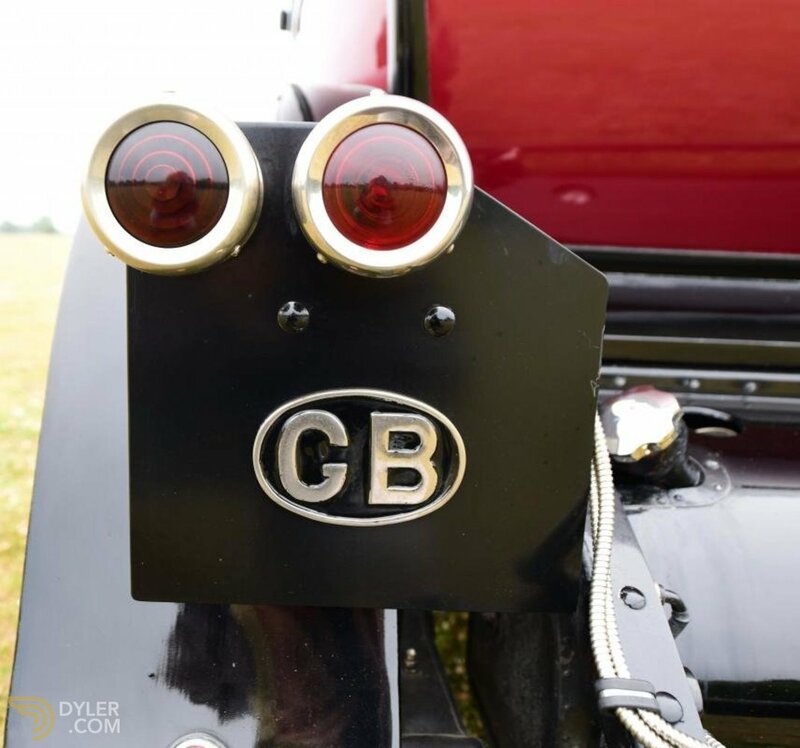 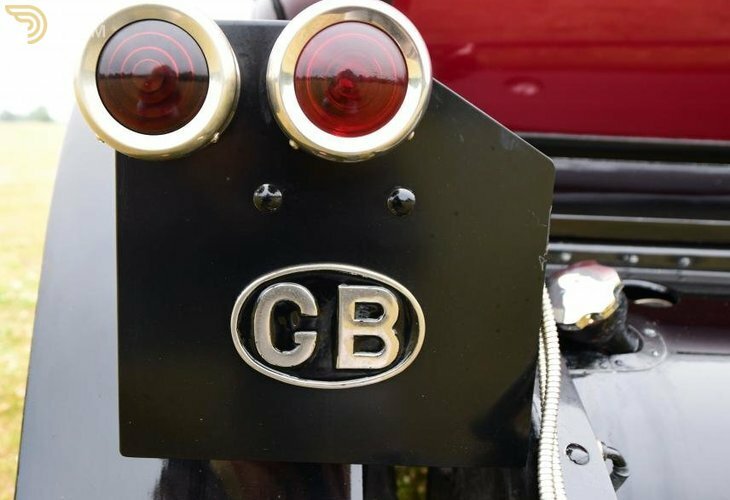 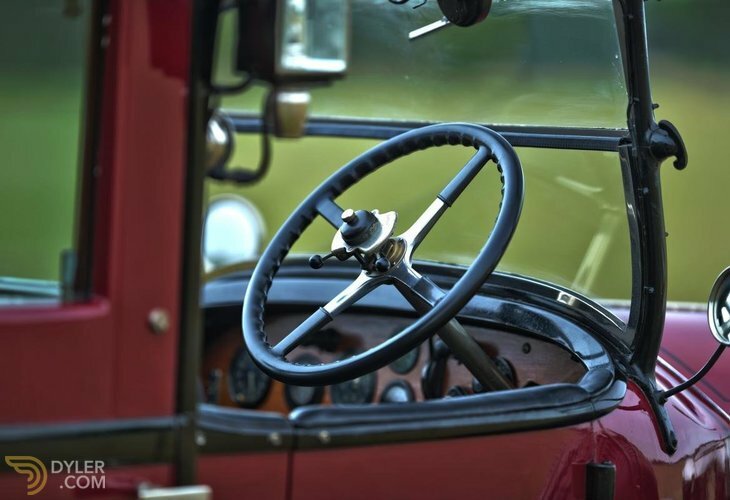 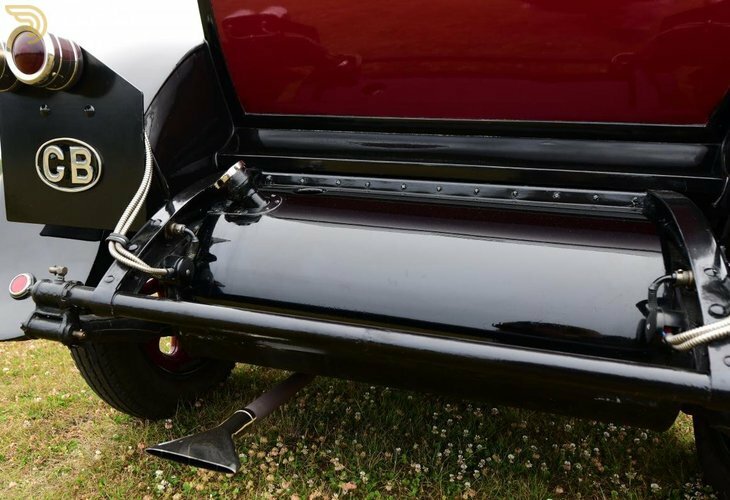 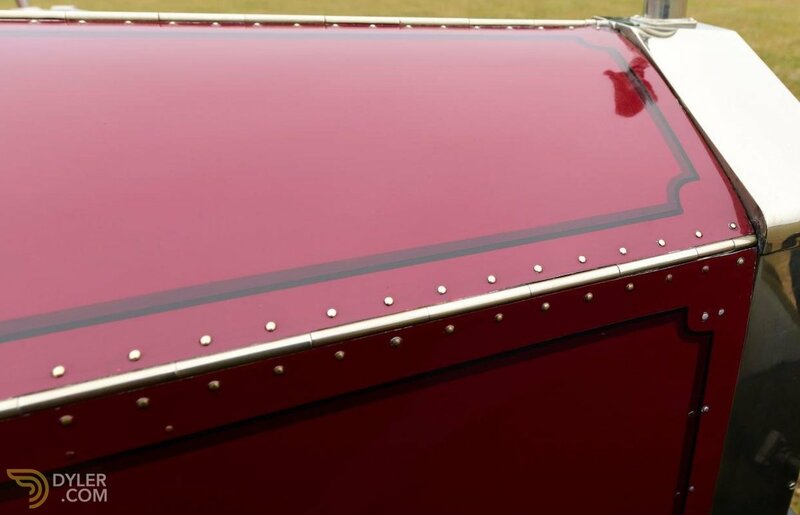 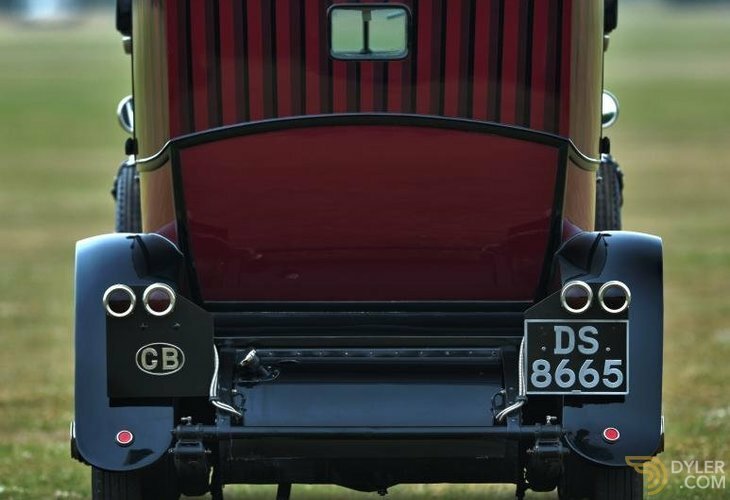 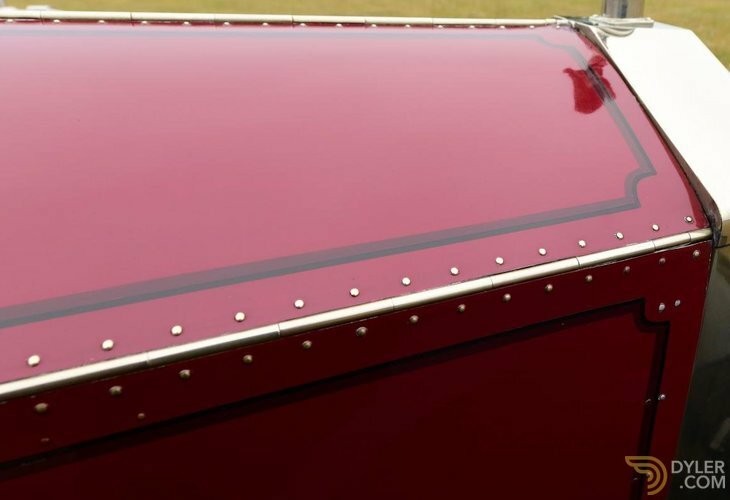 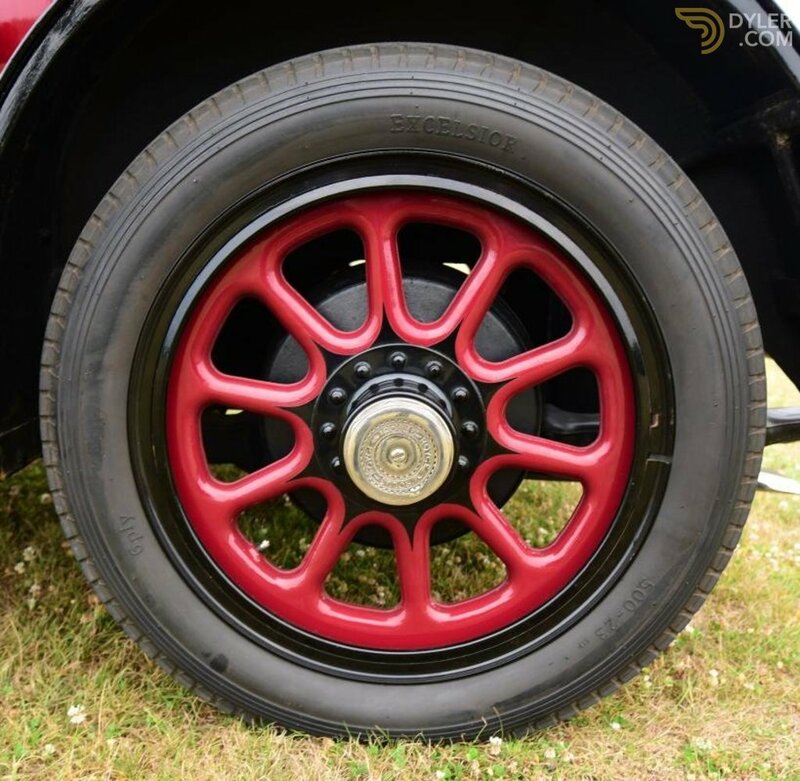 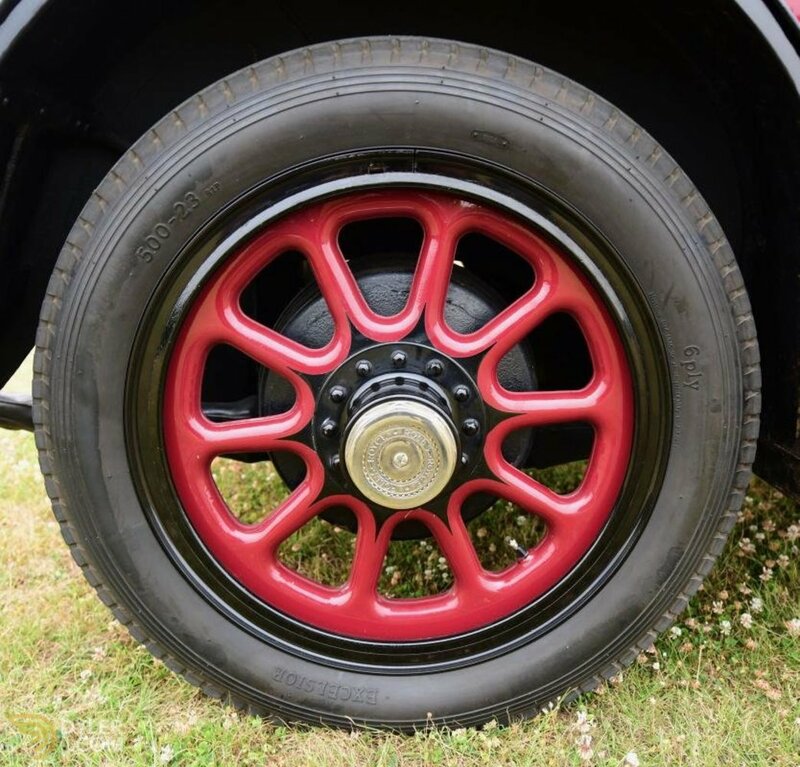 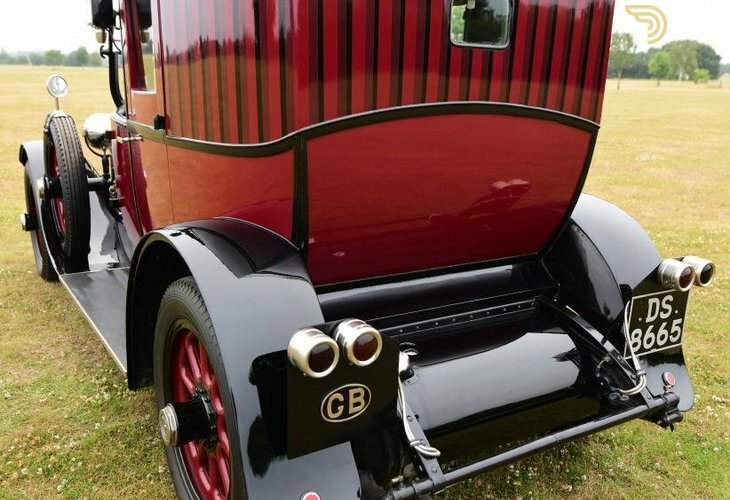 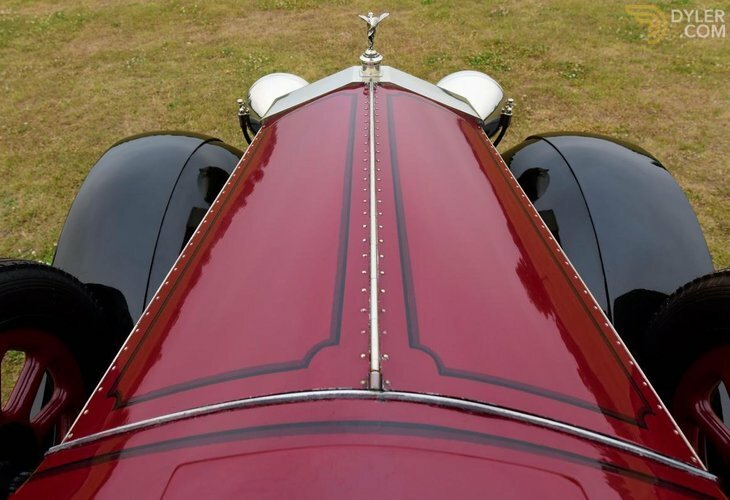 The body is totally original & sports its original hand painted vibrant colour scheme of red & black, with alternating red, burgundy & black stripes running vertically up the top sections of the rear cab. 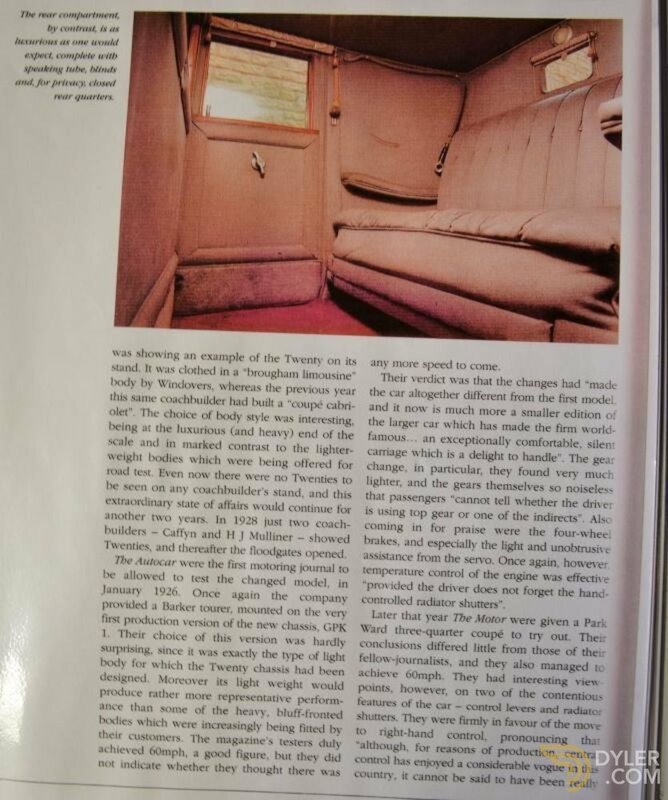 The car is quite unique in appearance & was even used as a pattern for a run of "top Marques" models. 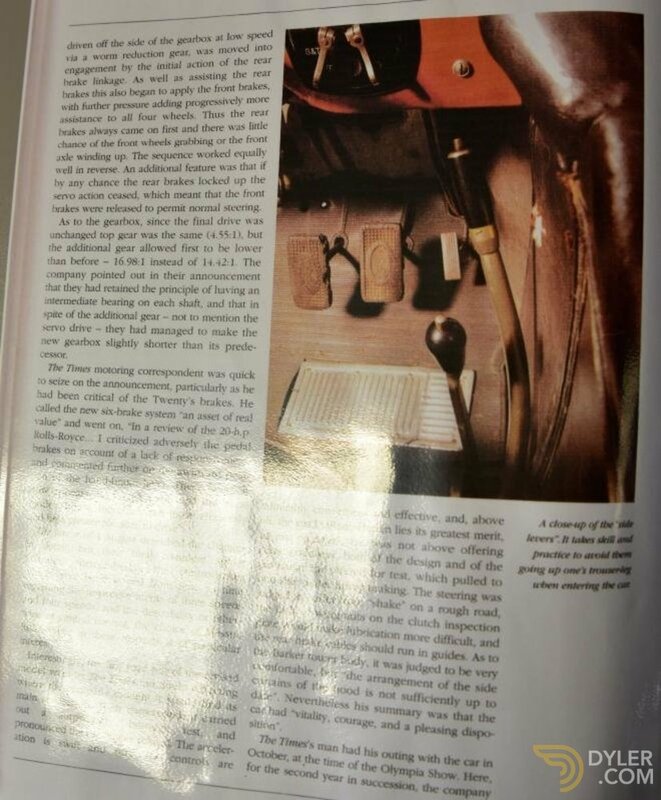 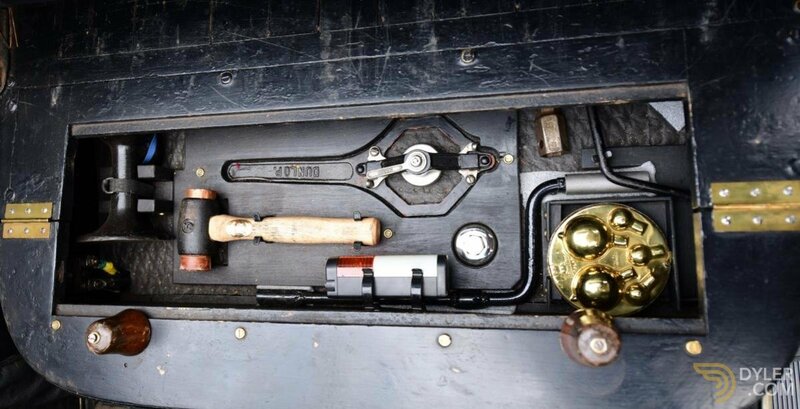 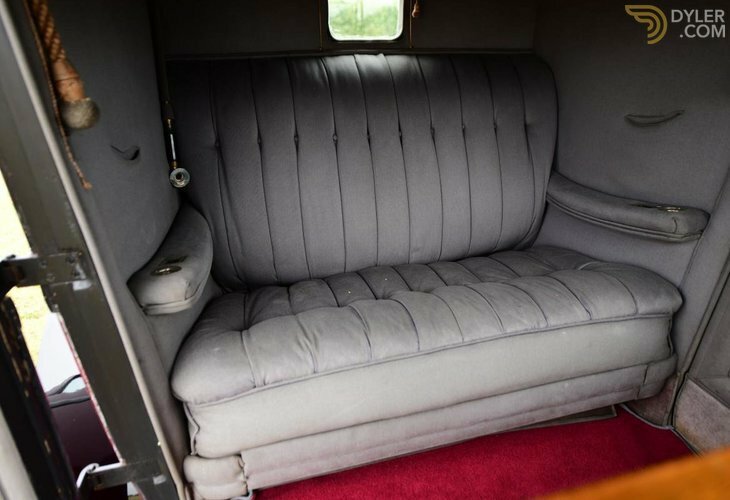 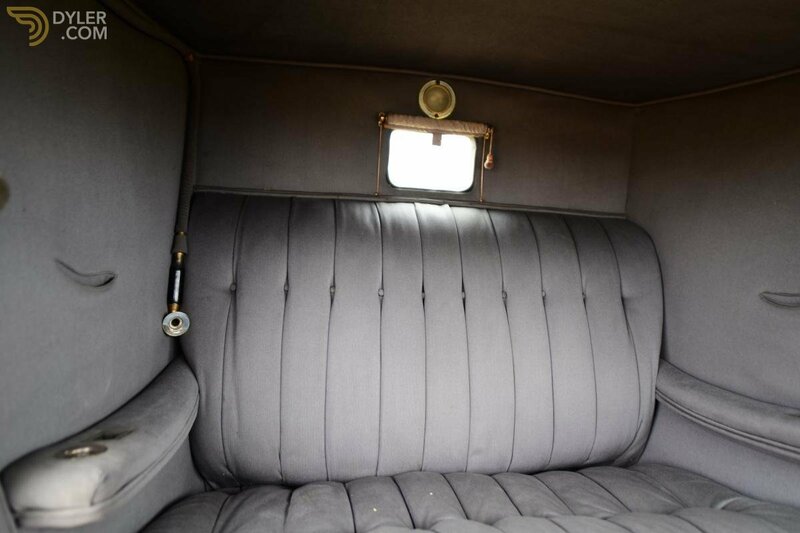 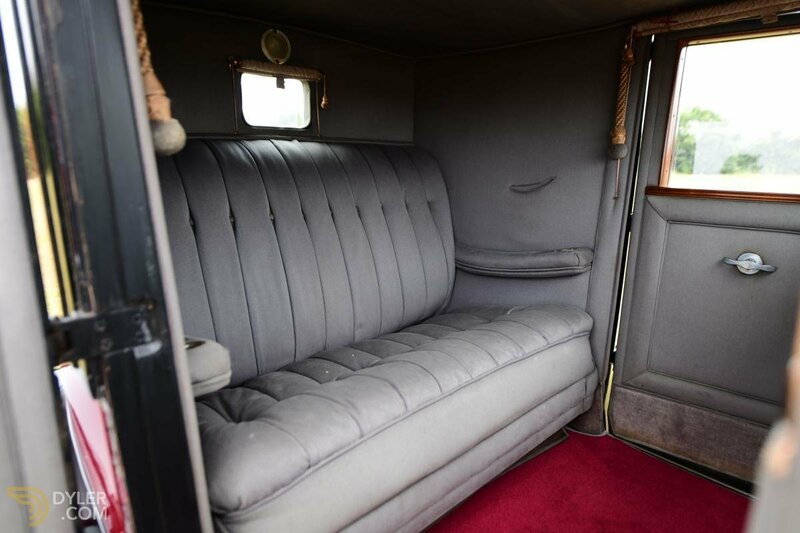 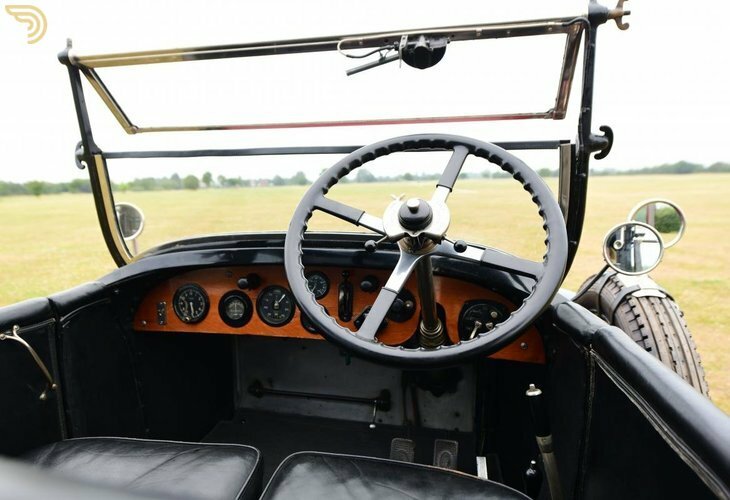 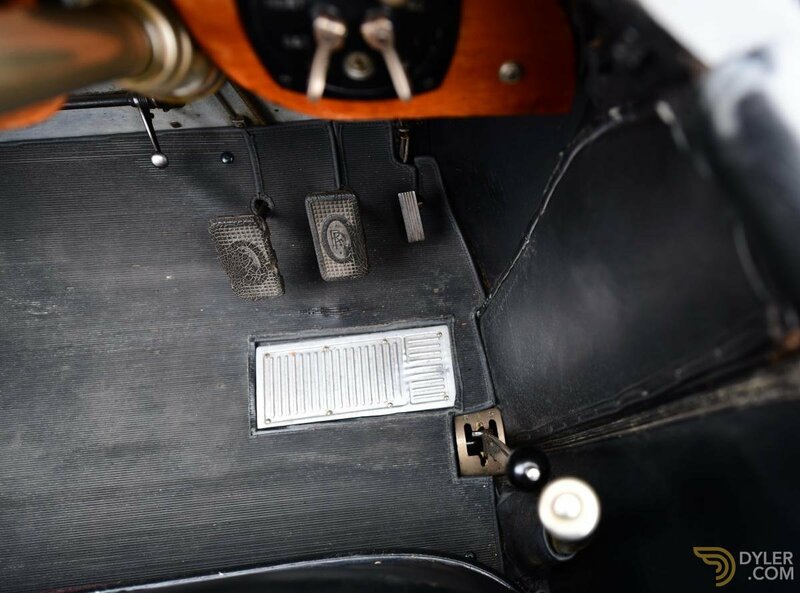 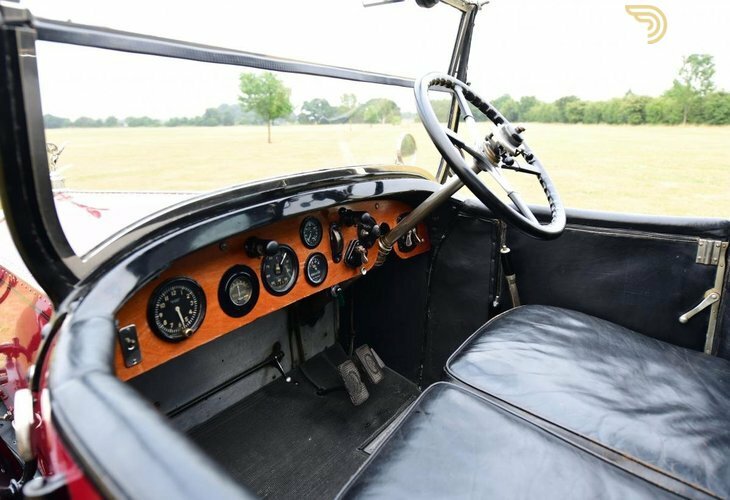 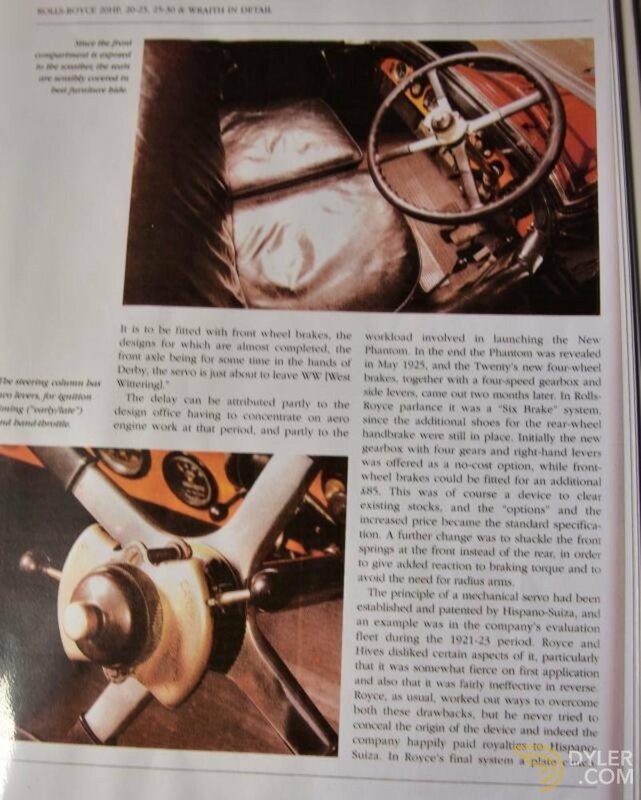 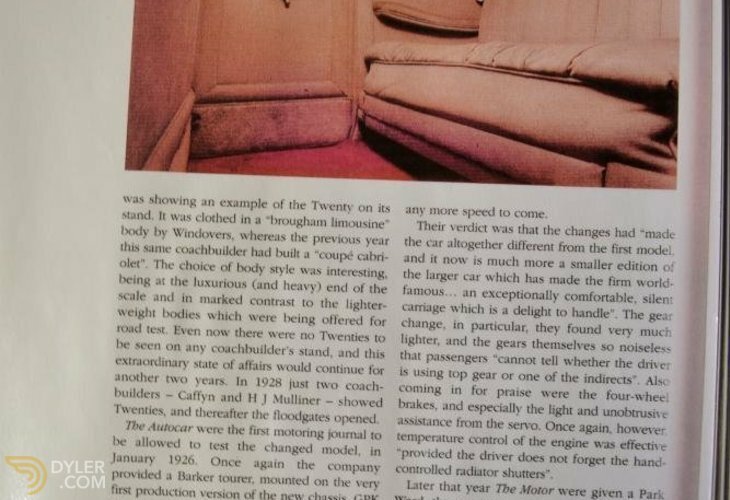 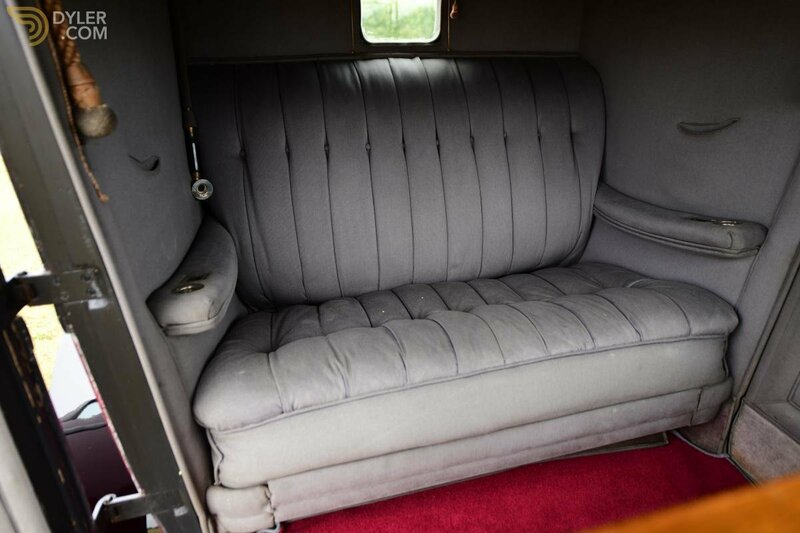 The interior of the car again is original & has stood the test of time well. 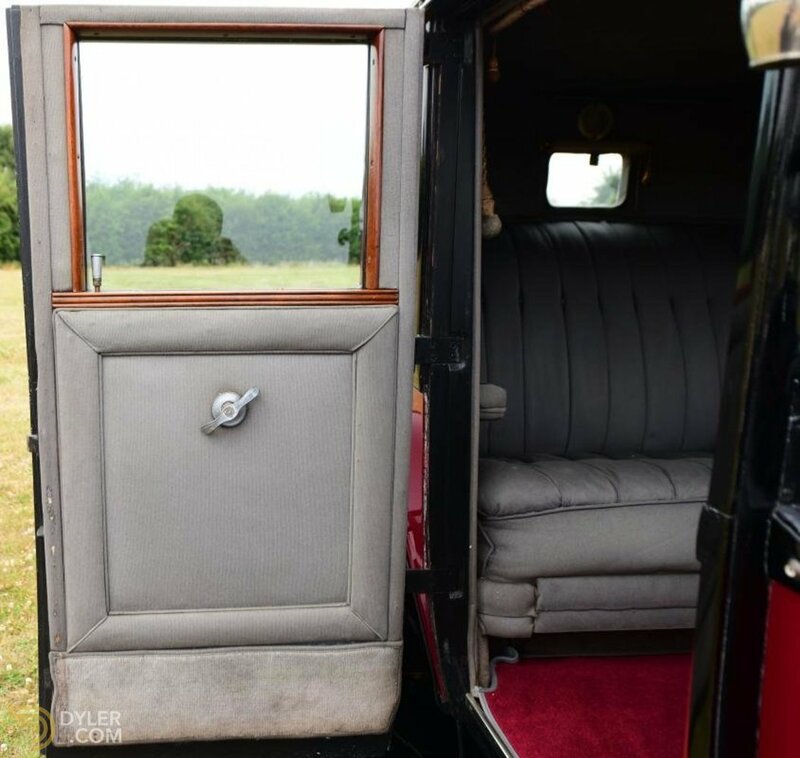 It abounds in a wealth of wonderful & unique period details: Filigree door handles, matching filigree window winders, original silk blinds, a filigree surrounded rear interior light, likewise for a splendid 8 day movement clock, speaking tube....the list goes on. 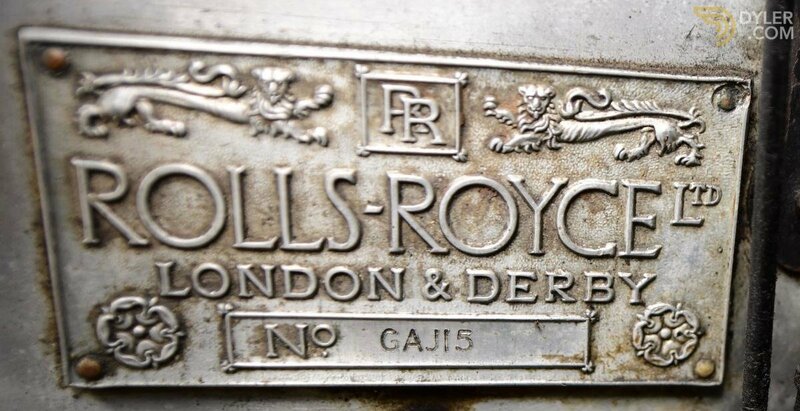 The filigree may possibly be attributed to Faberge. 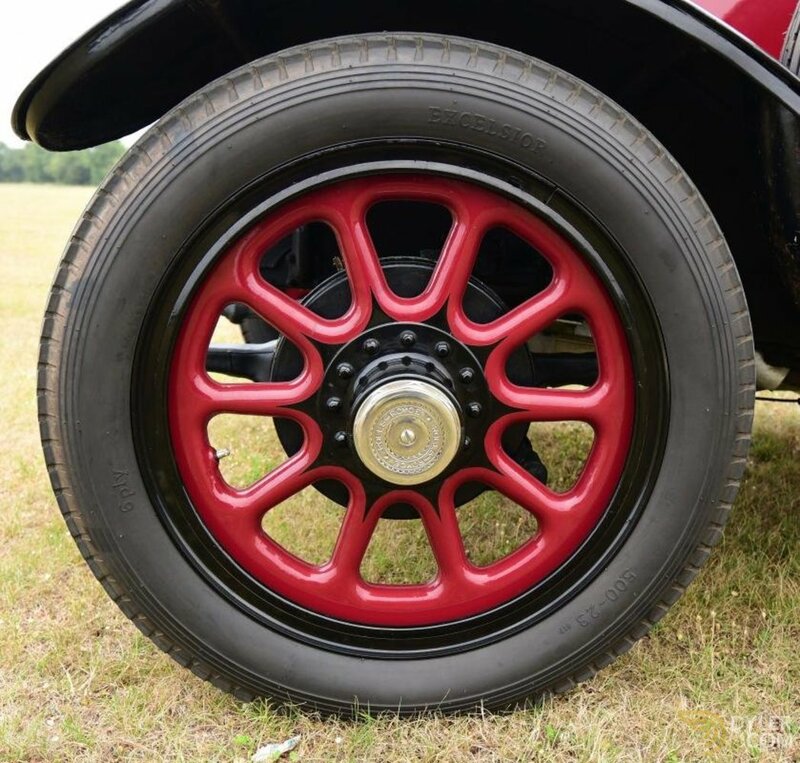 The car sits on its original steel Dunlop artillery wheels. 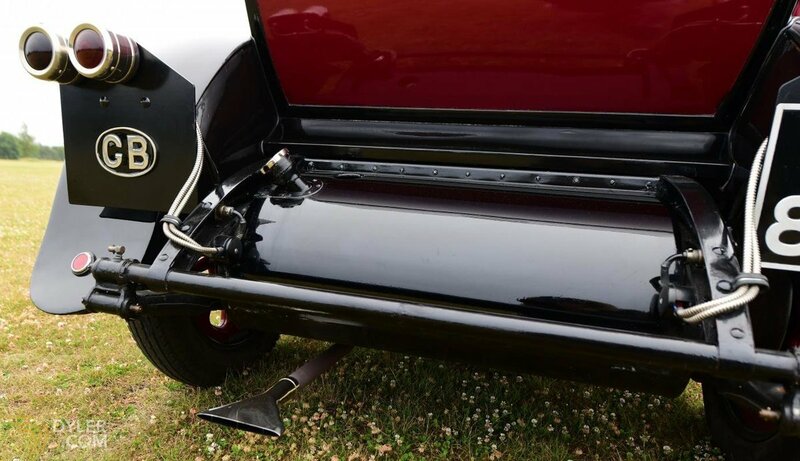 The twin side mounted spares are similar. 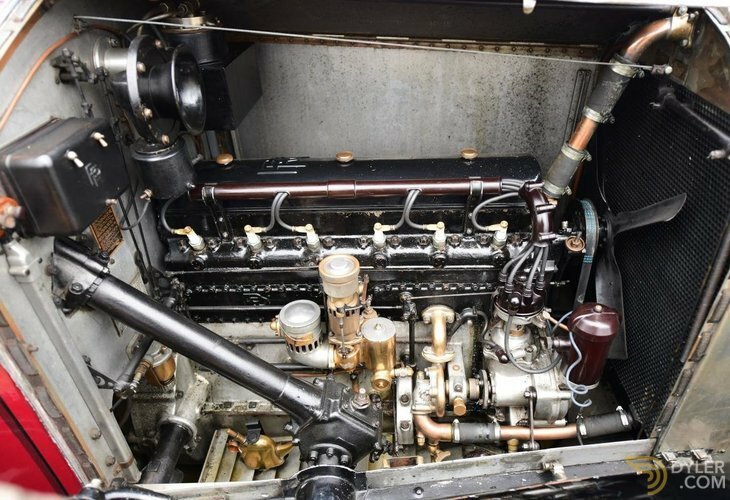 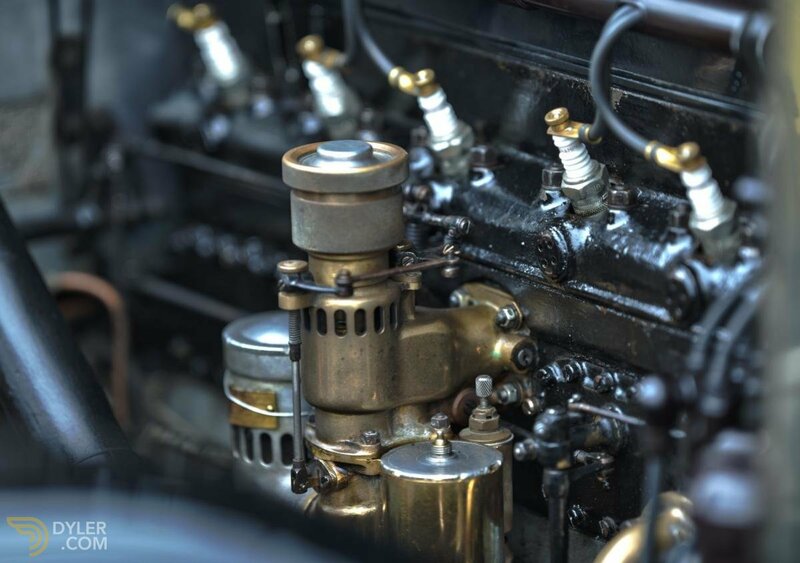 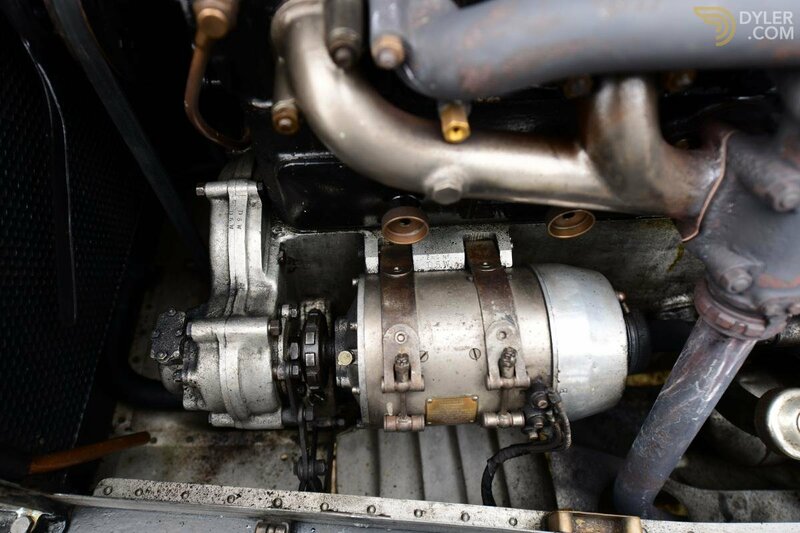 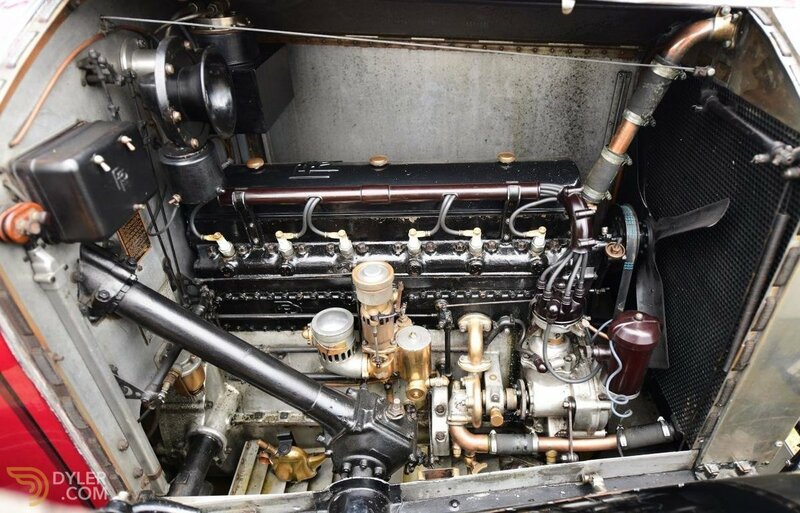 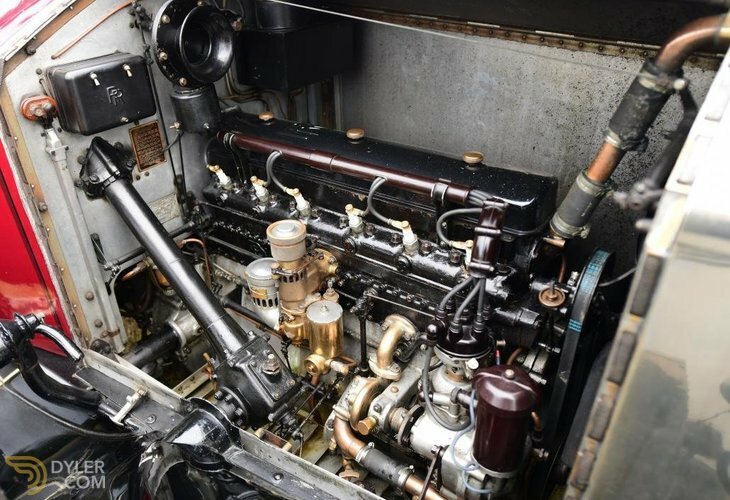 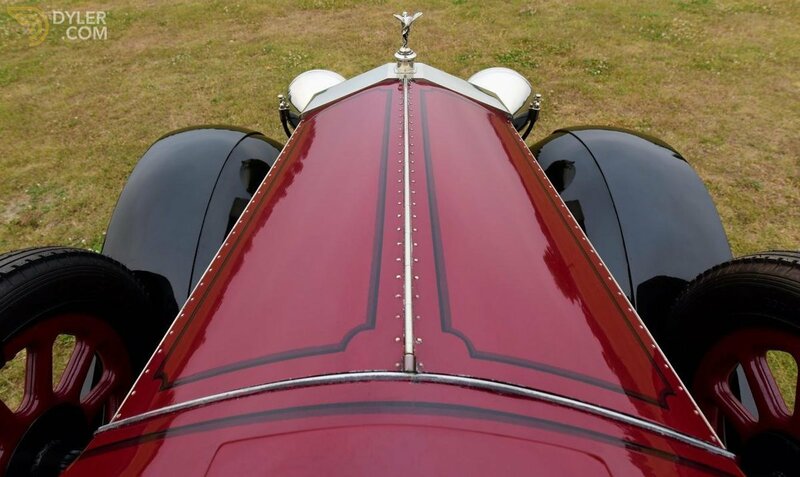 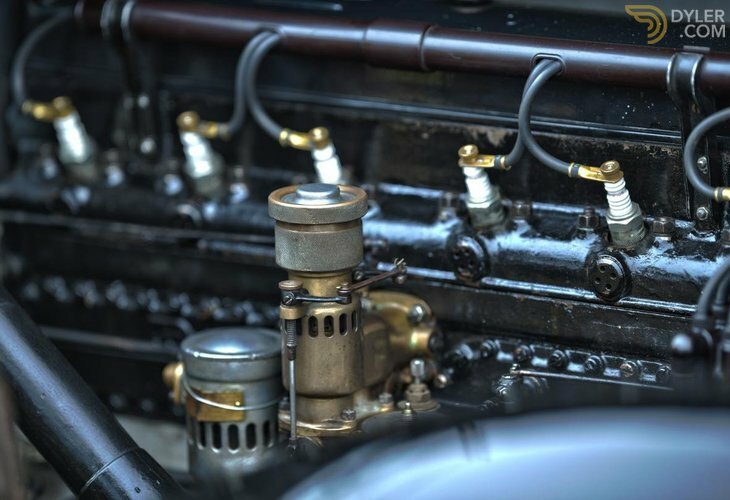 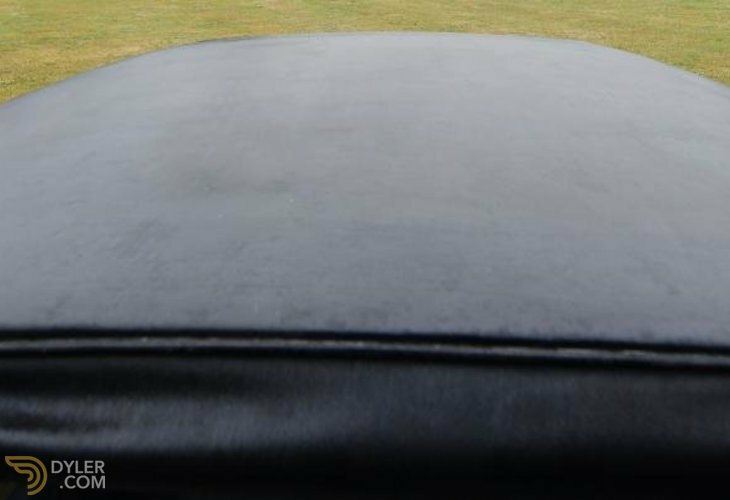 Under the bonnet the car has had a full engine rebuild by marque specialists & the car comes with a photographic record of this work. 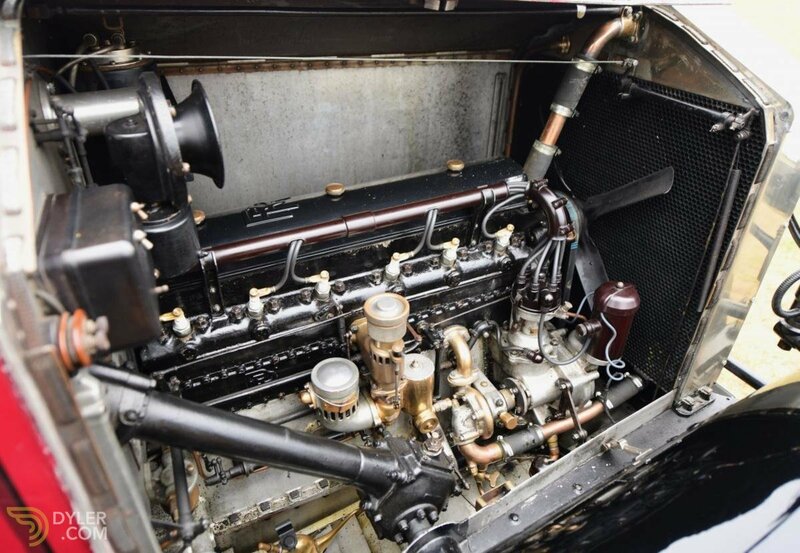 Thus she starts & runs beautifully. 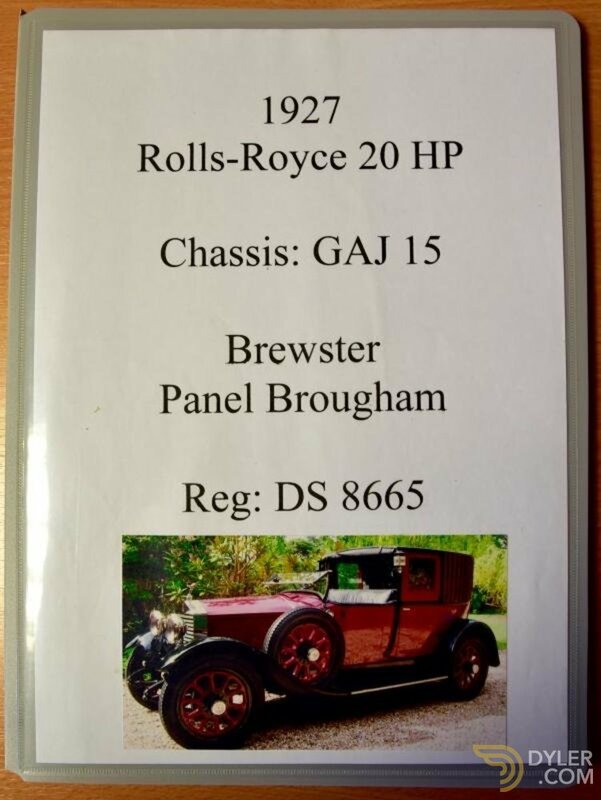 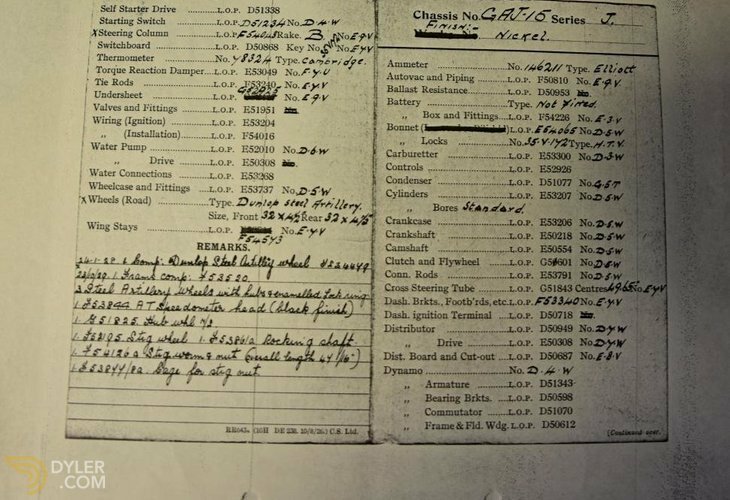 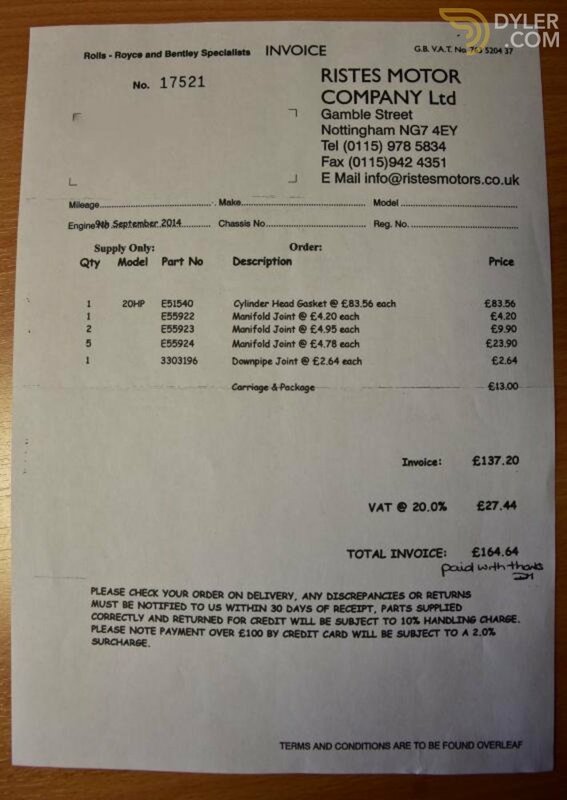 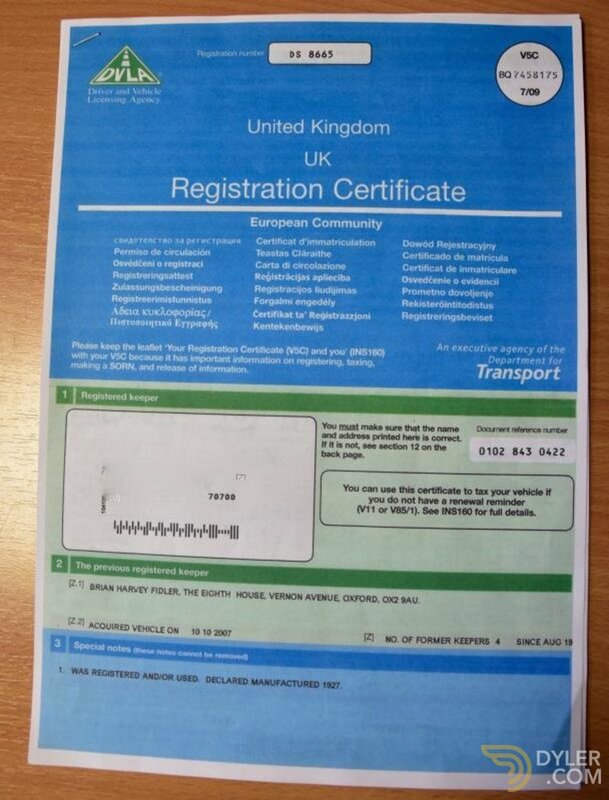 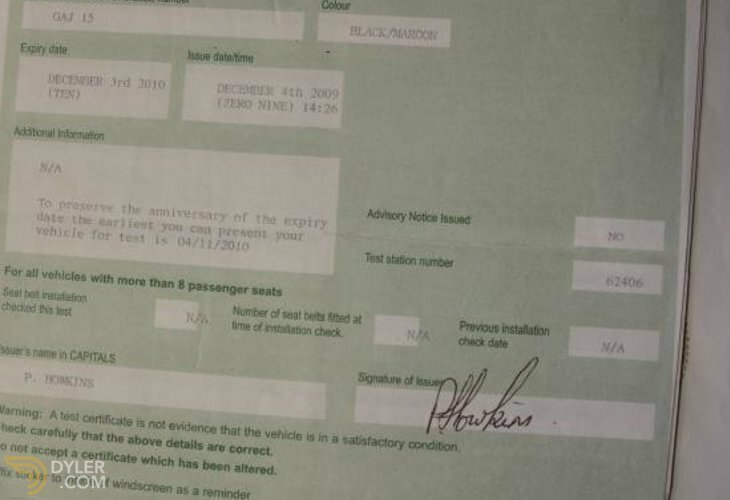 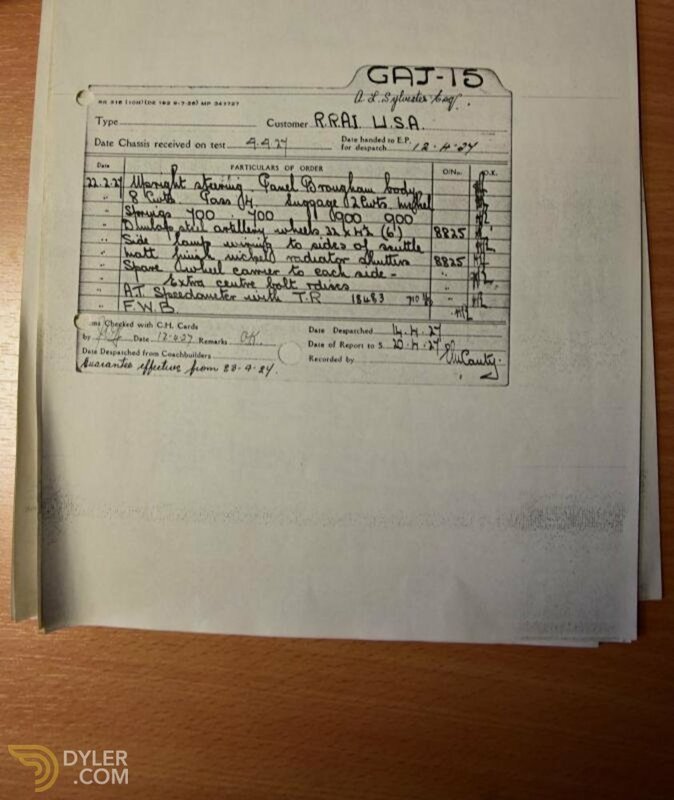 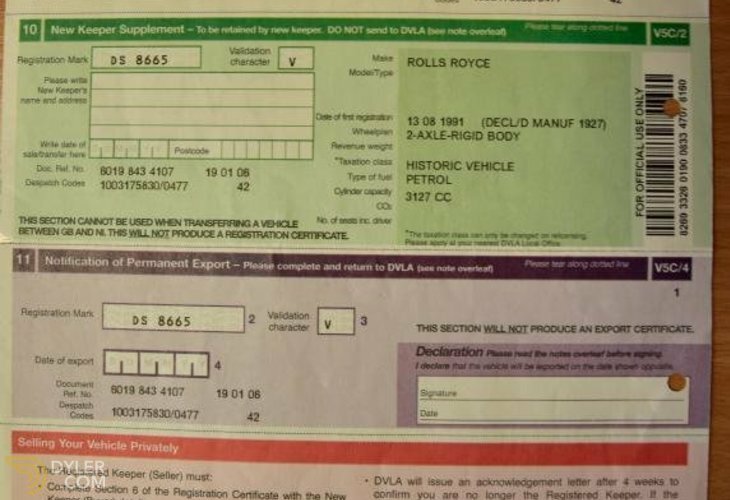 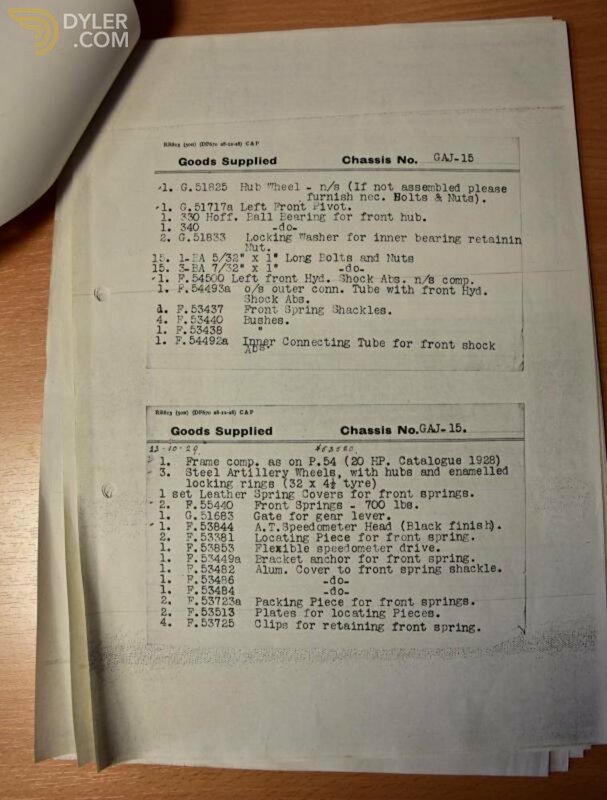 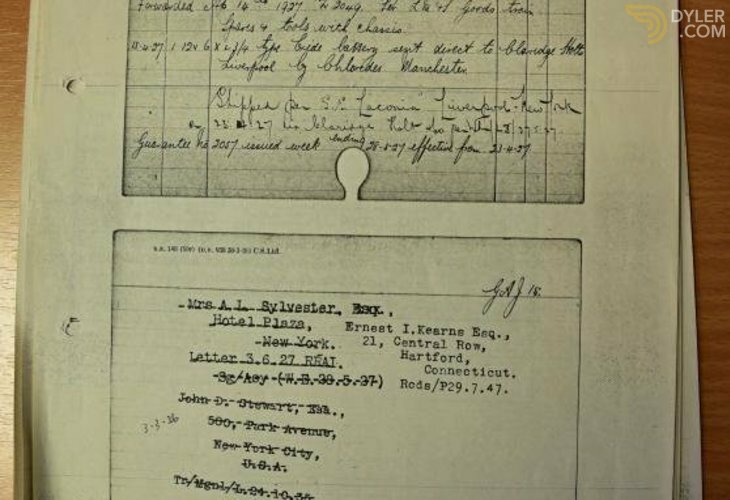 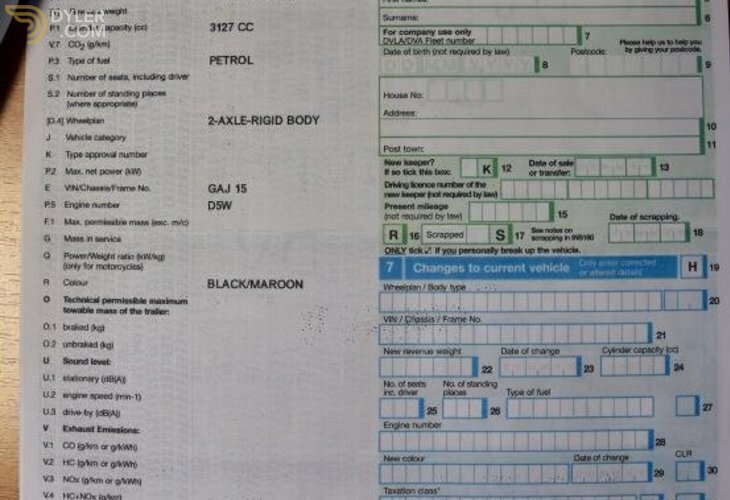 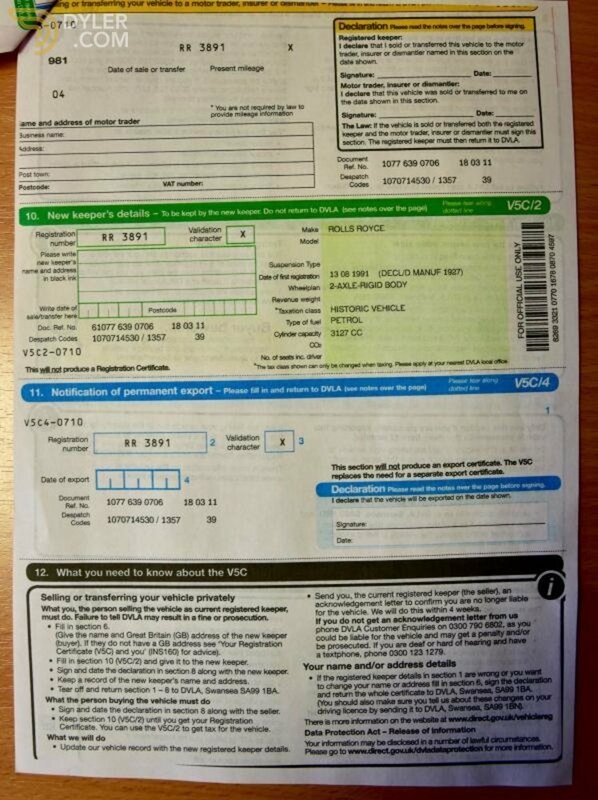 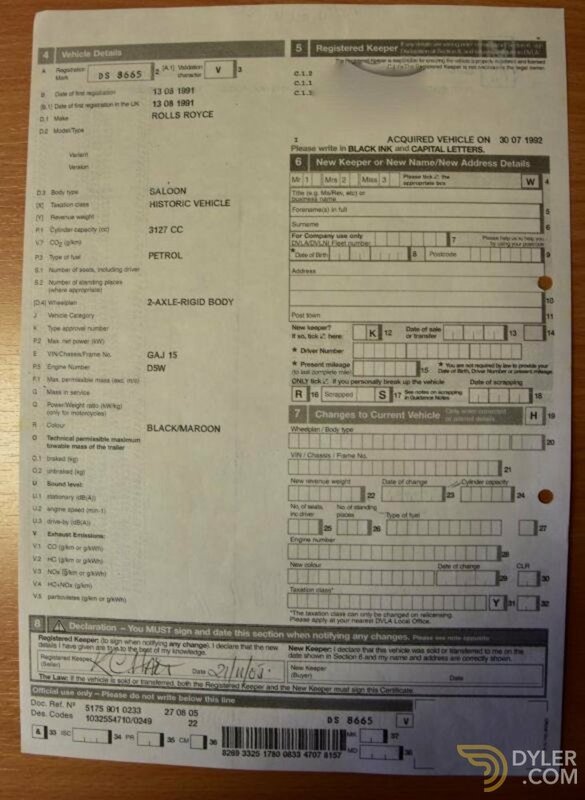 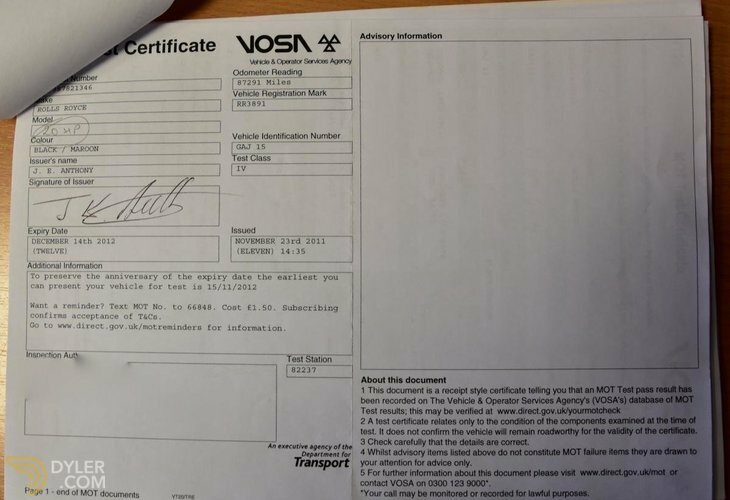 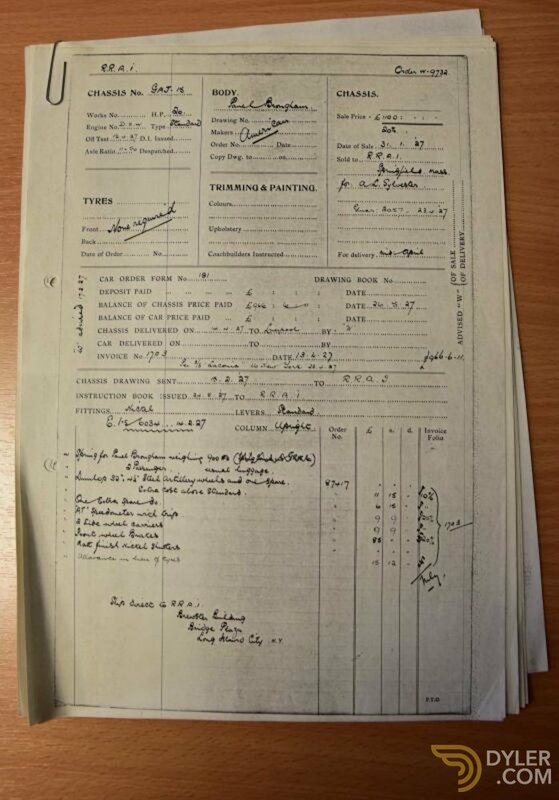 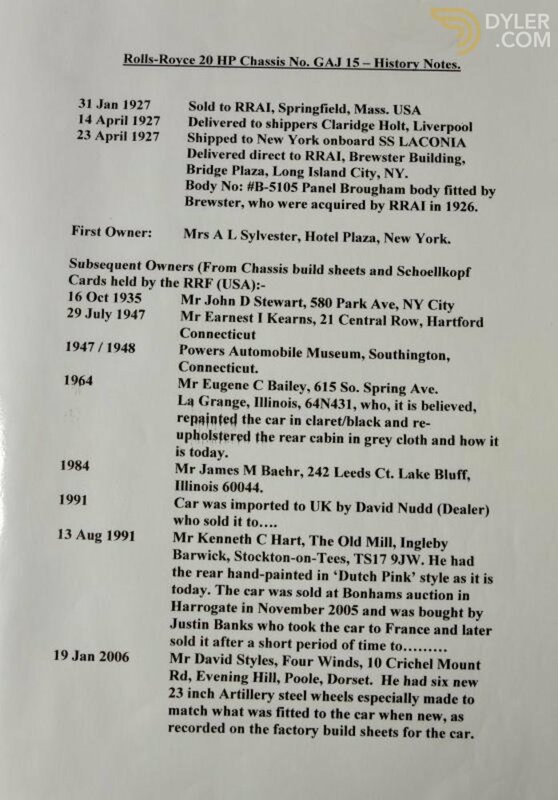 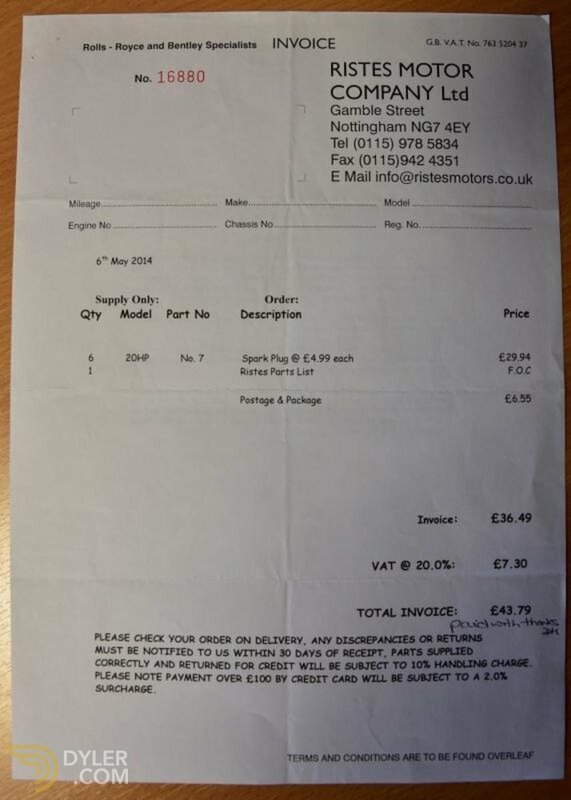 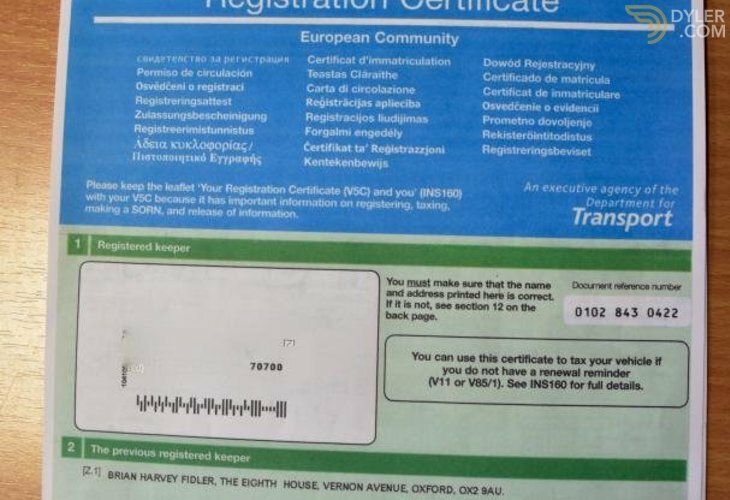 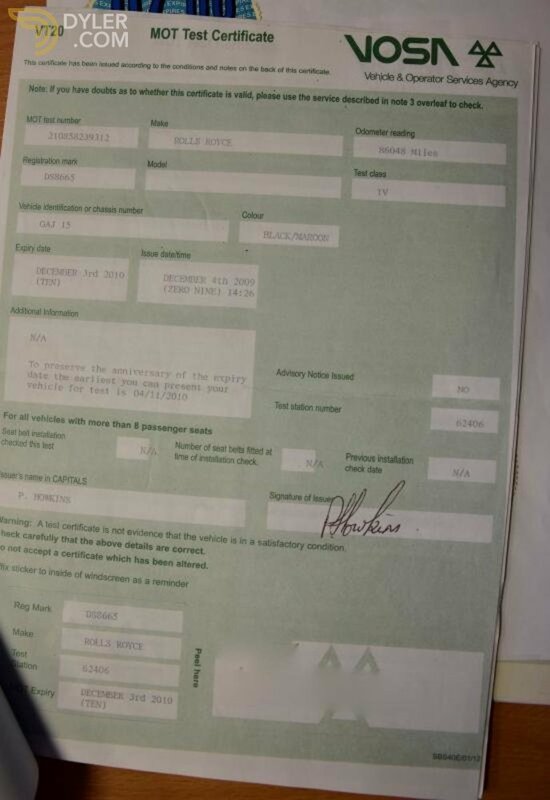 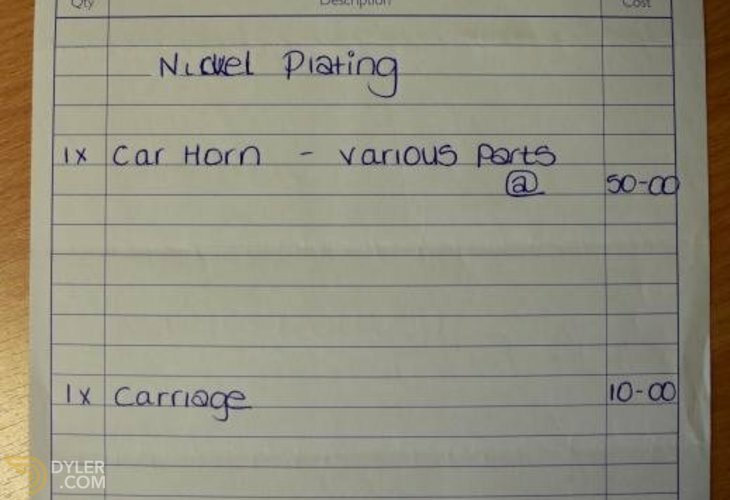 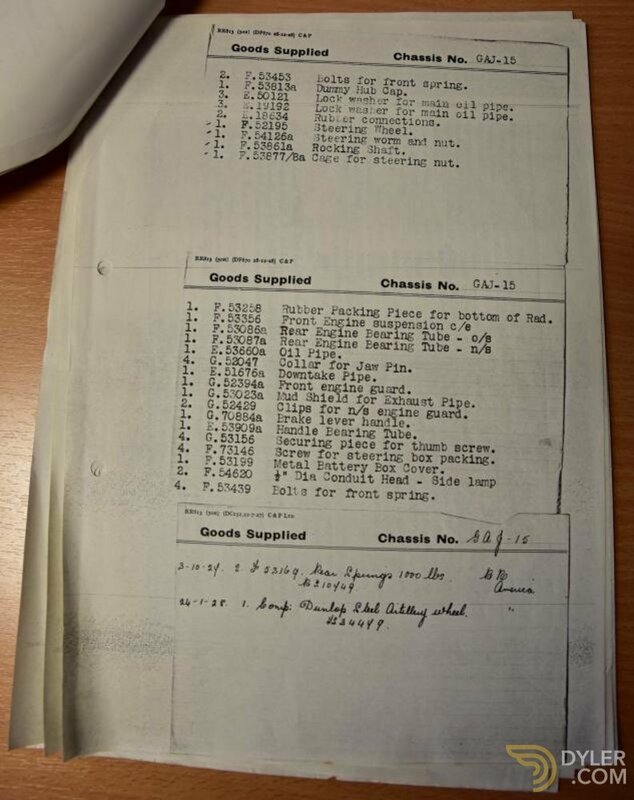 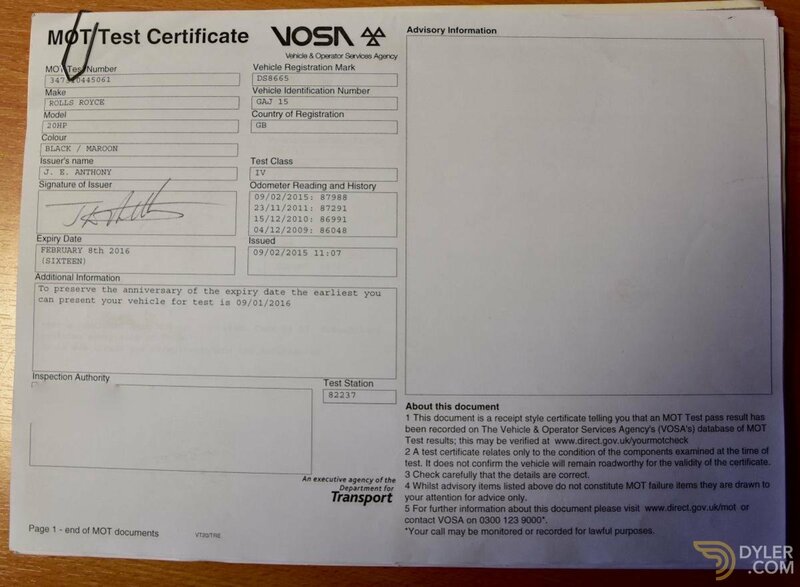 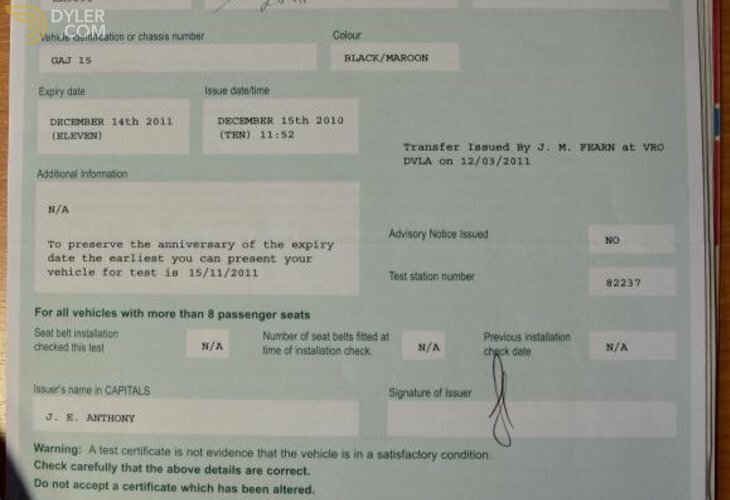 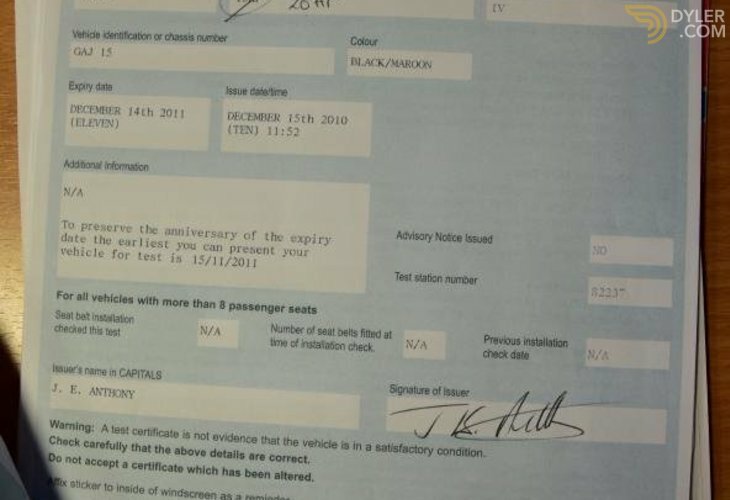 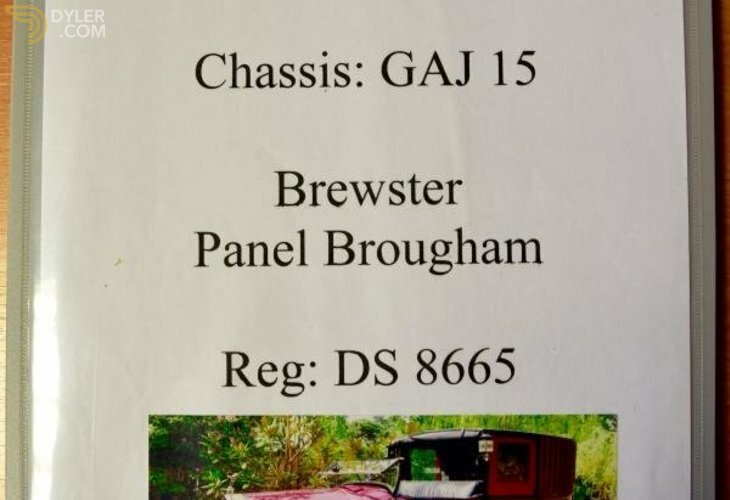 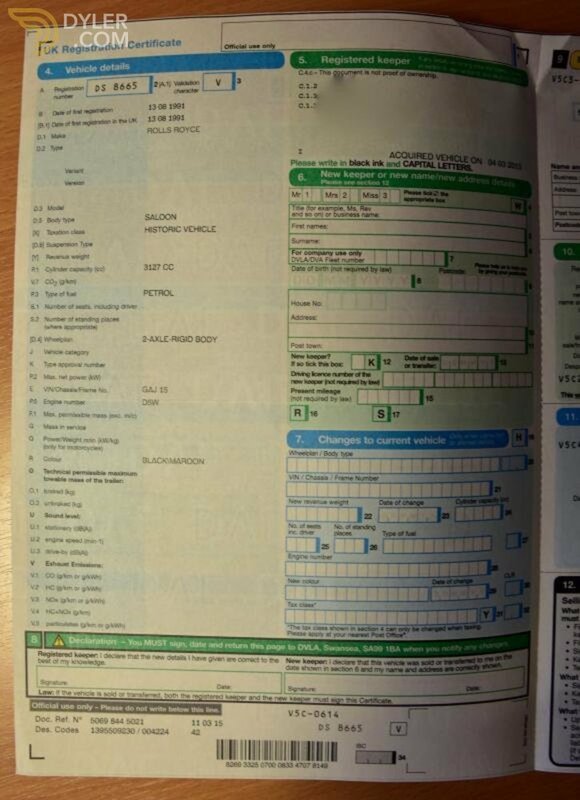 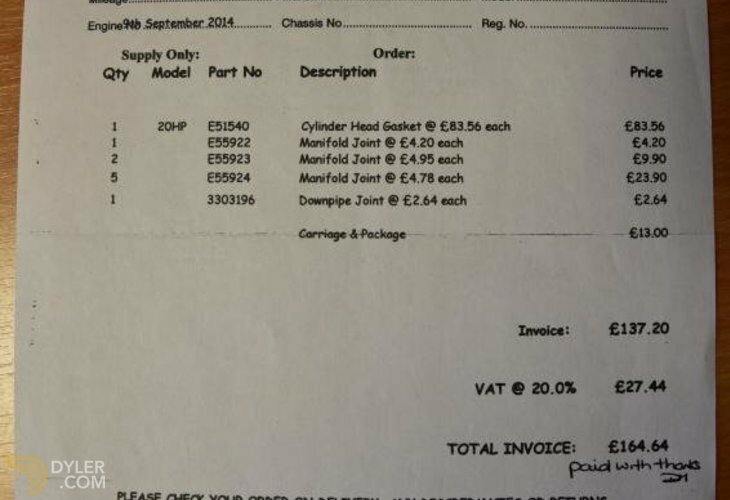 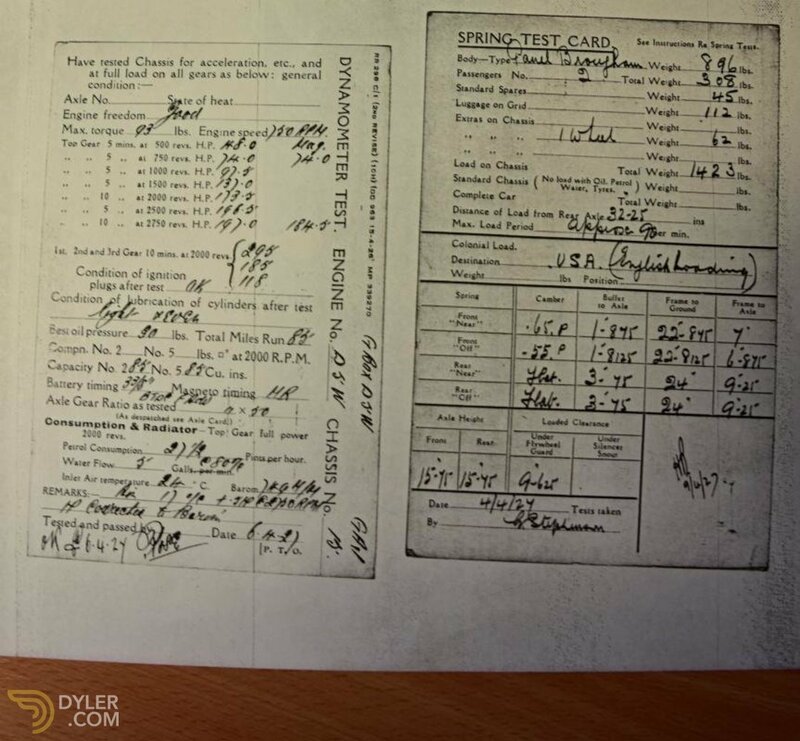 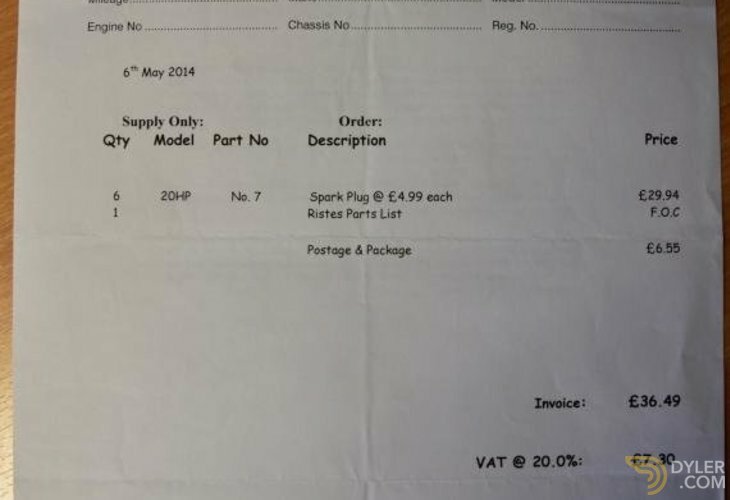 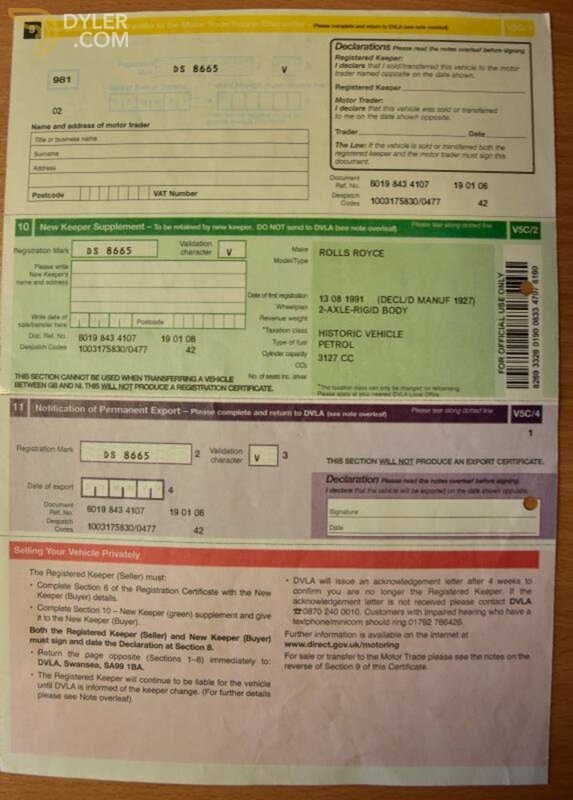 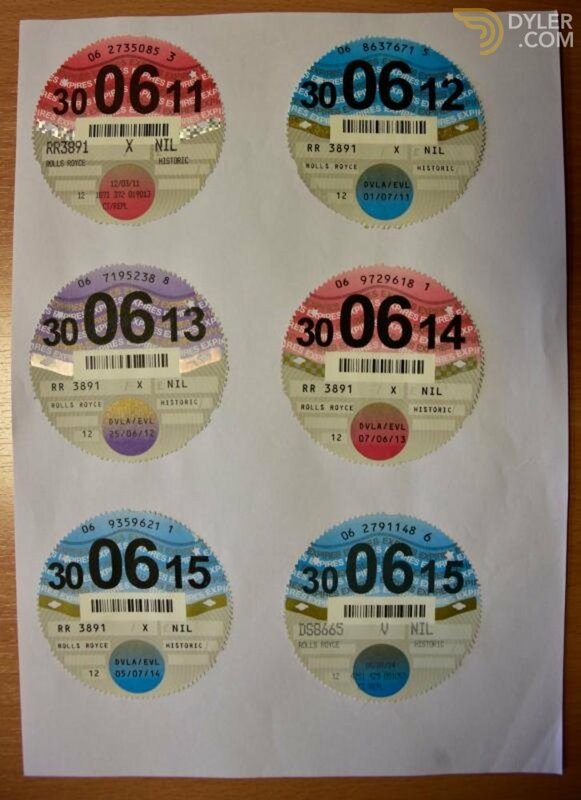 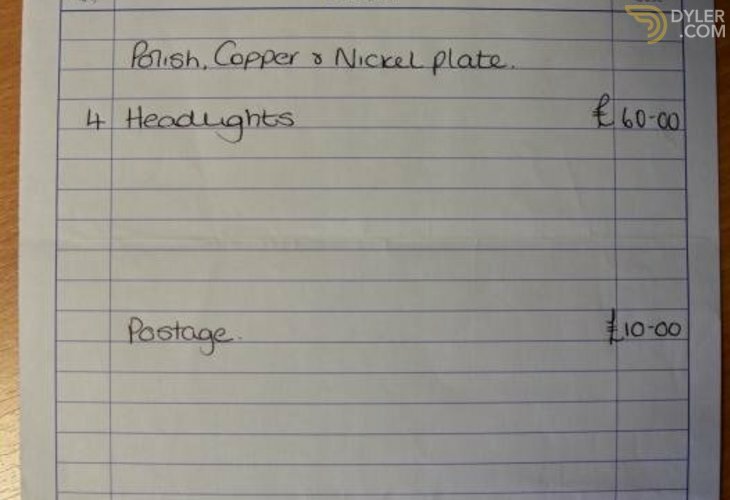 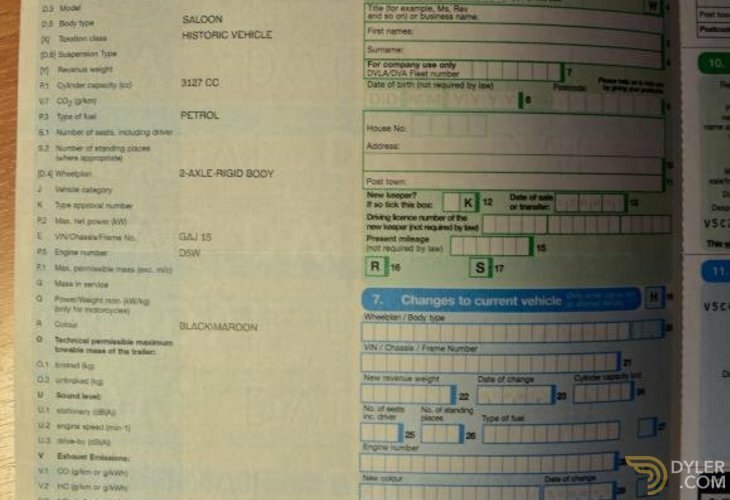 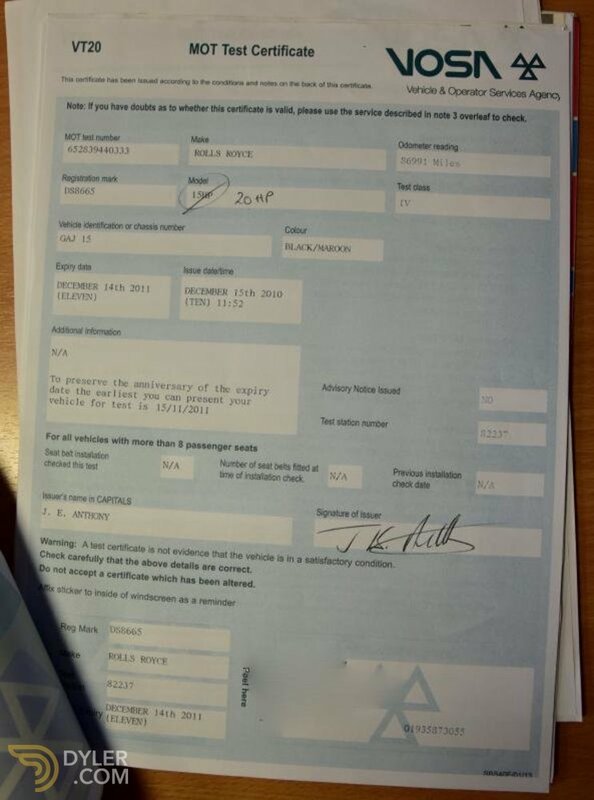 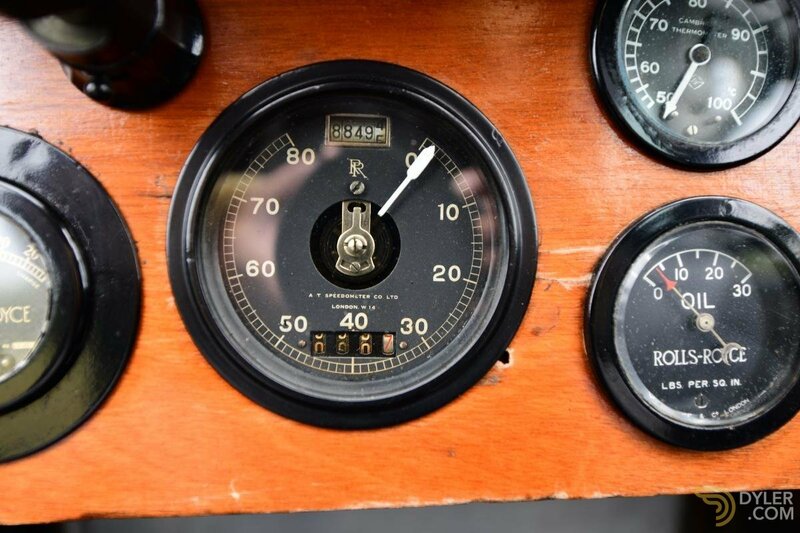 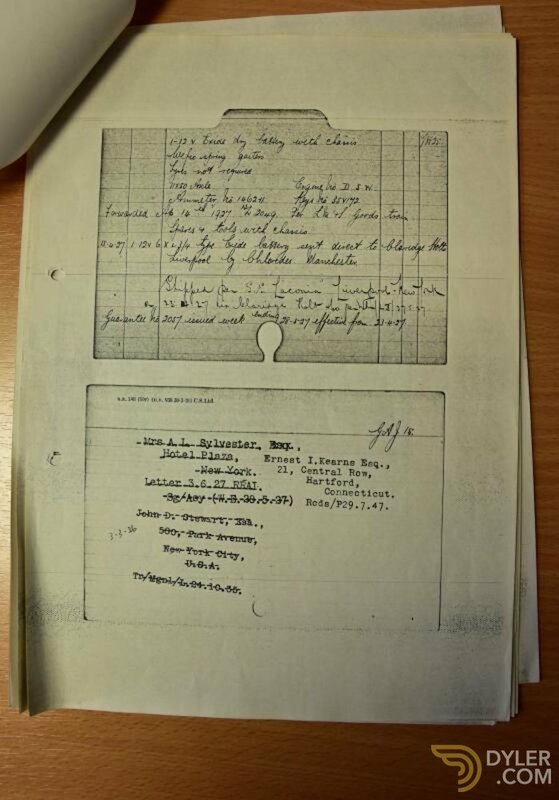 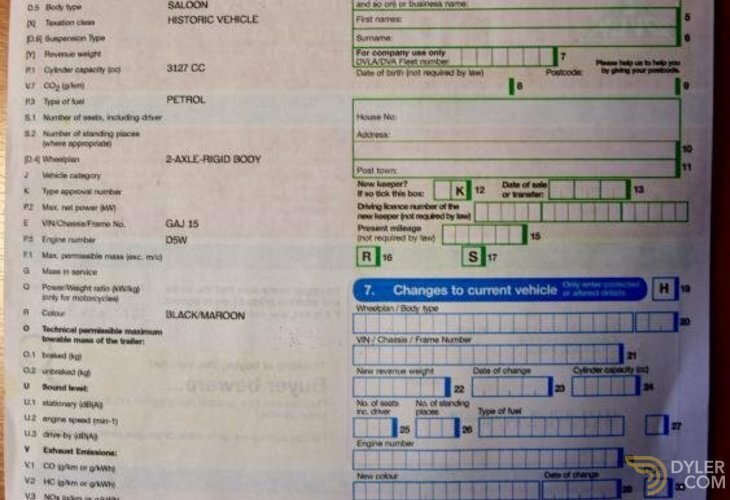 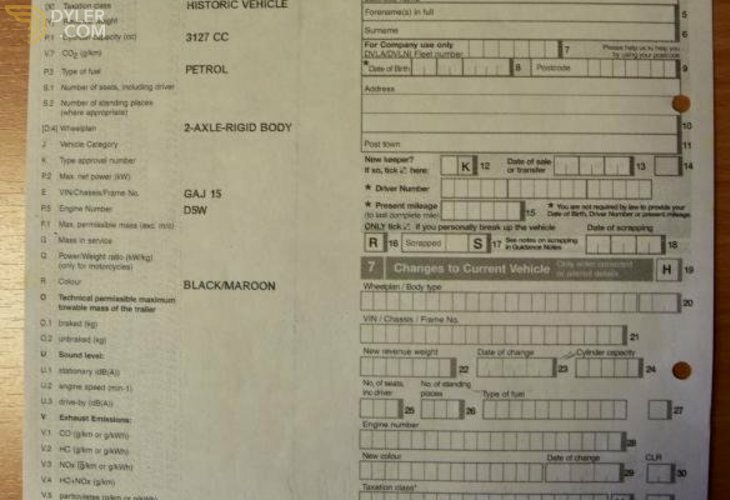 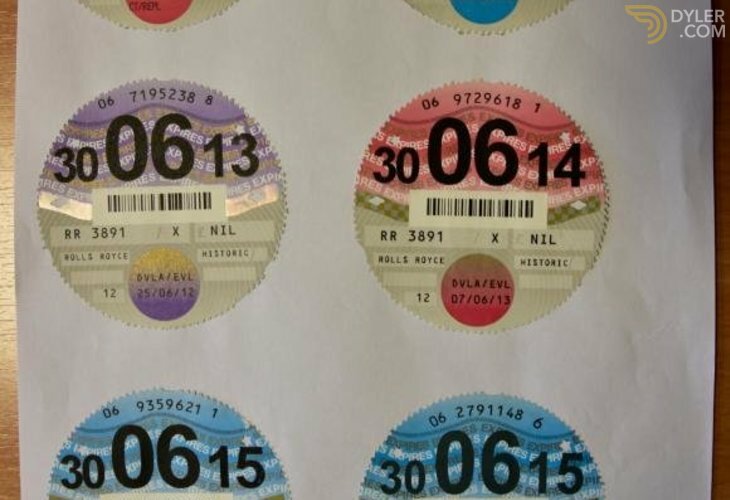 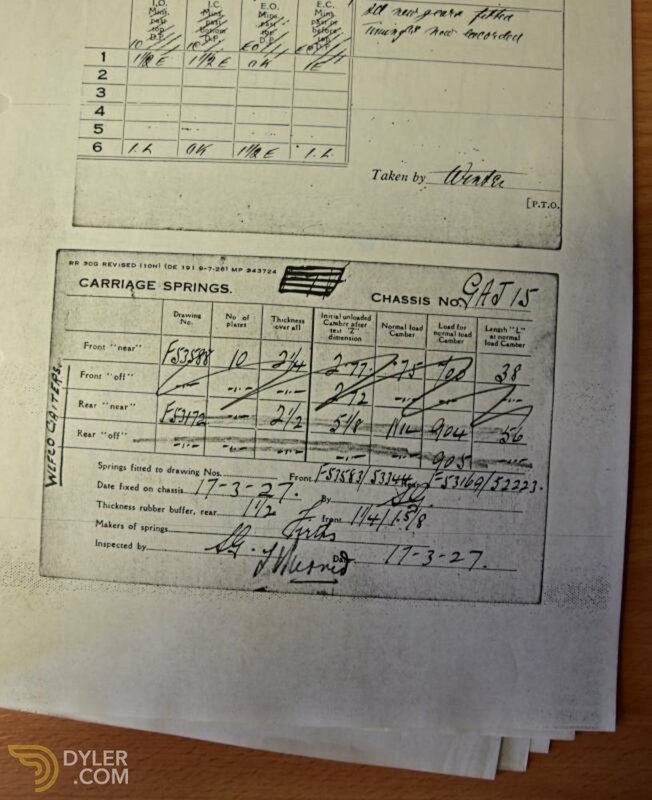 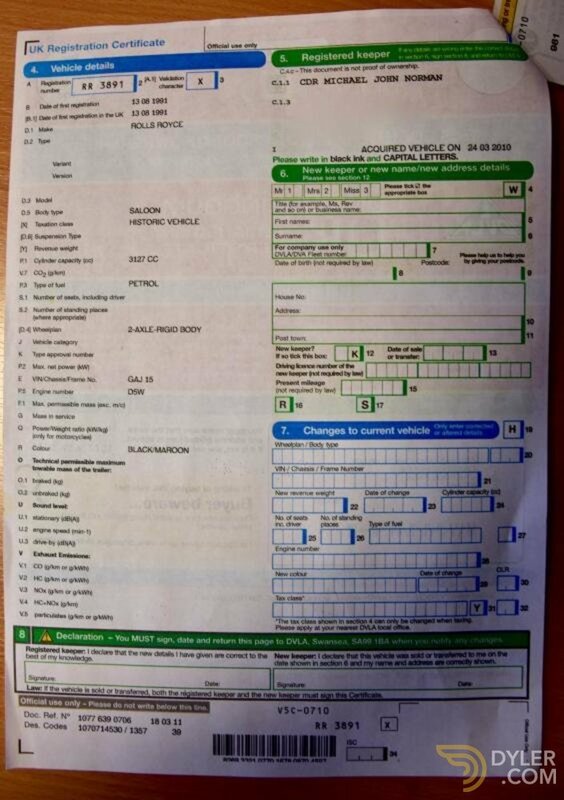 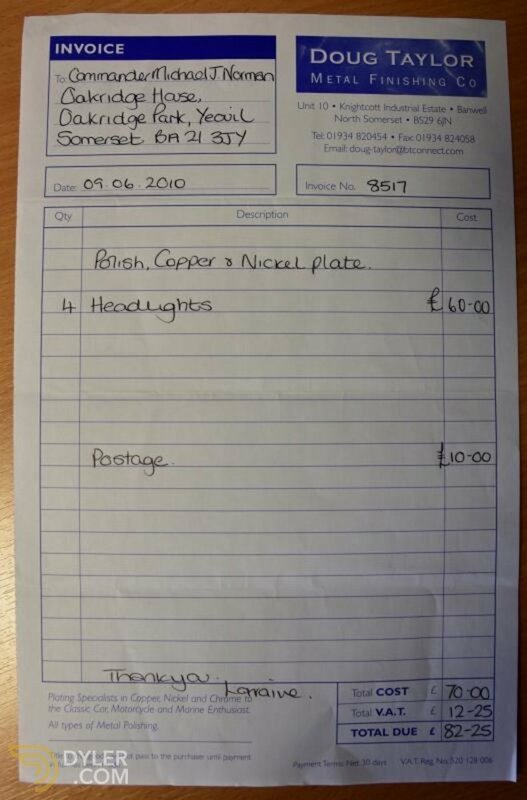 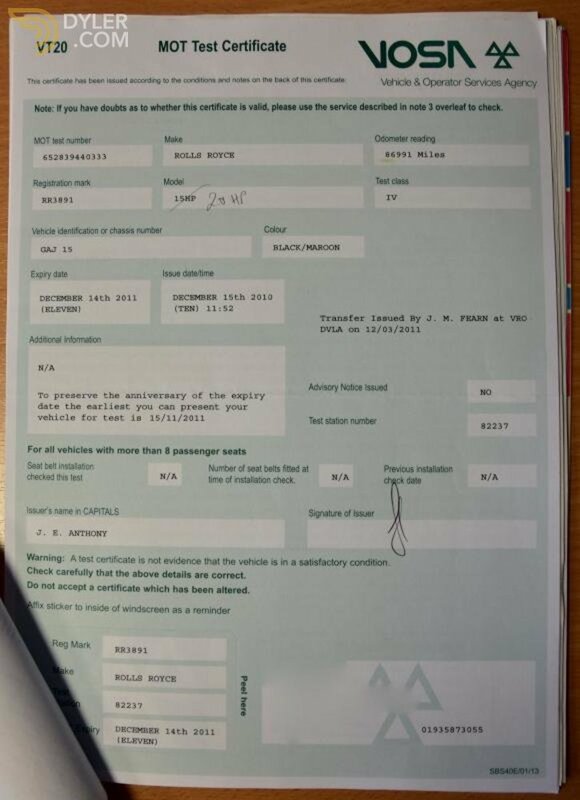 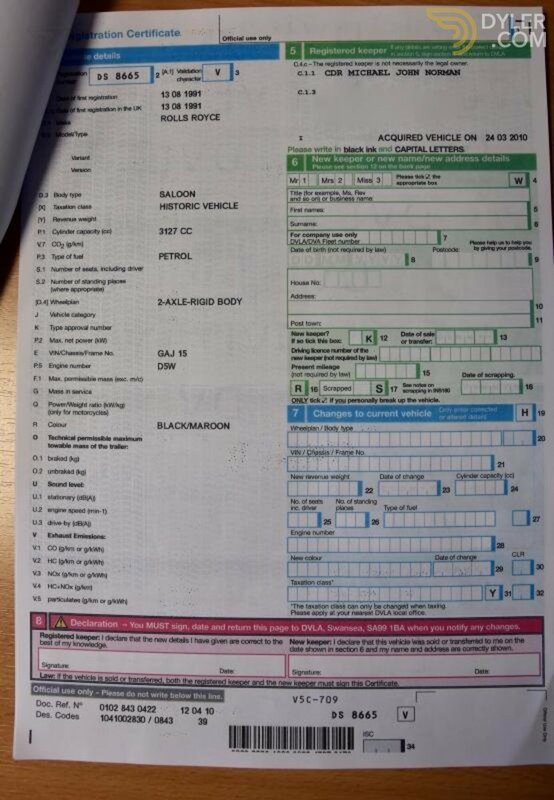 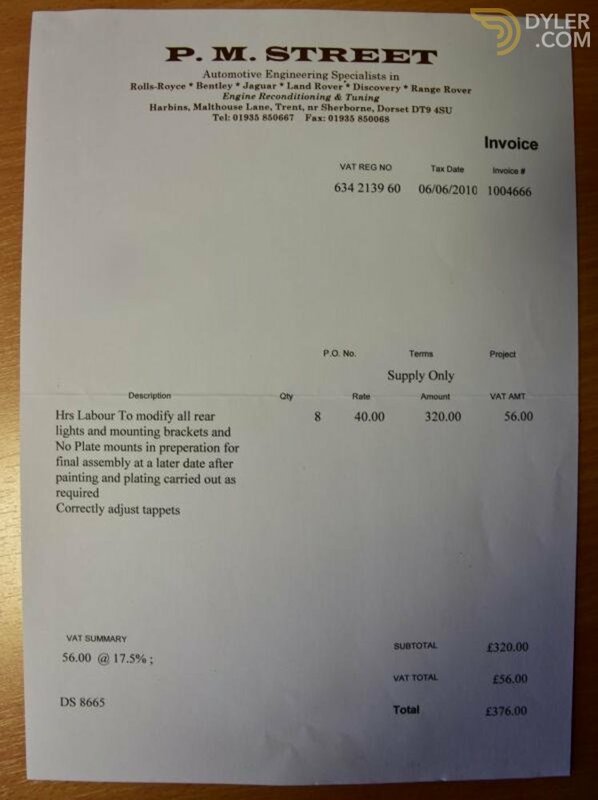 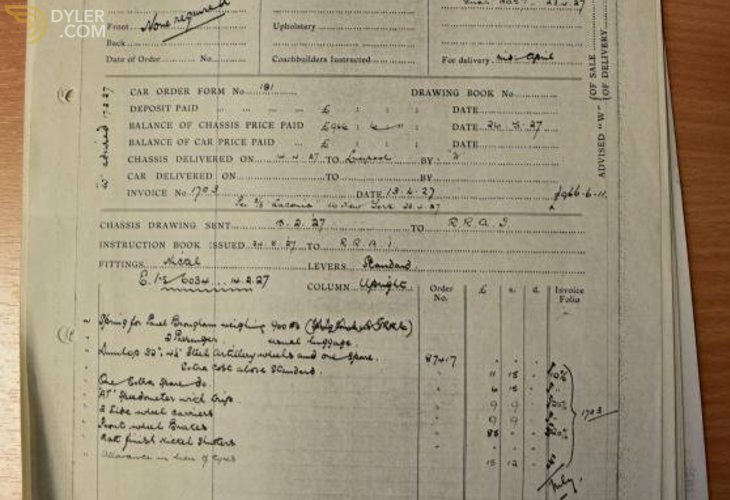 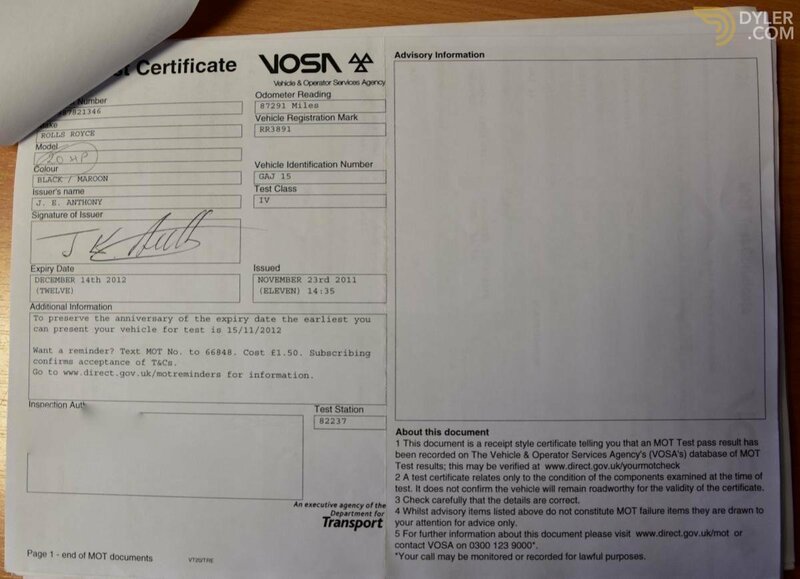 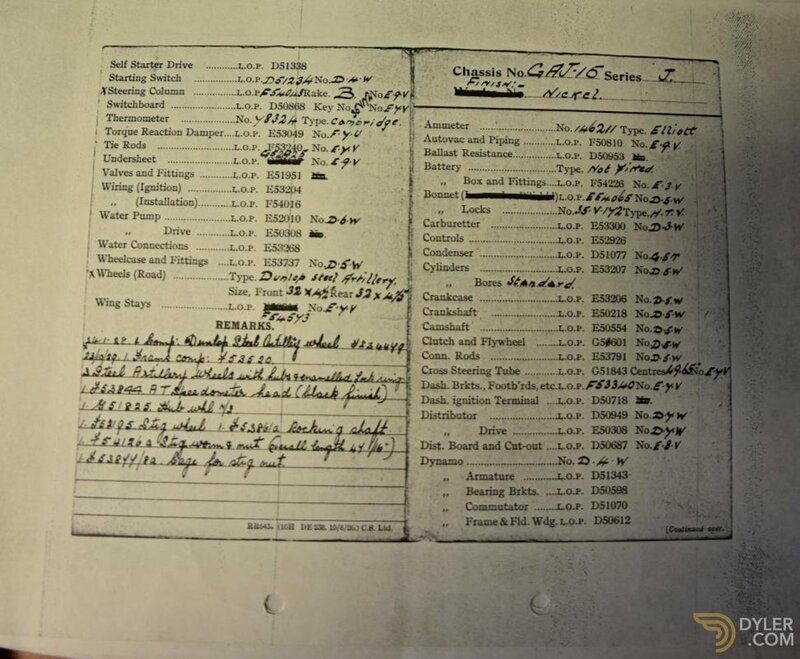 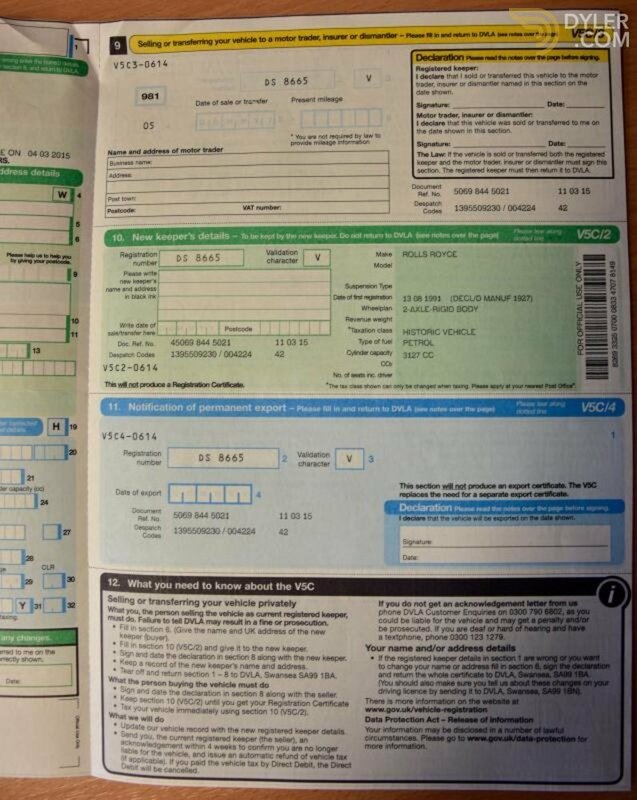 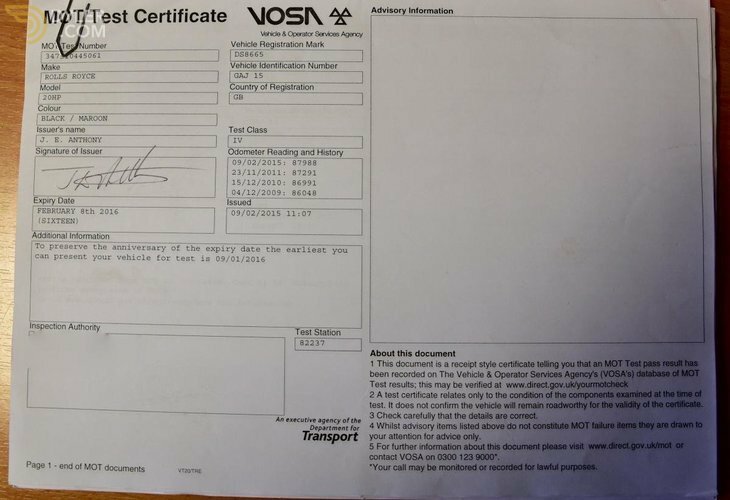 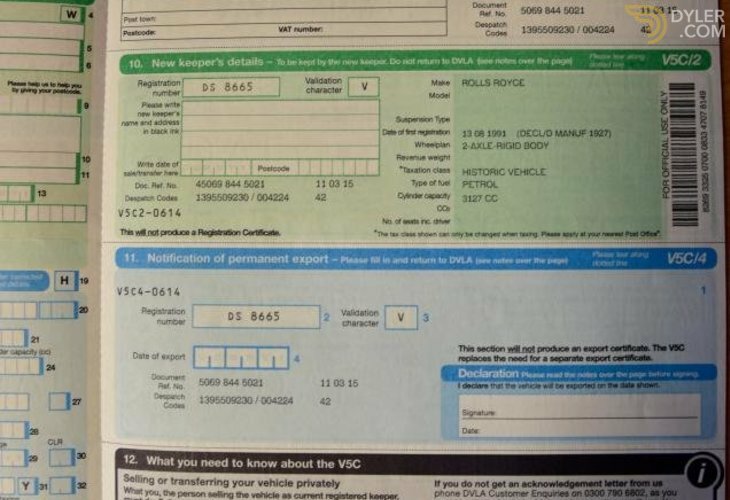 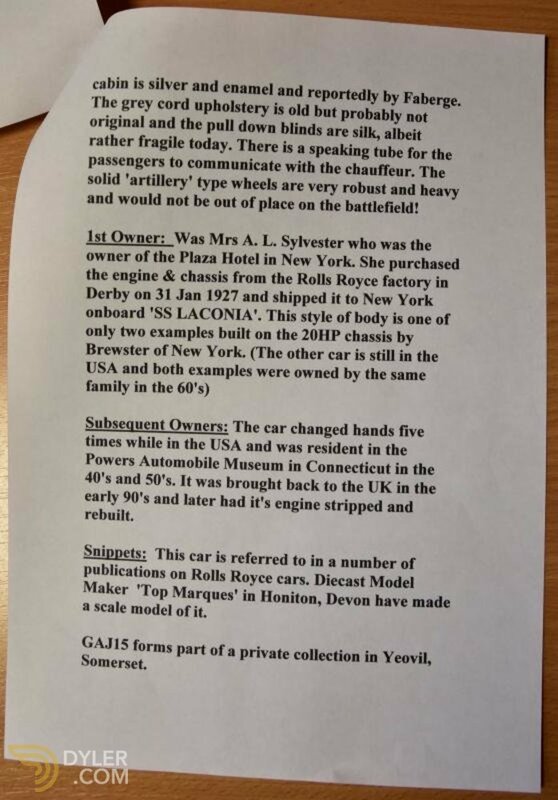 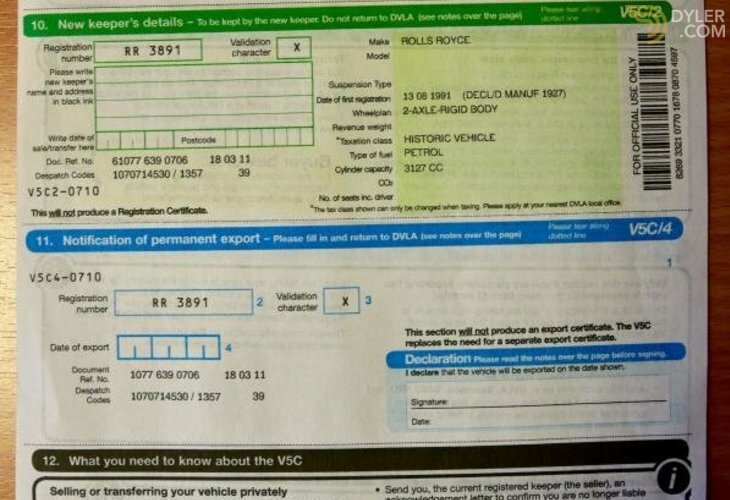 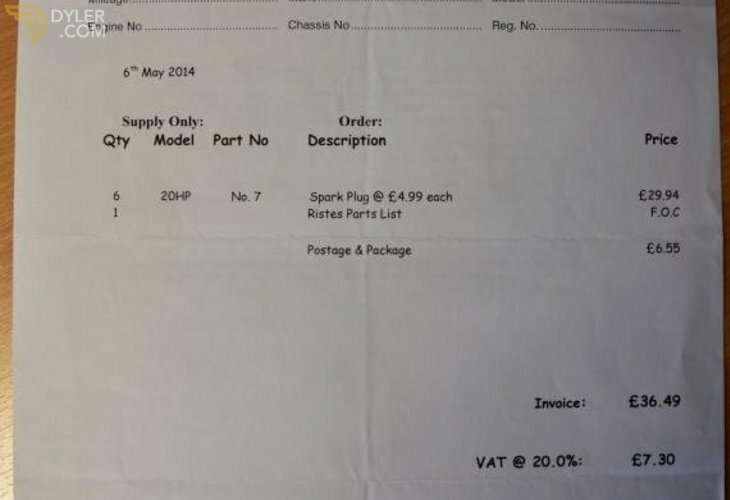 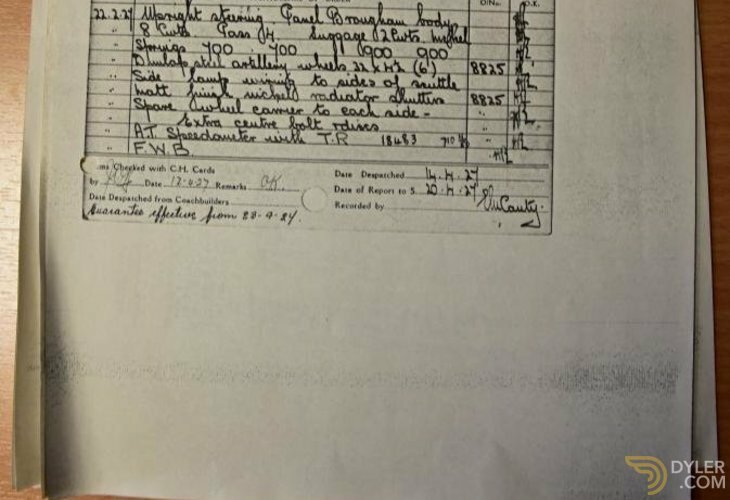 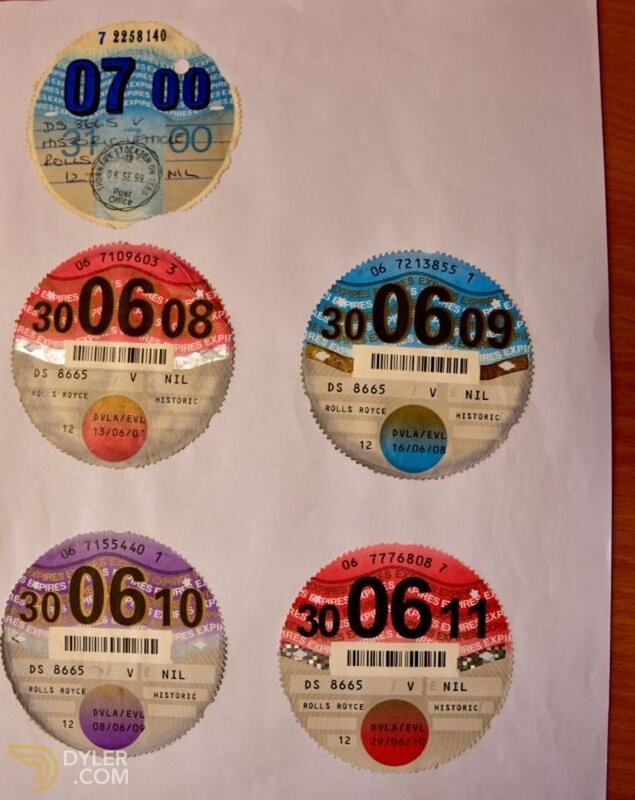 We are not able to warrant the indicated mileage of 86,000 but given the cars provenance it may well be correct. 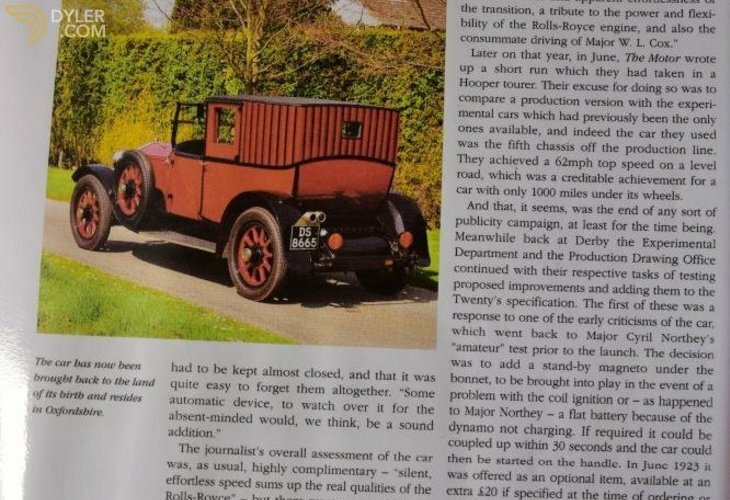 Certainly the car drives in a taut manner & the steering is sufficiently play free to add credence to this. 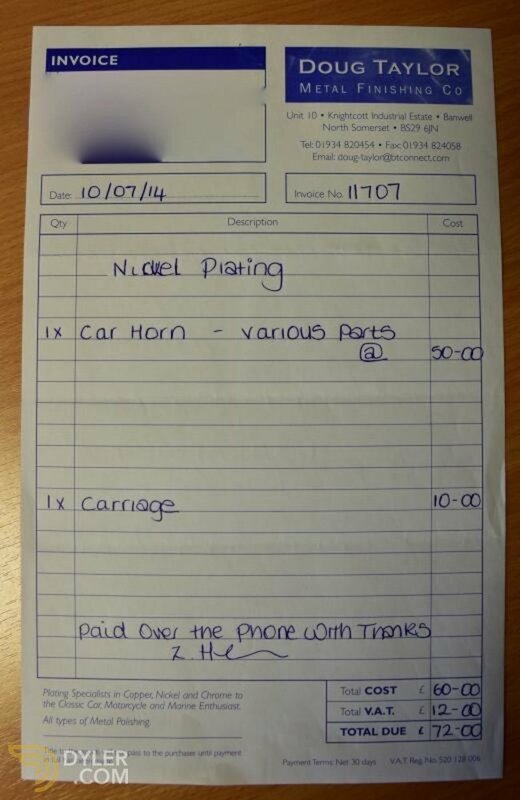 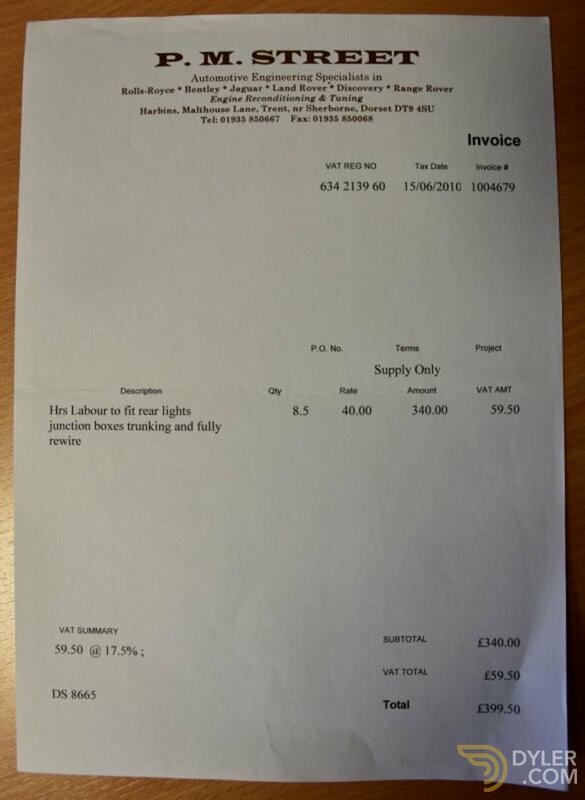 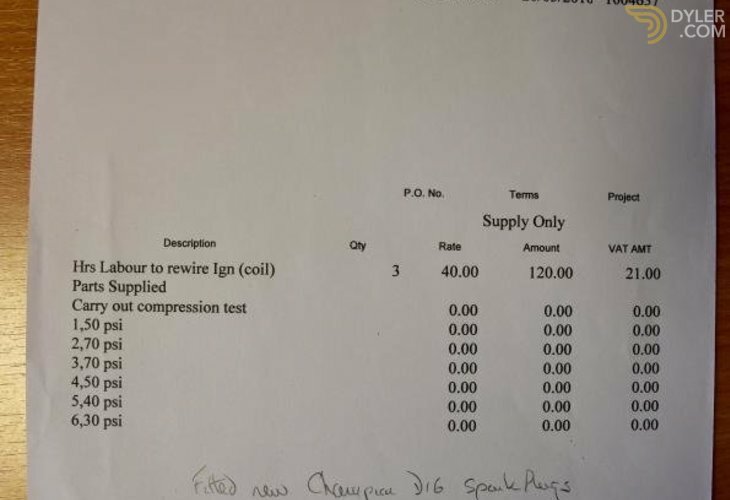 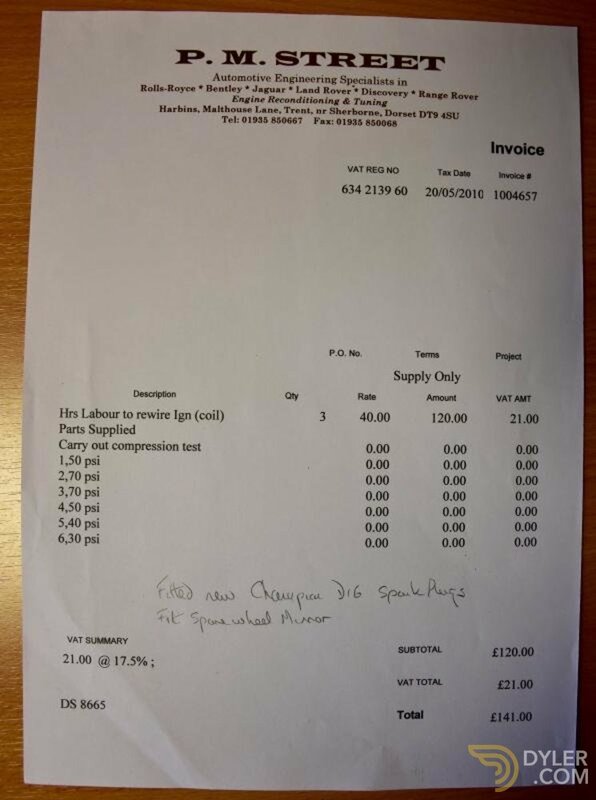 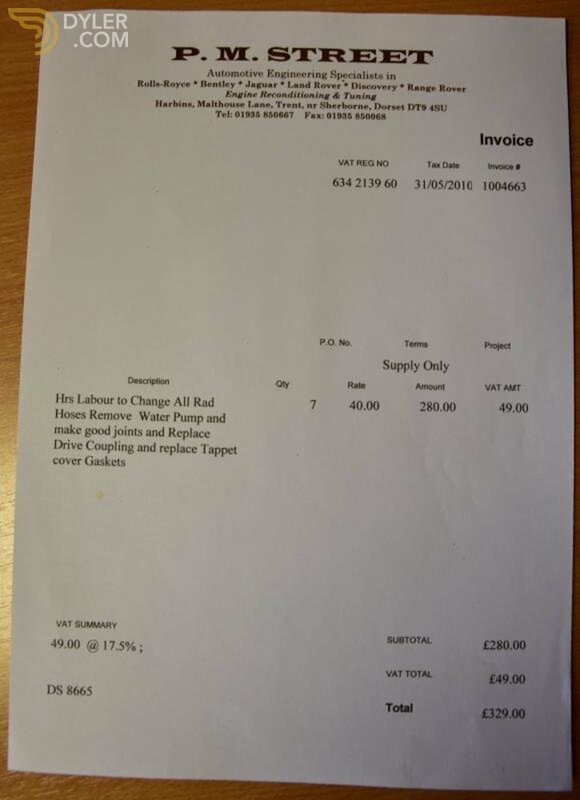 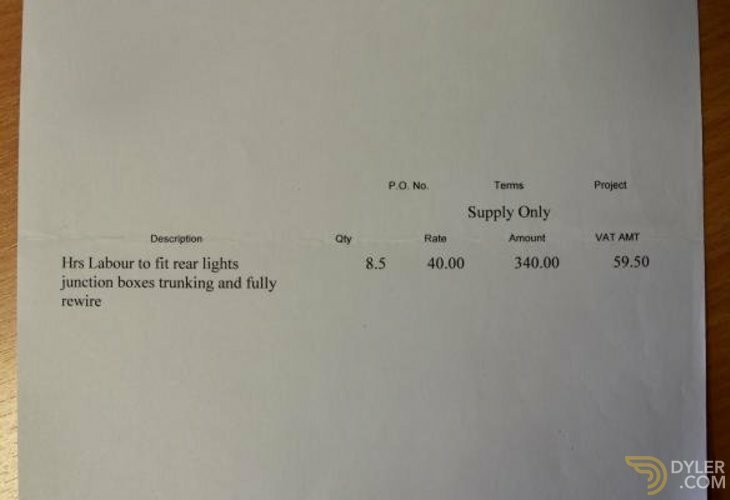 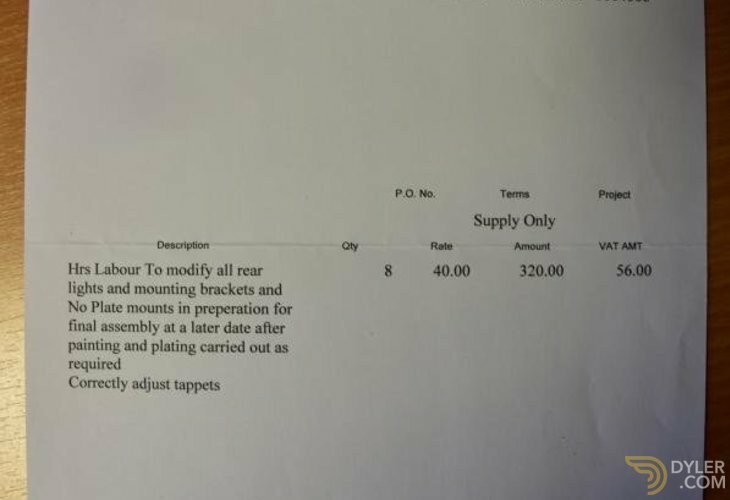 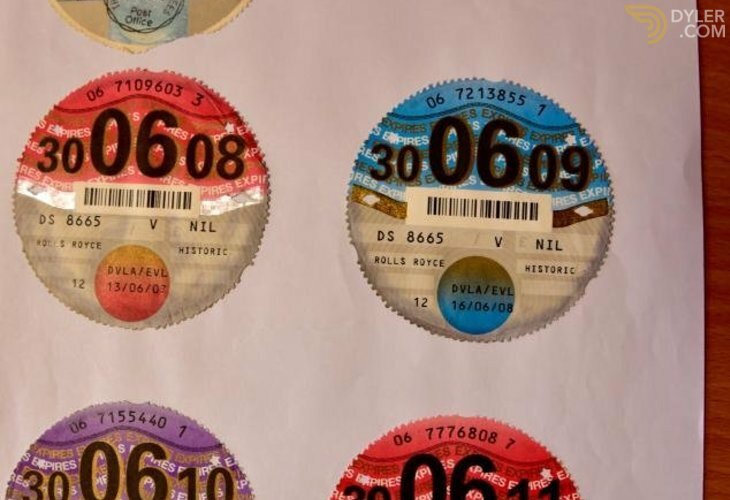 A further £4000 has been spent on fettling the car during the last few years. 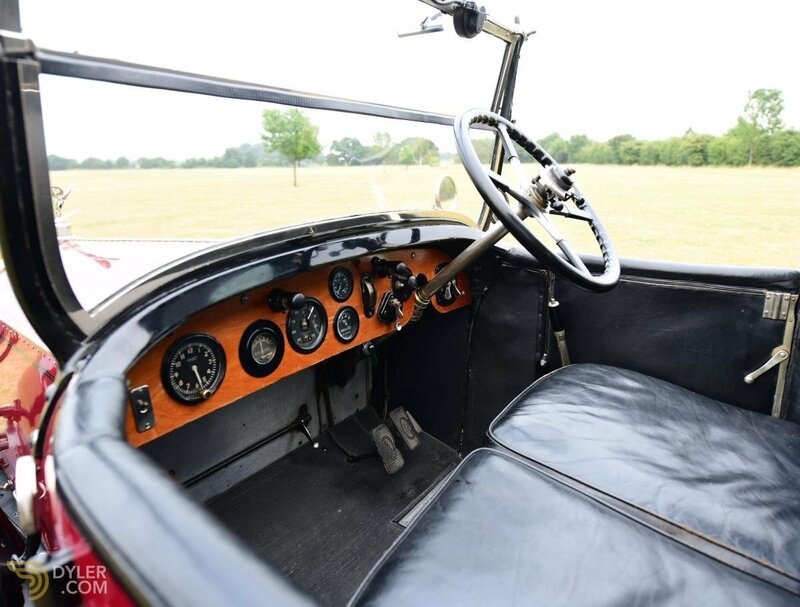 The car is quite clearly a collectors piece & an utterly charming vehicle. 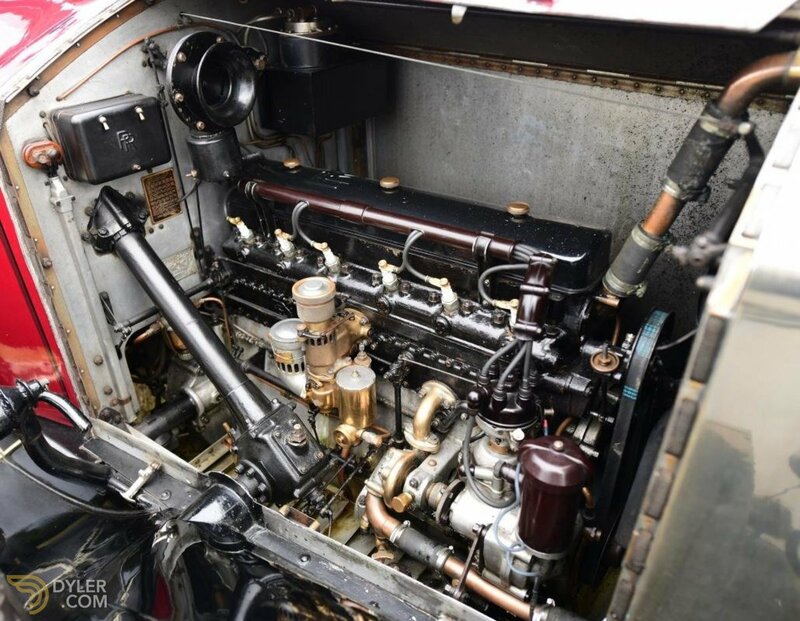 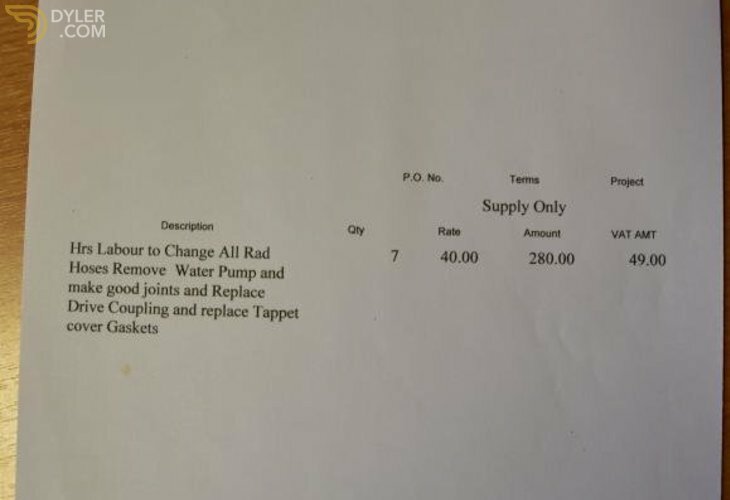 It is due in soon and will be extensively photographed and serviced. 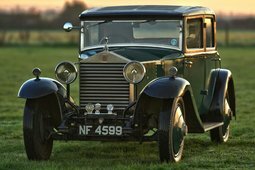 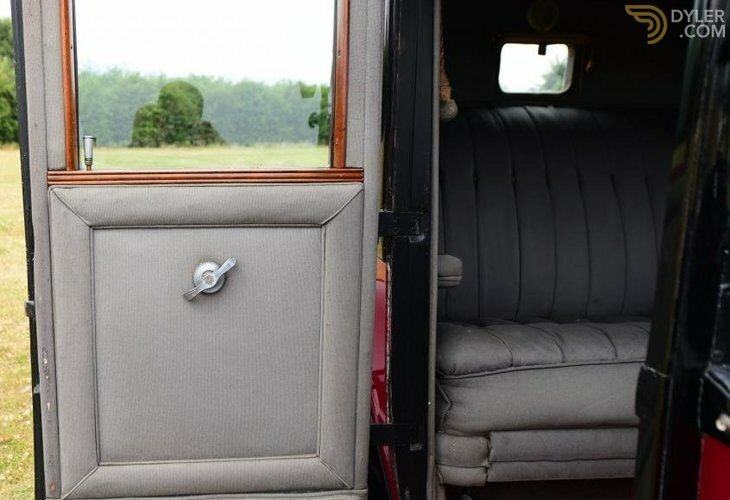 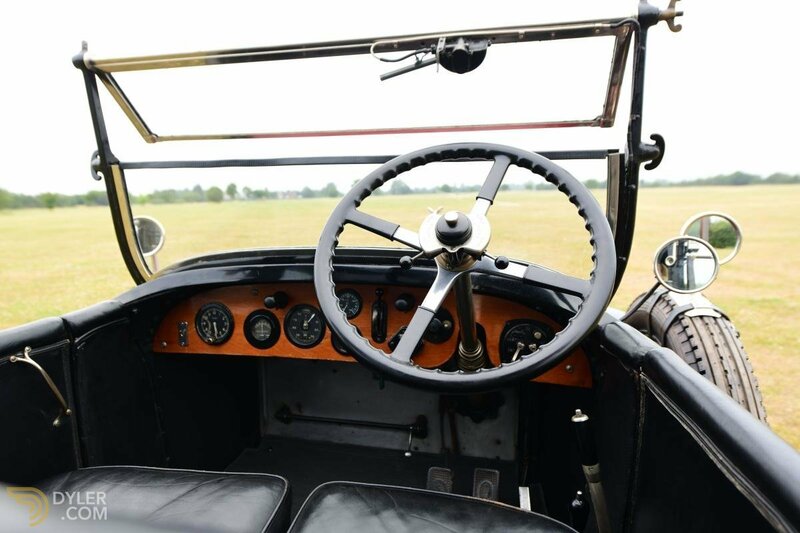 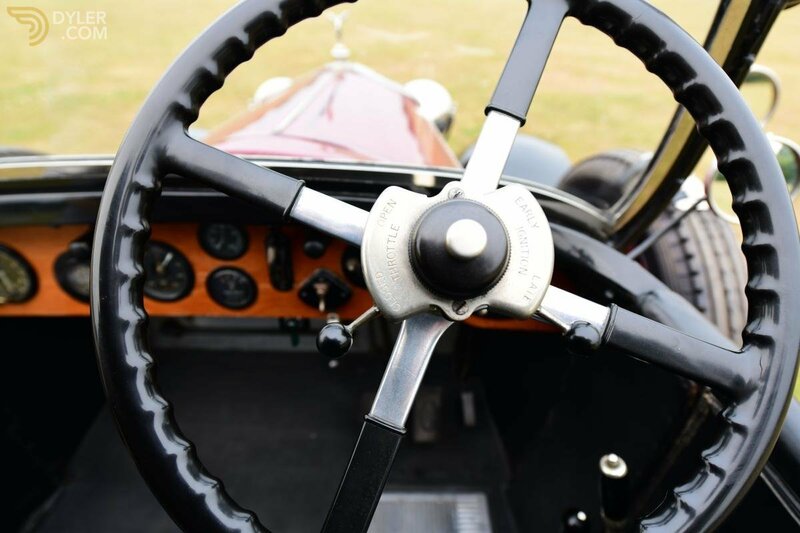 For those that cannot wait the car will be on our stand at this year's RREC Annual Rally & Concours at Burghley House from 22nd to 24th June.